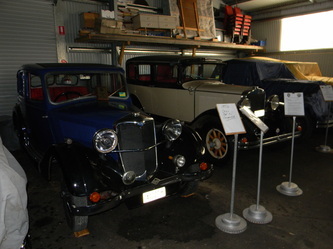 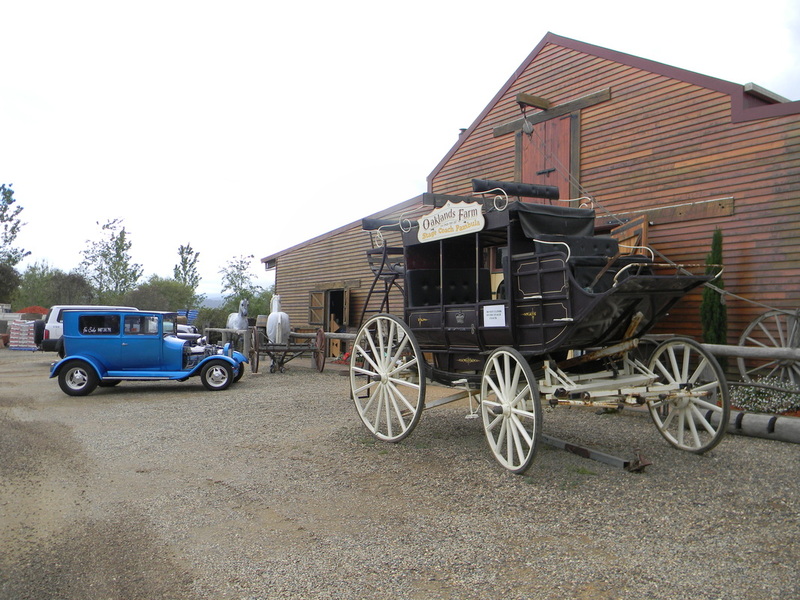 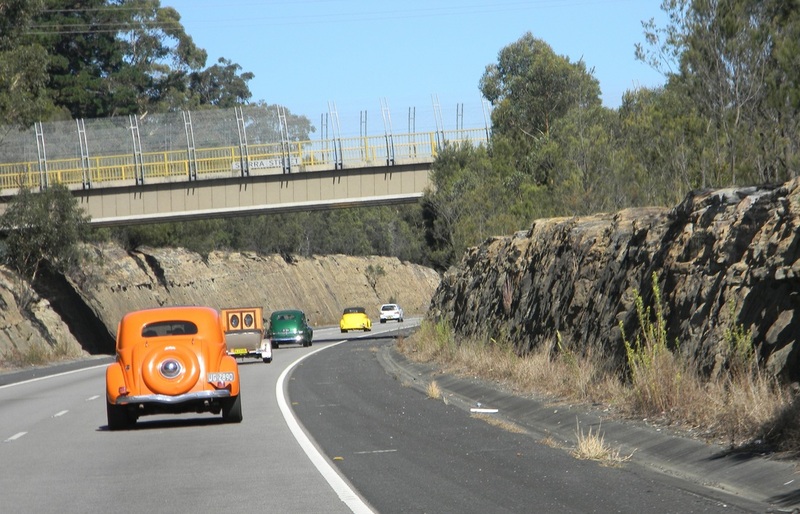 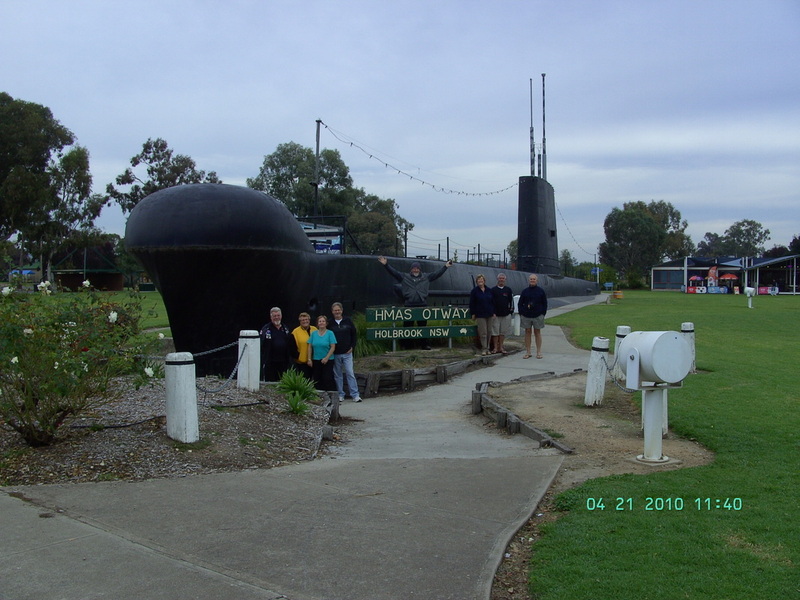 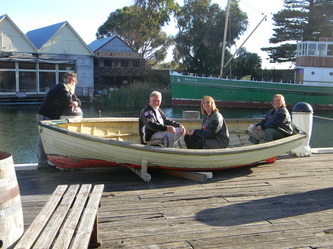 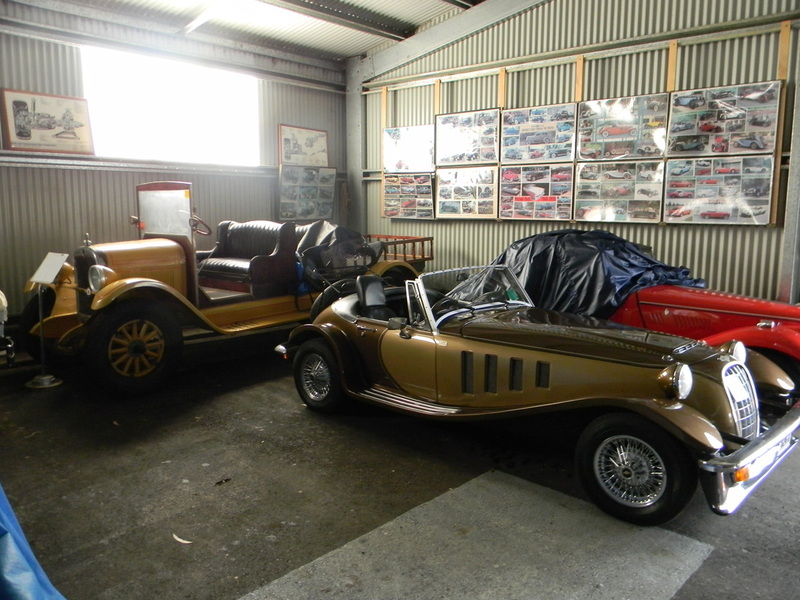 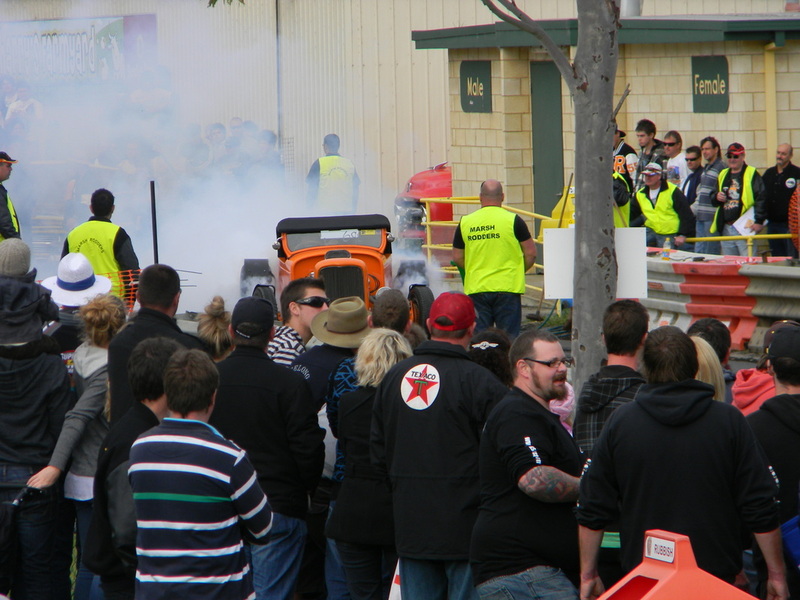 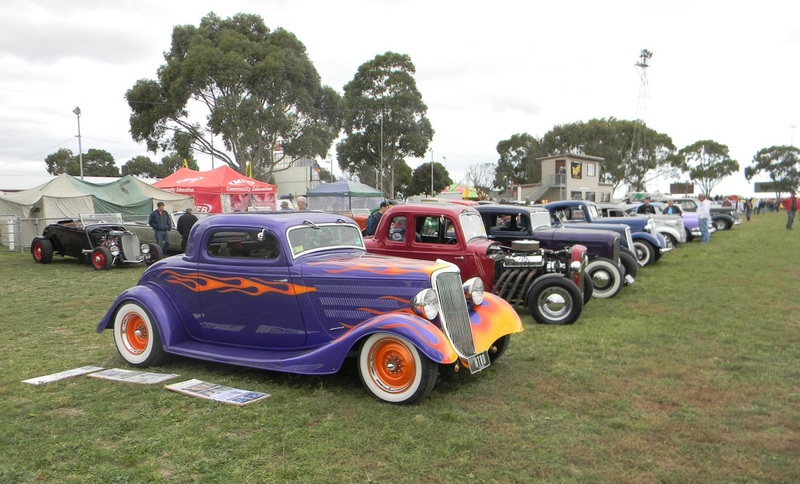 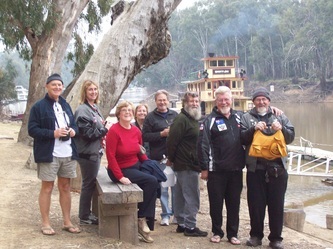 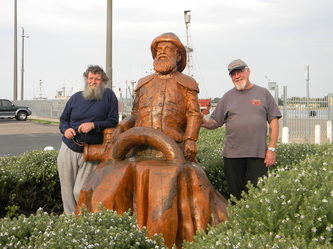 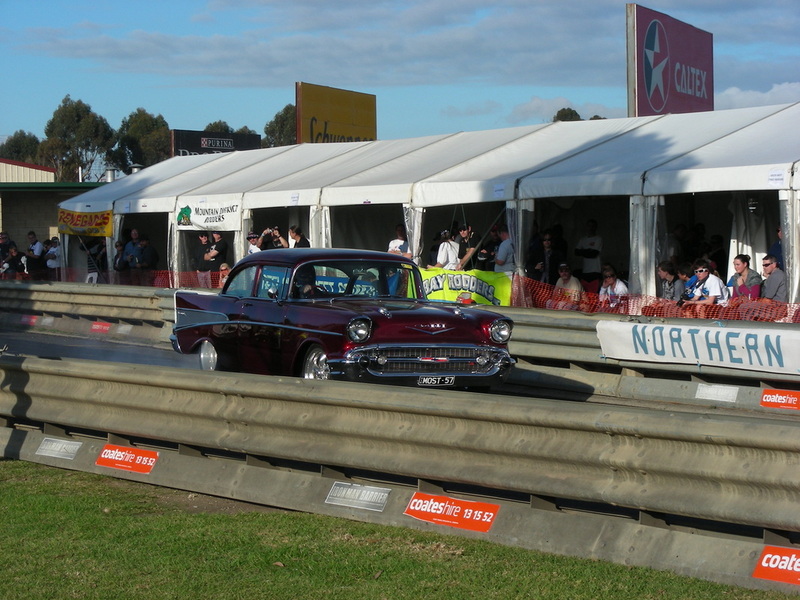 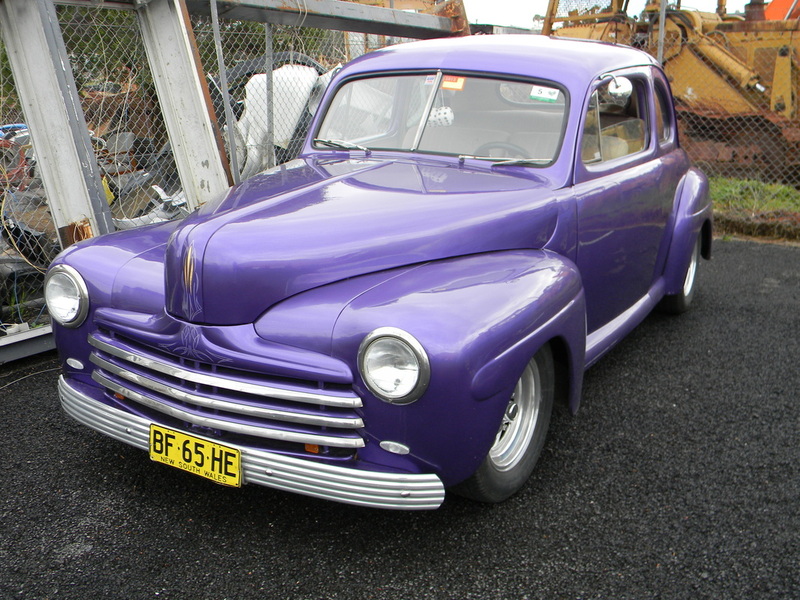 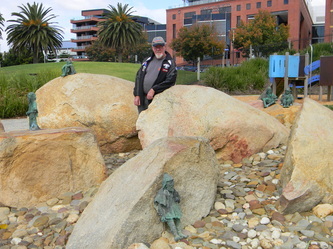 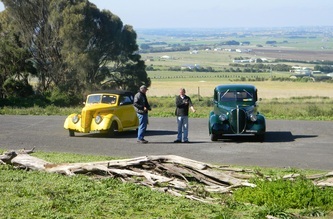 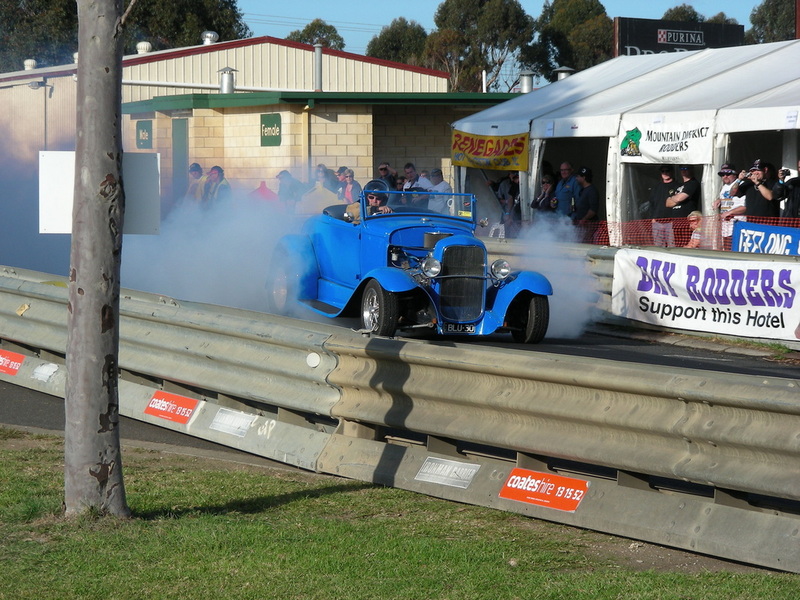 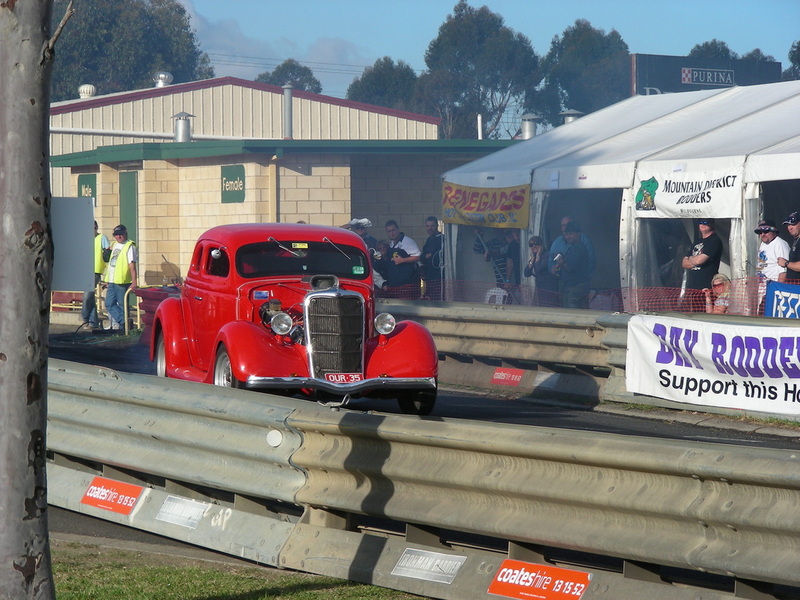 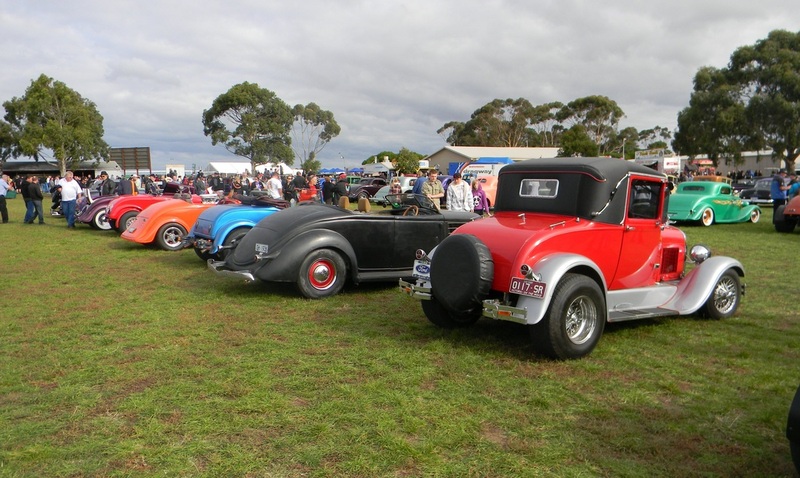 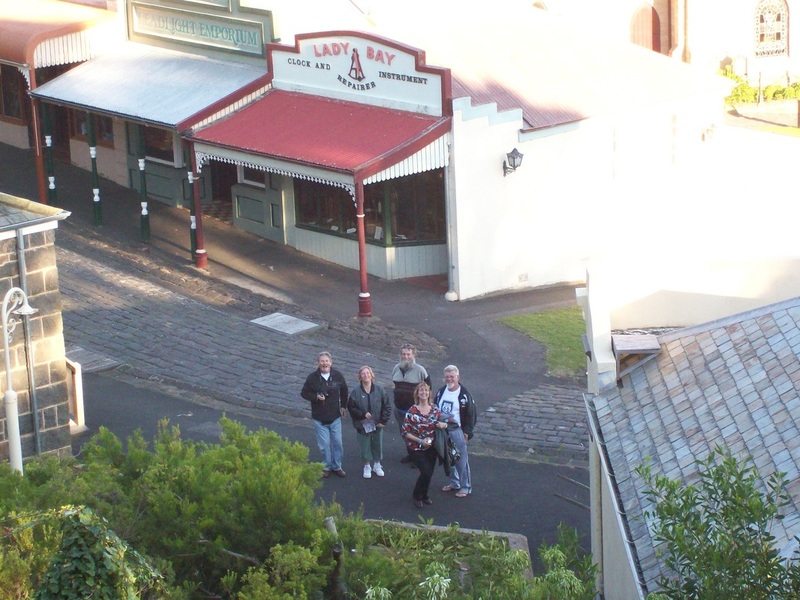 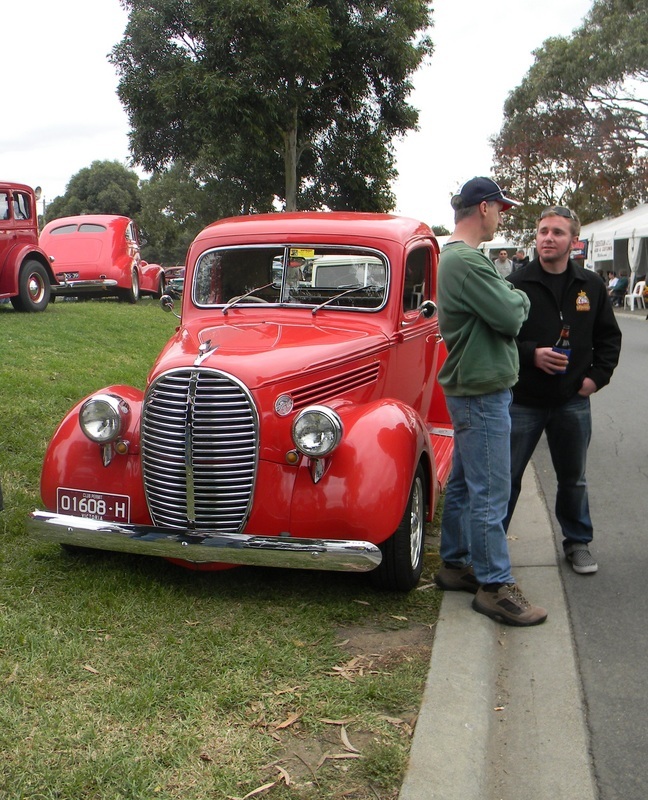 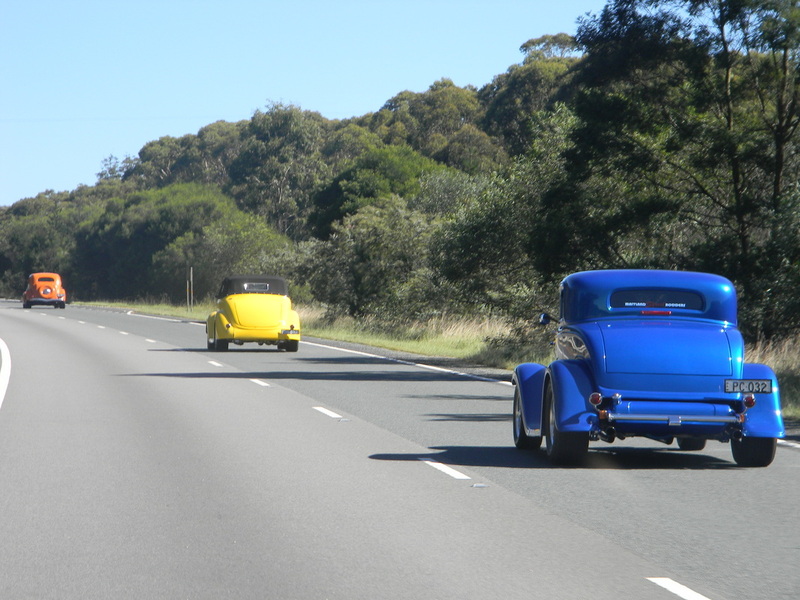 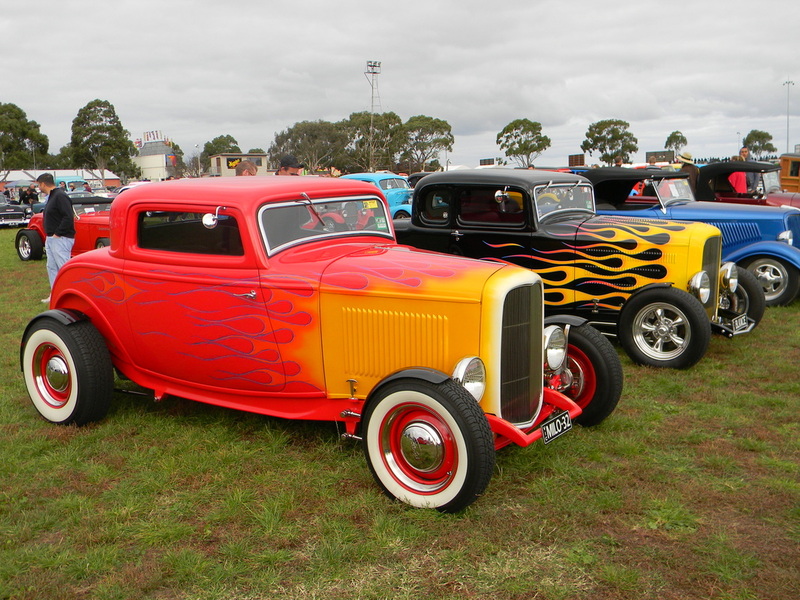 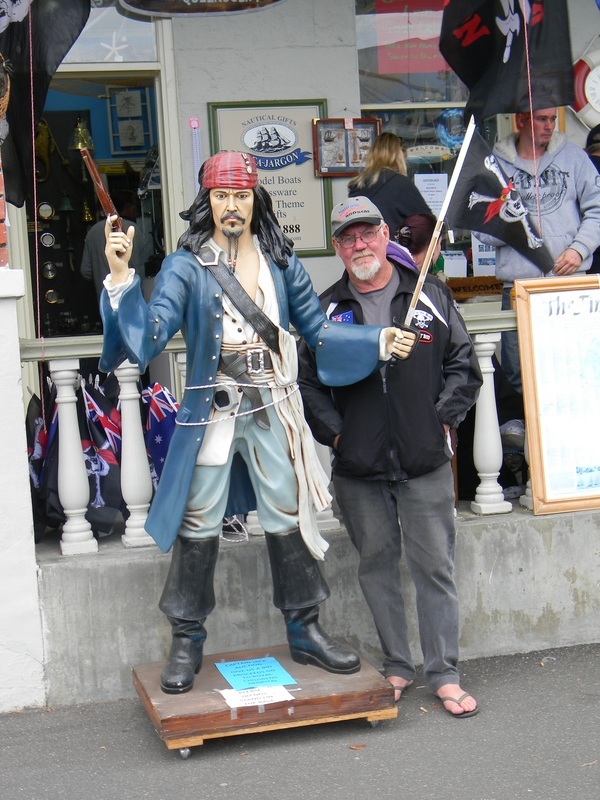 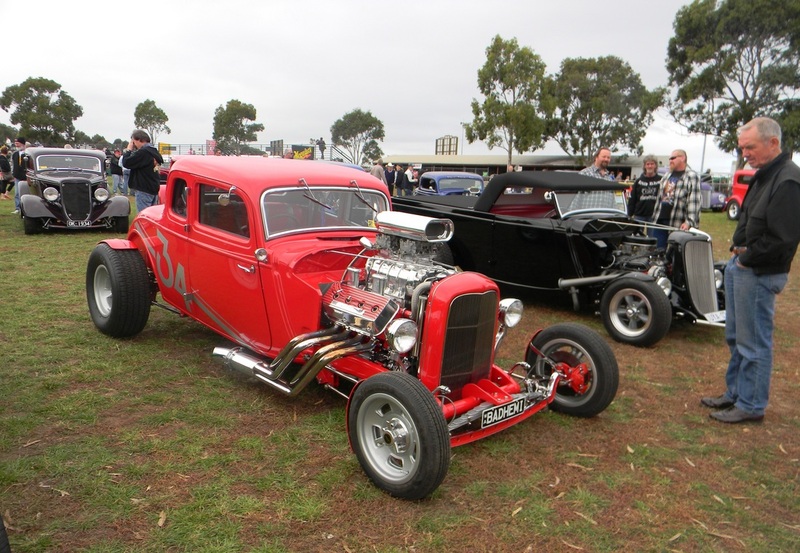 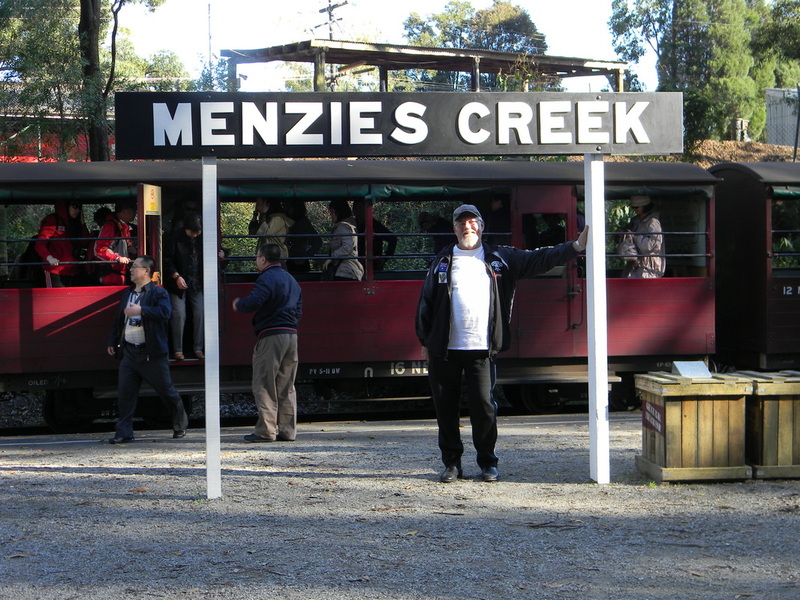 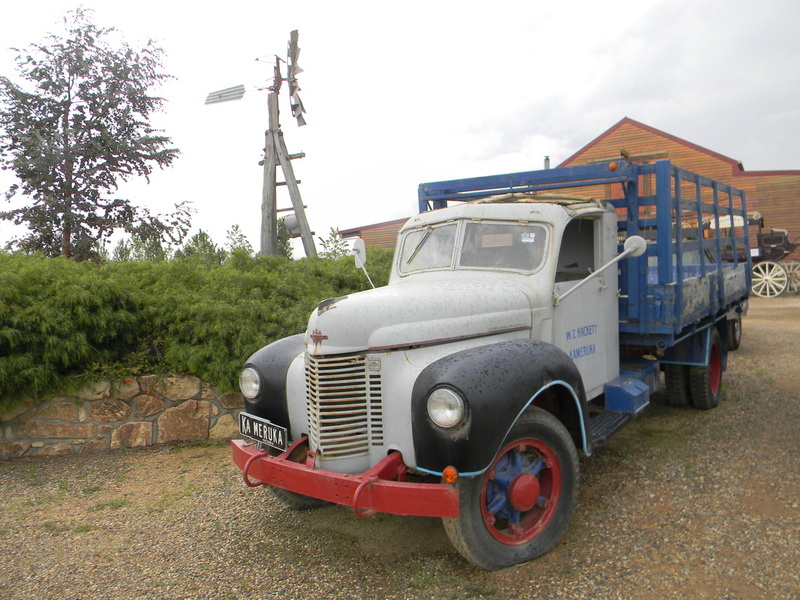 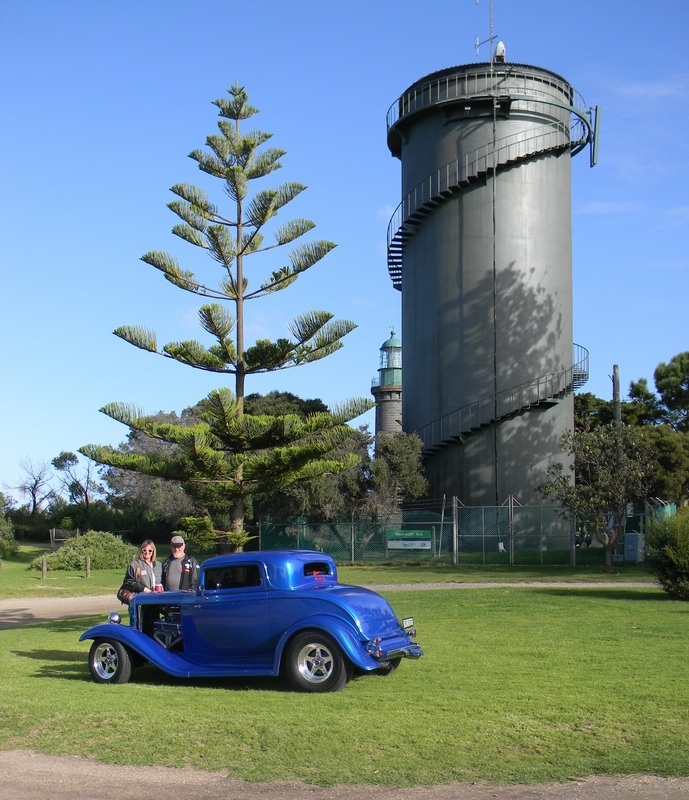 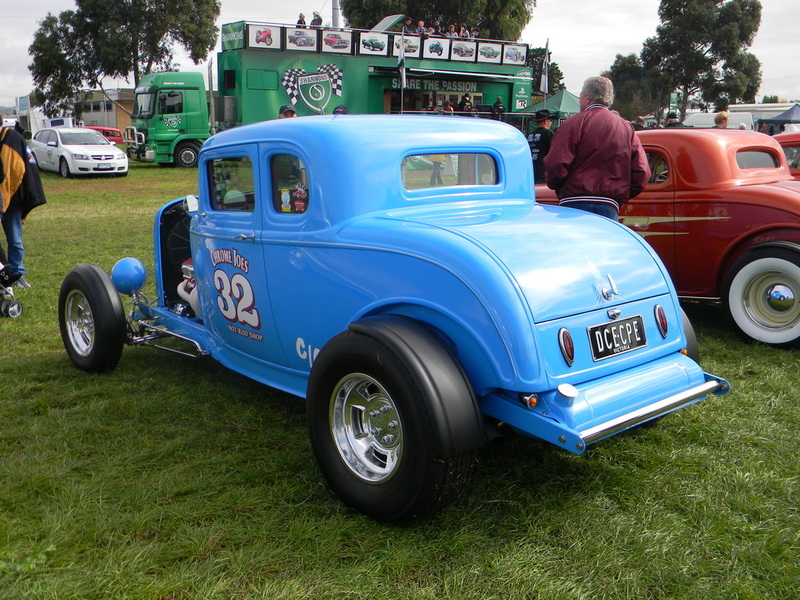 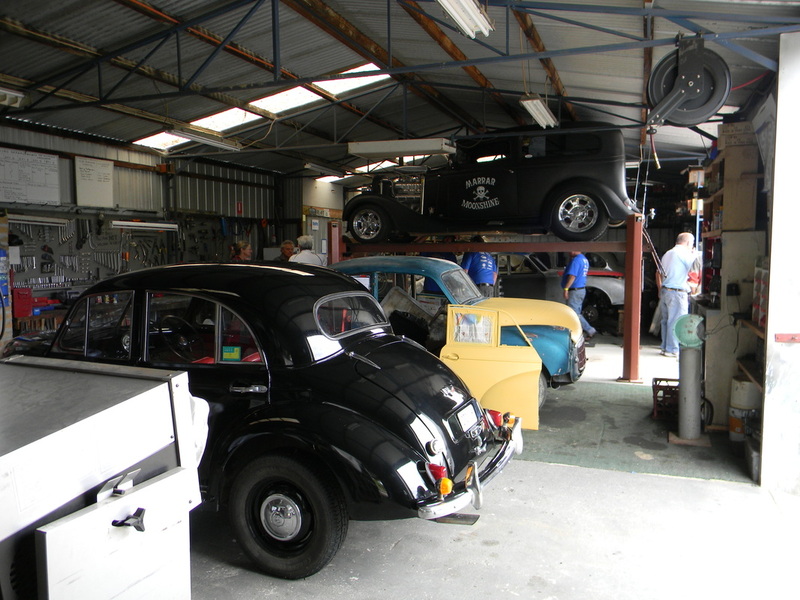 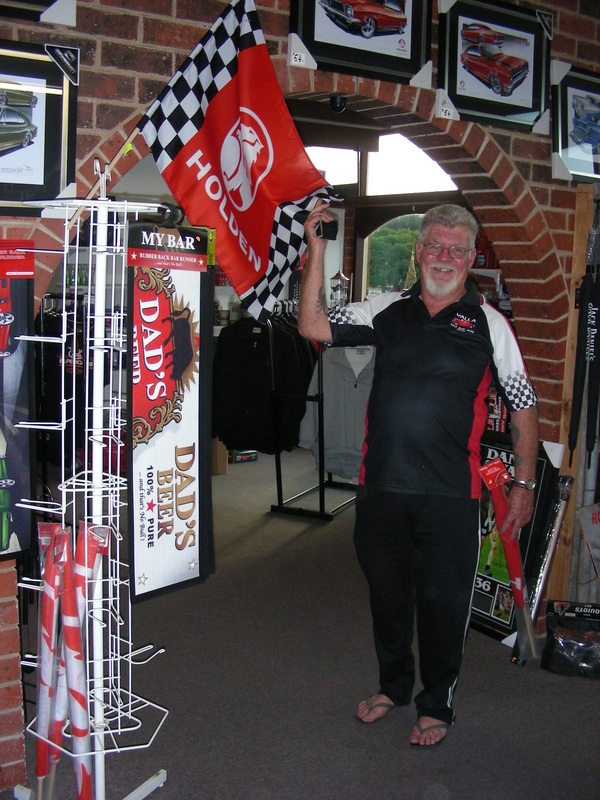 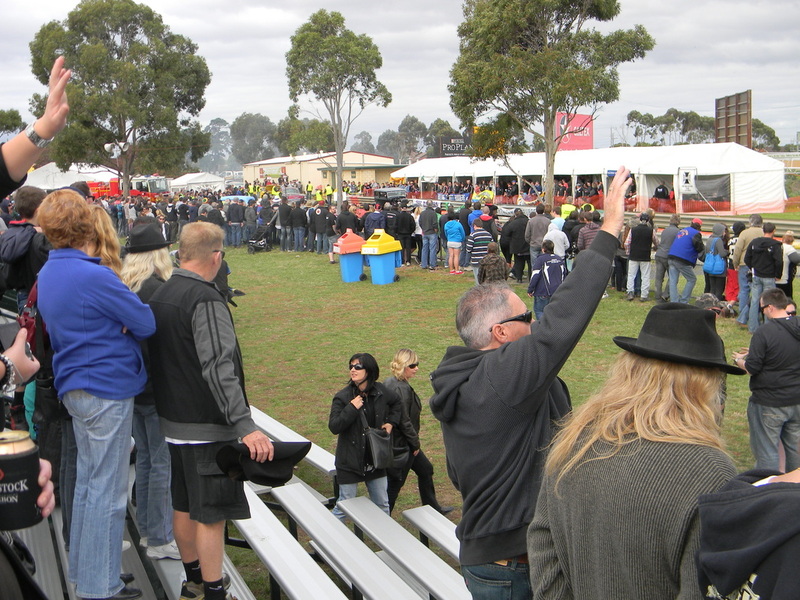 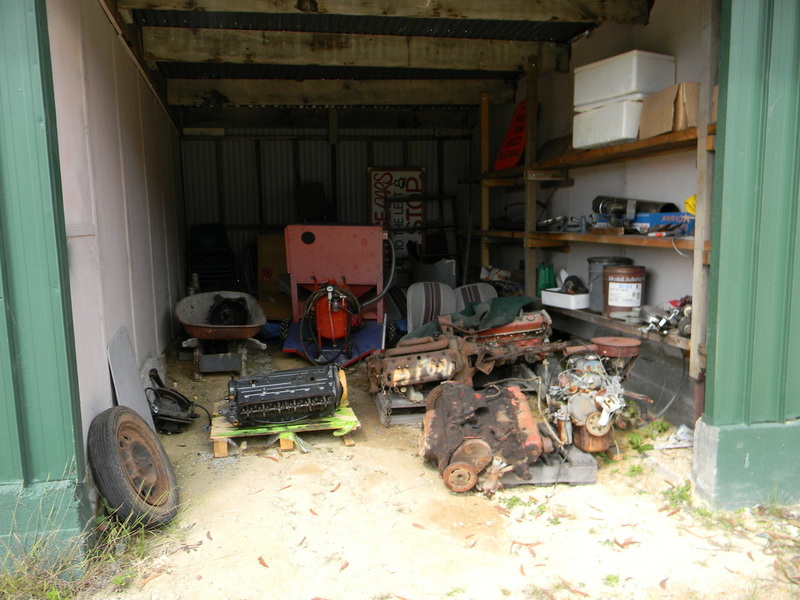 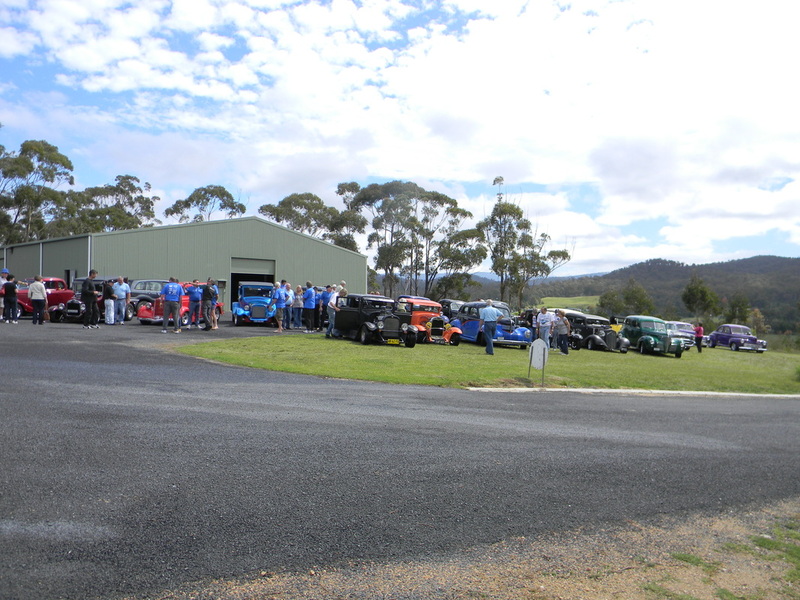 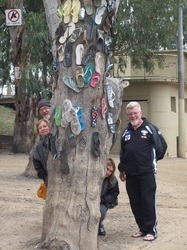 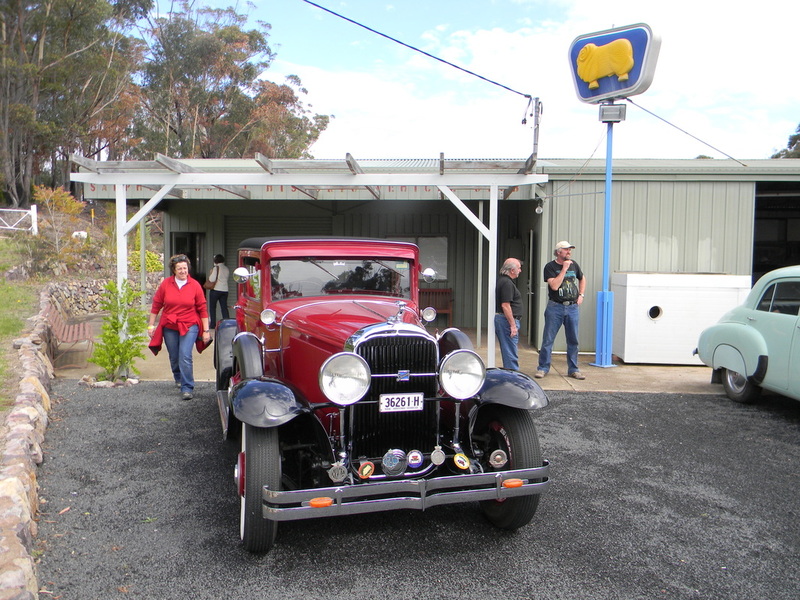 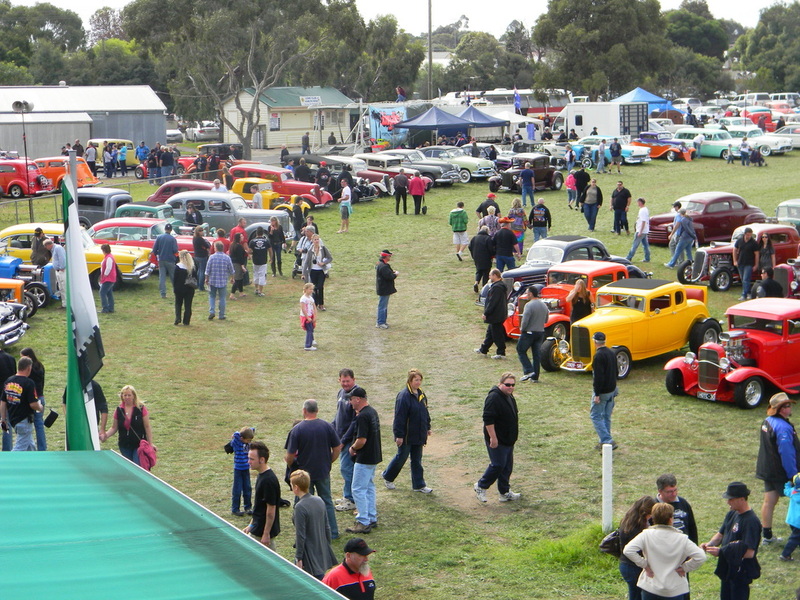 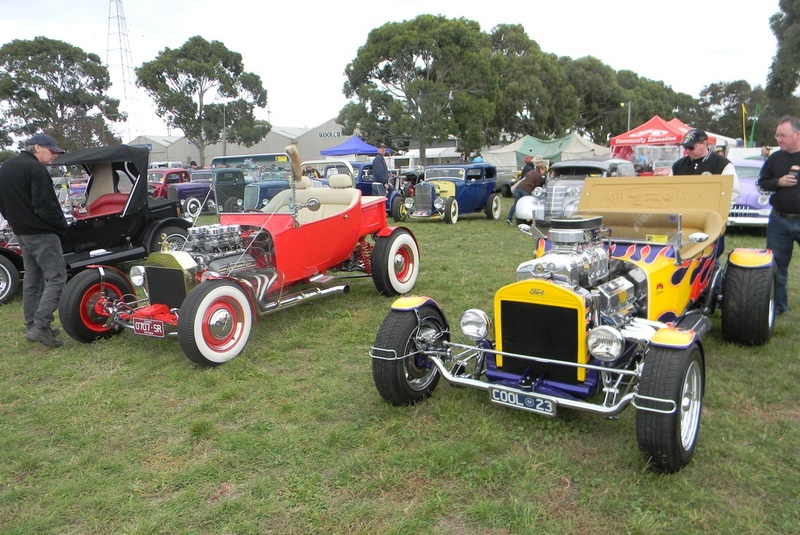 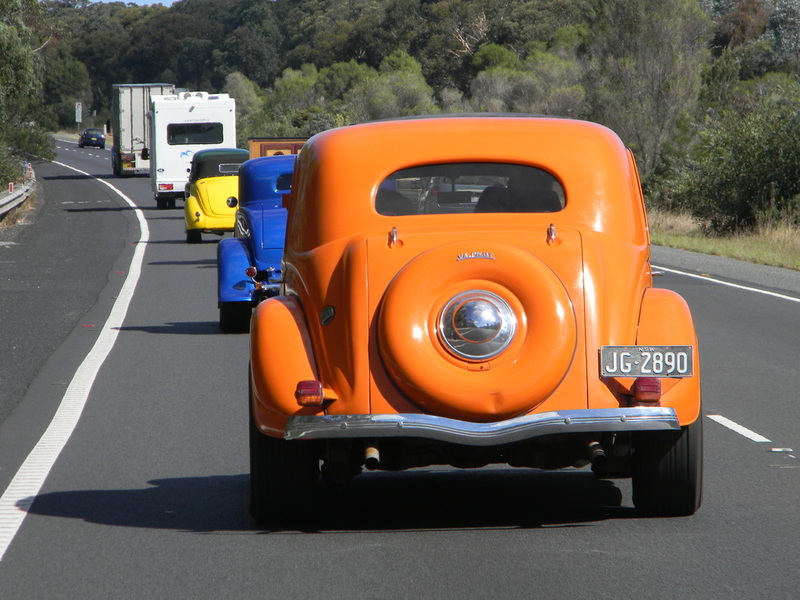 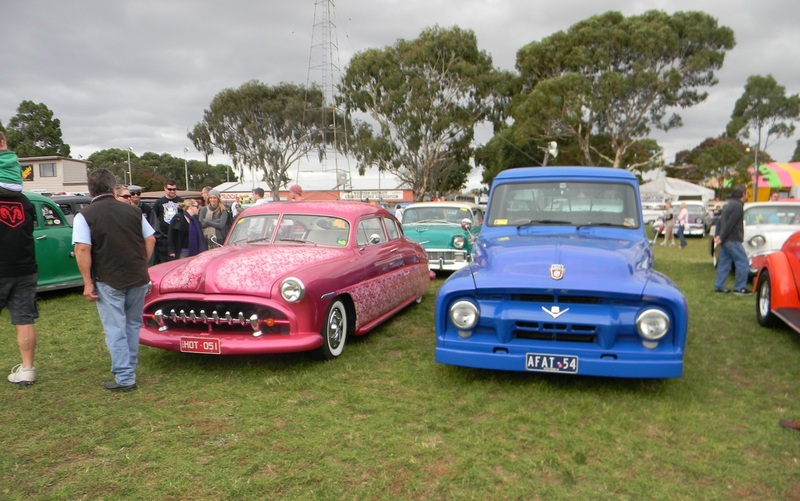 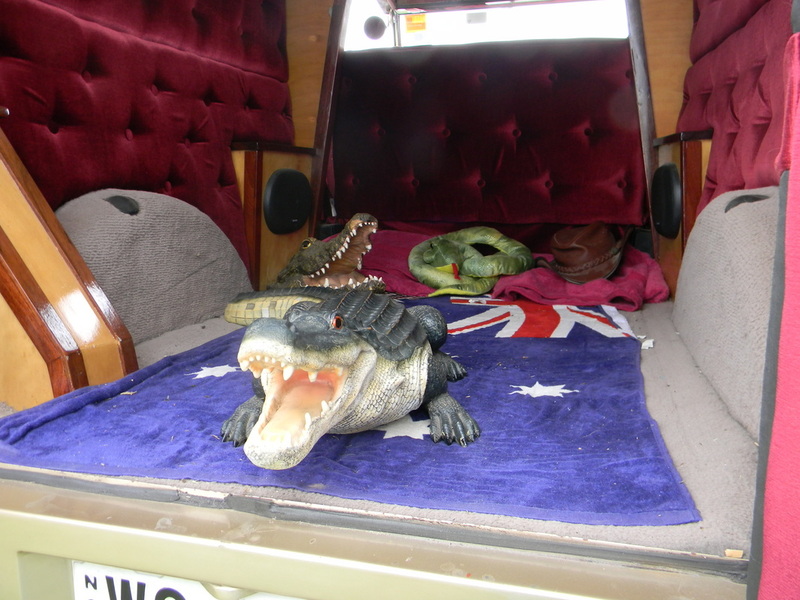 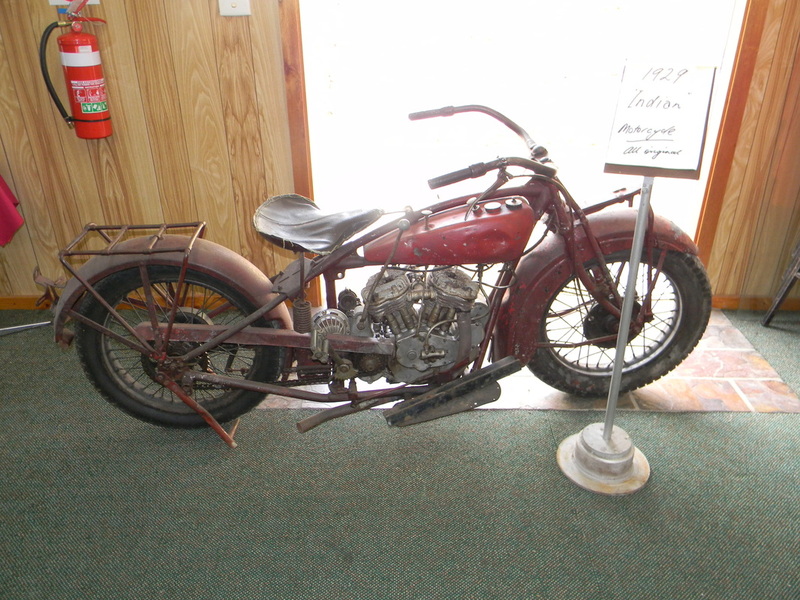 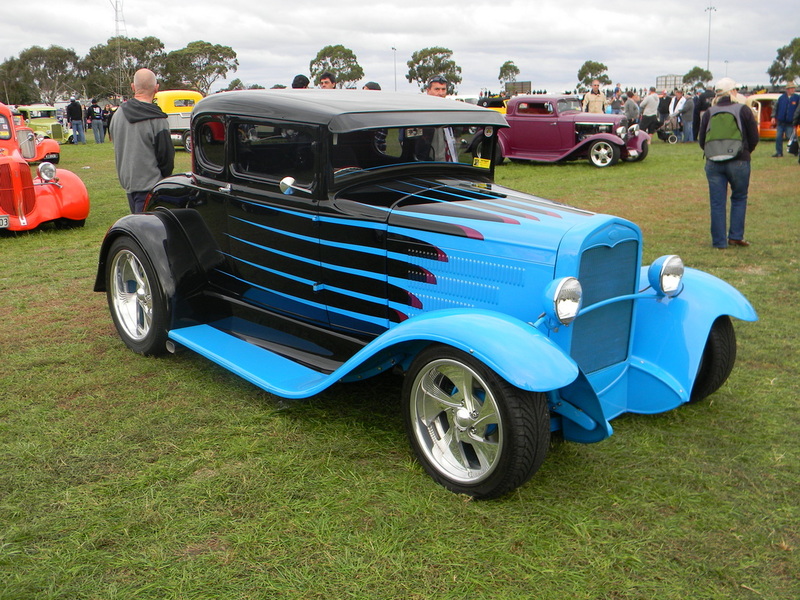 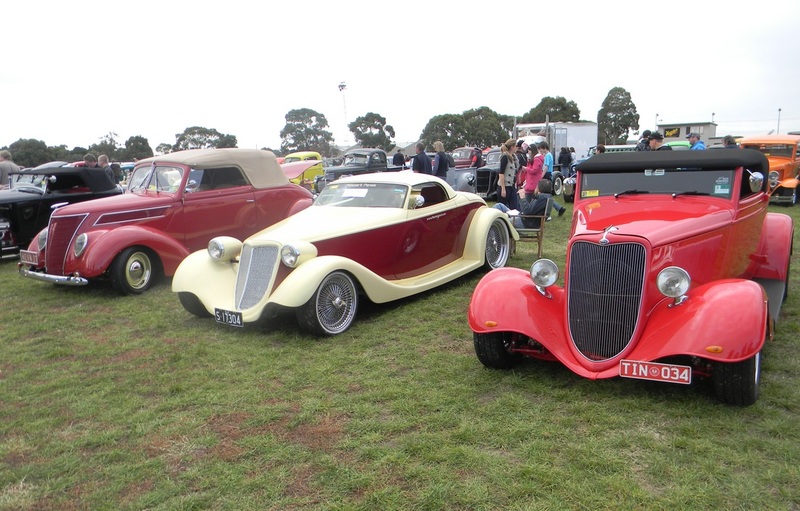 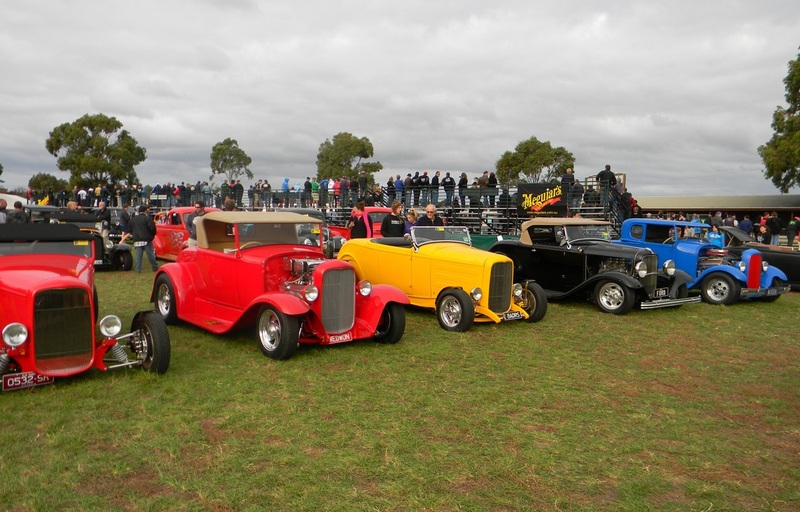 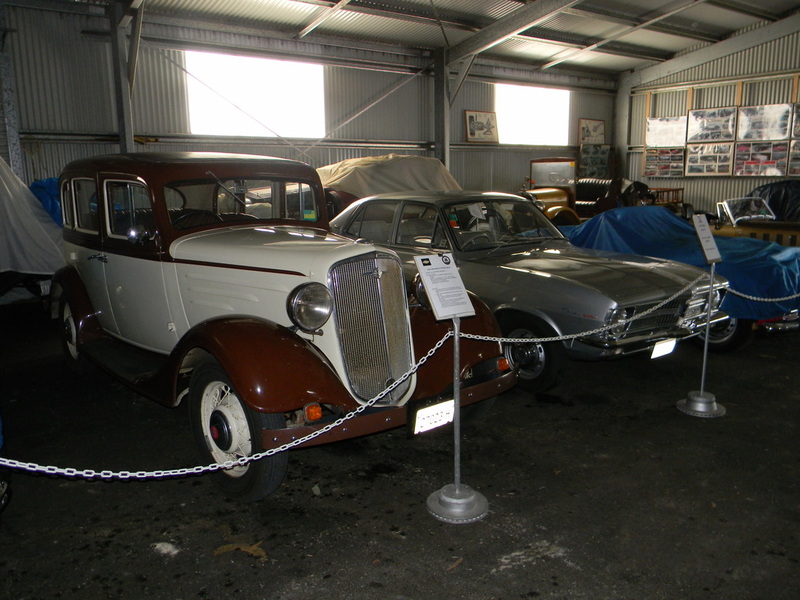 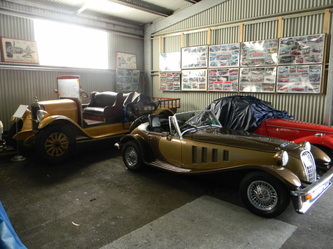 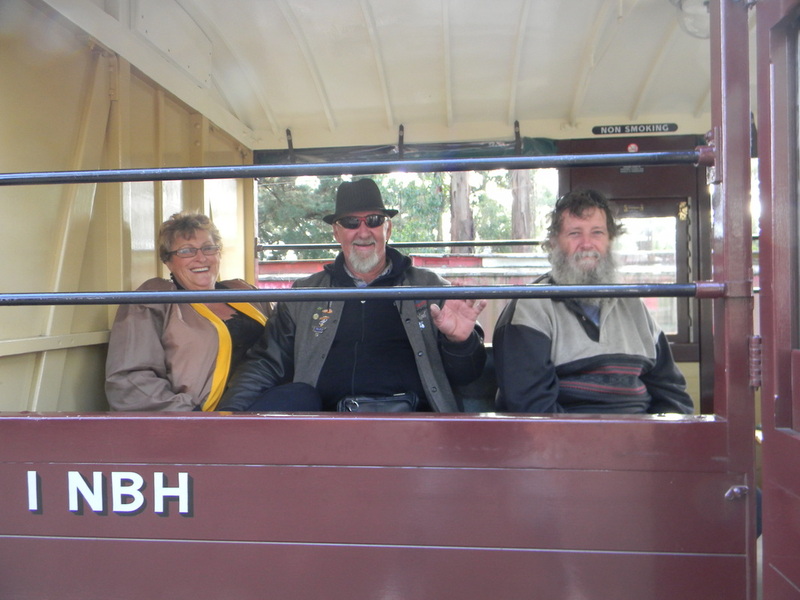 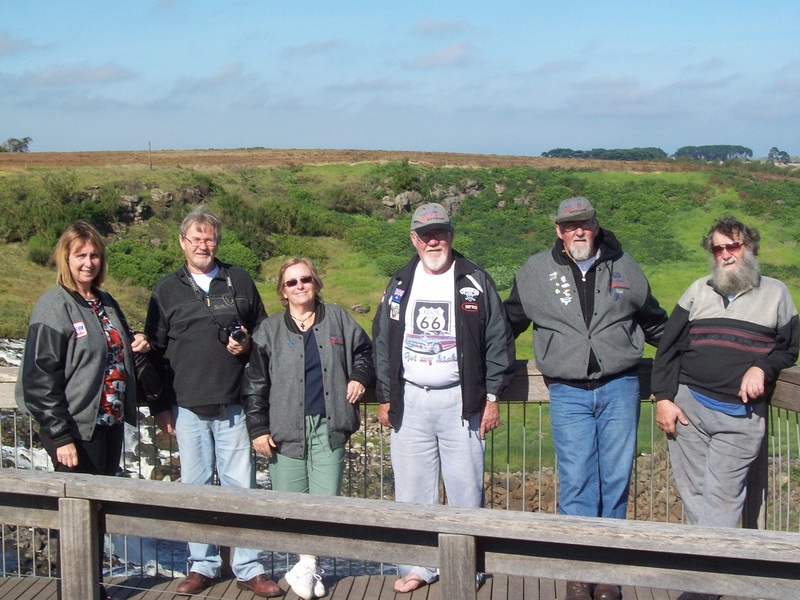 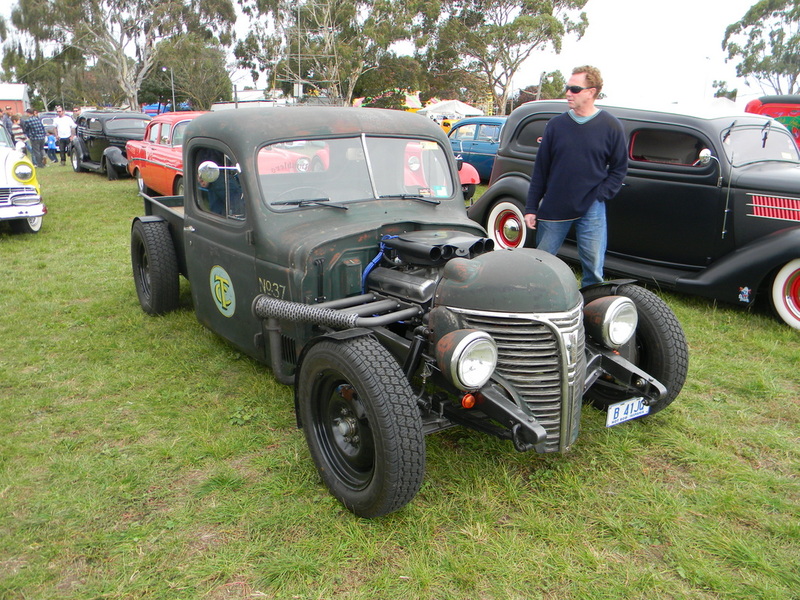 Our trip to the ASRF Nationals in Geelong started on the Monday and included a road trip via Holbrook, Echuca and Castlemaine. 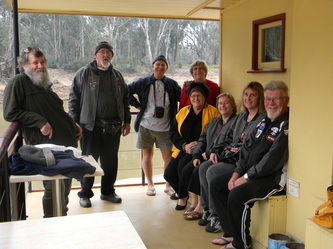 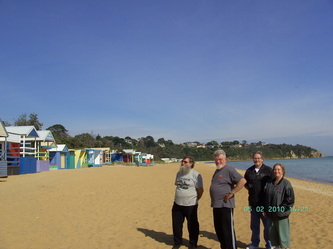 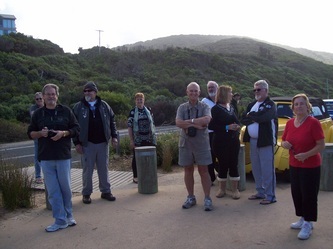 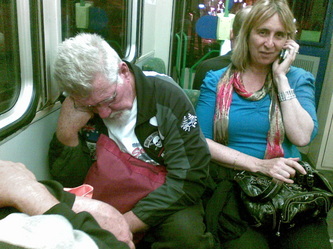 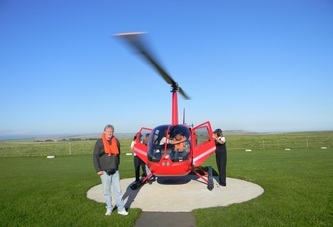 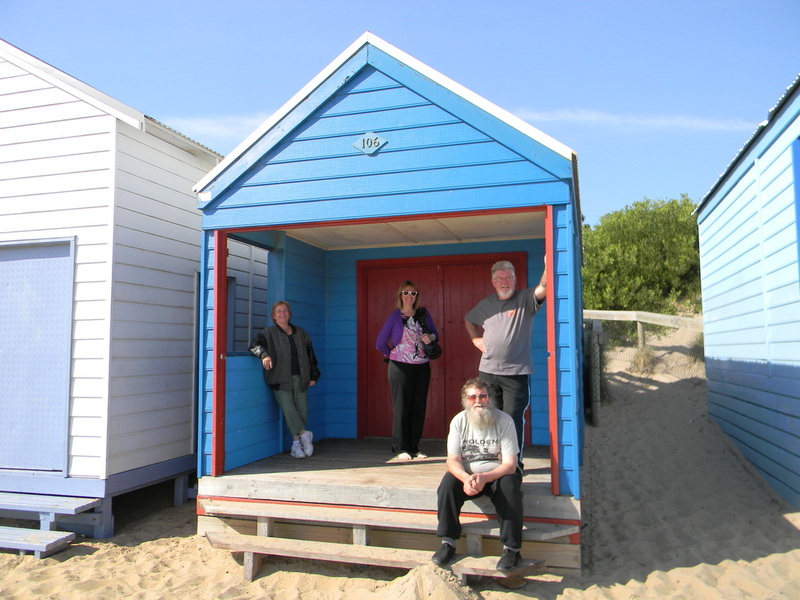 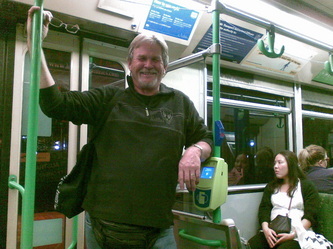 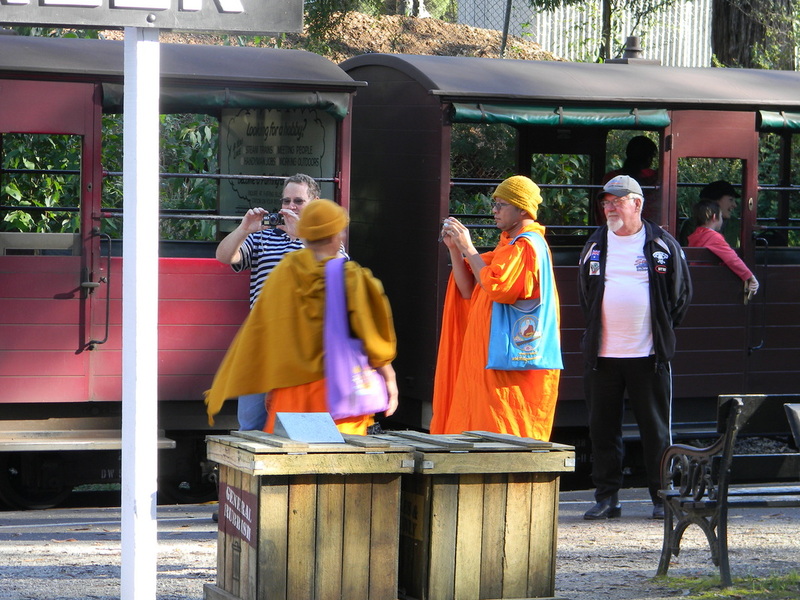 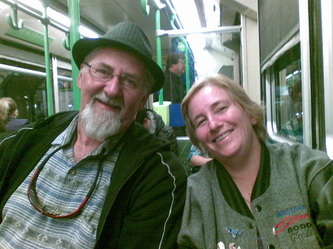 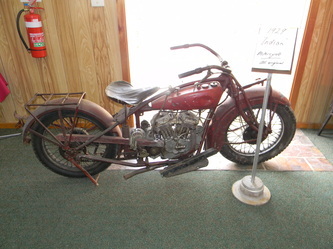 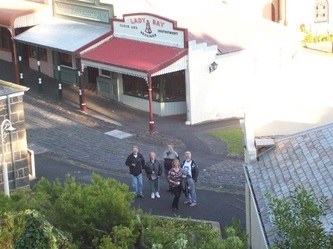 There were 7 members, their partners and four good friends of the club. 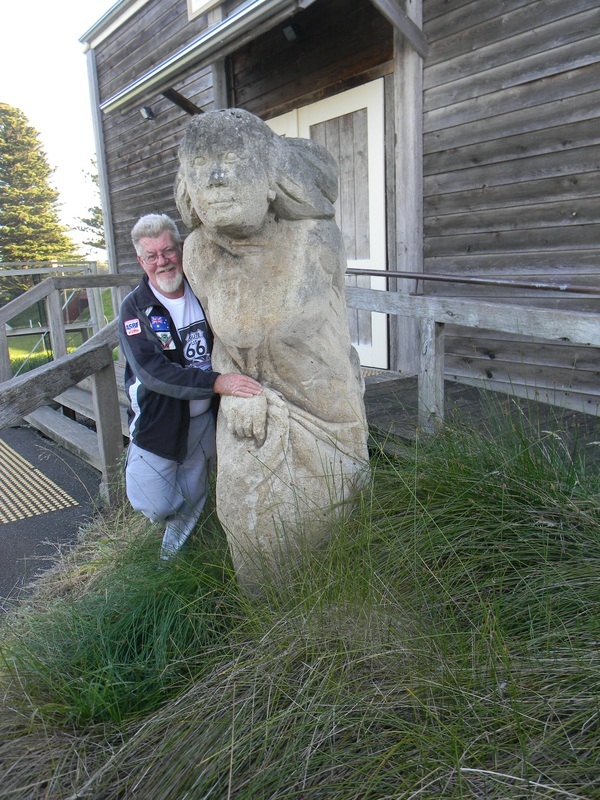 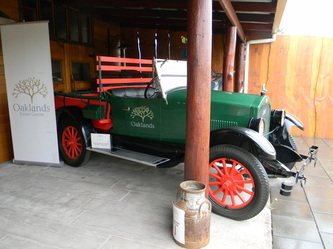 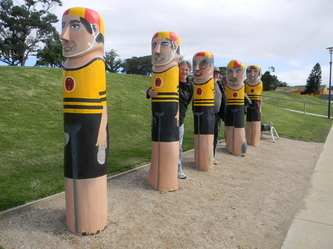 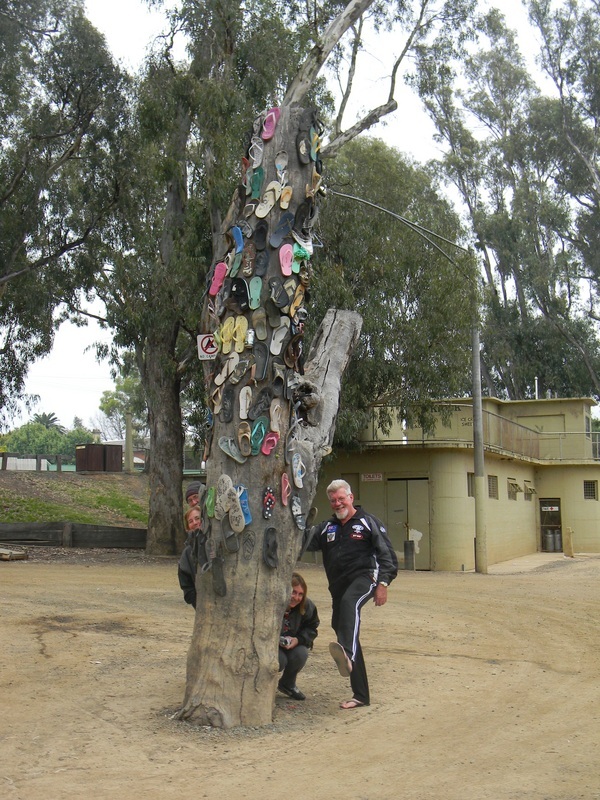 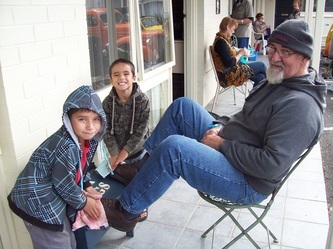 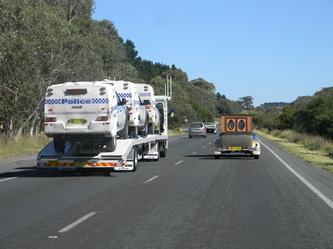 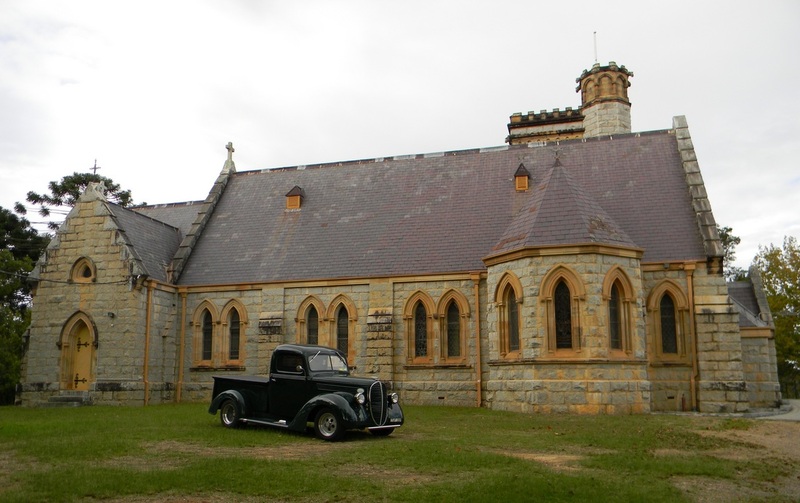 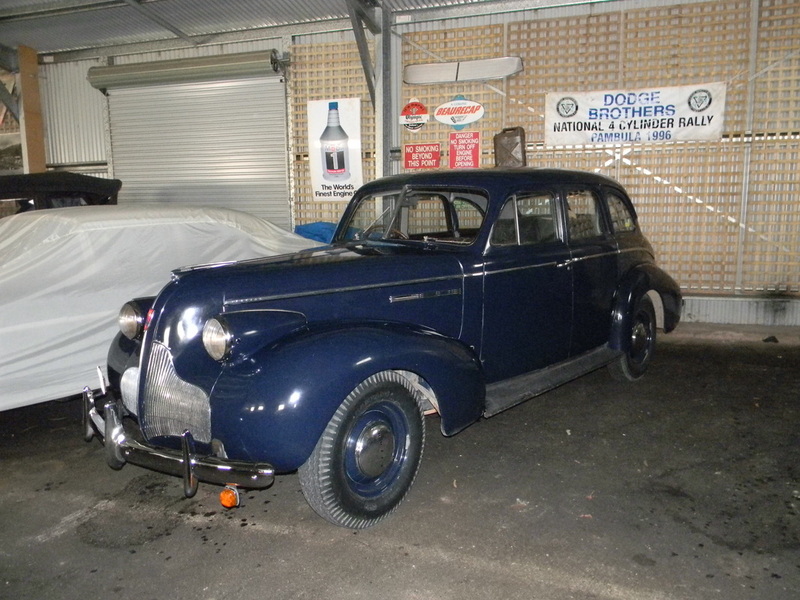 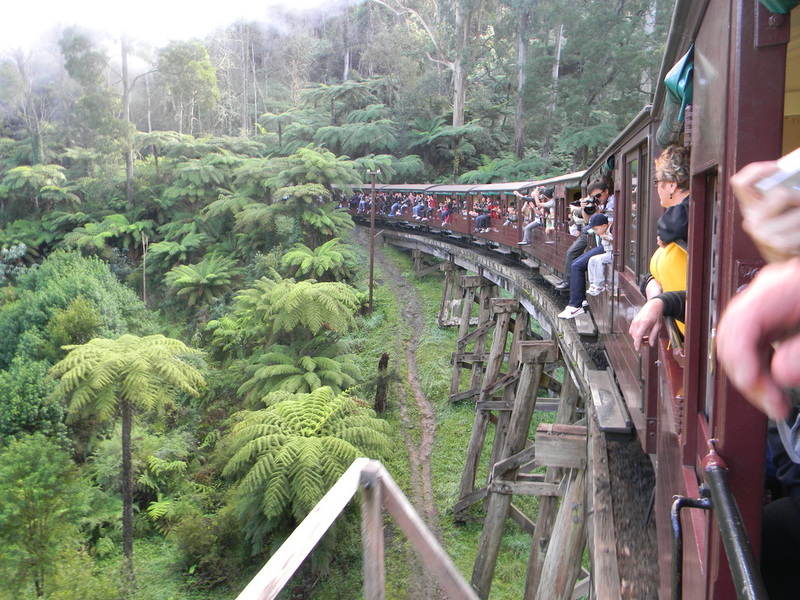 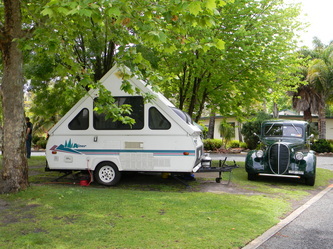 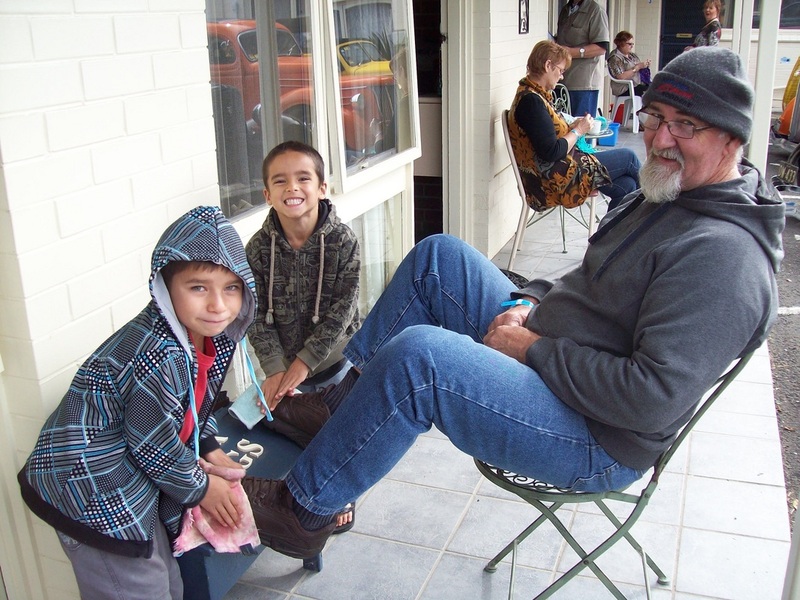 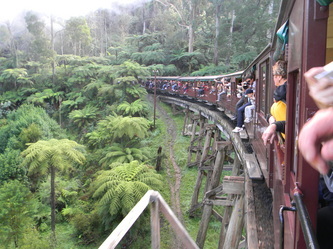 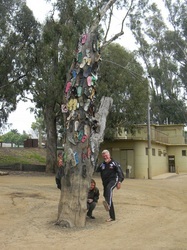 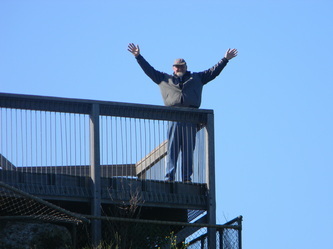 At Castlemaine we picked up another member for the drive to Geelong. 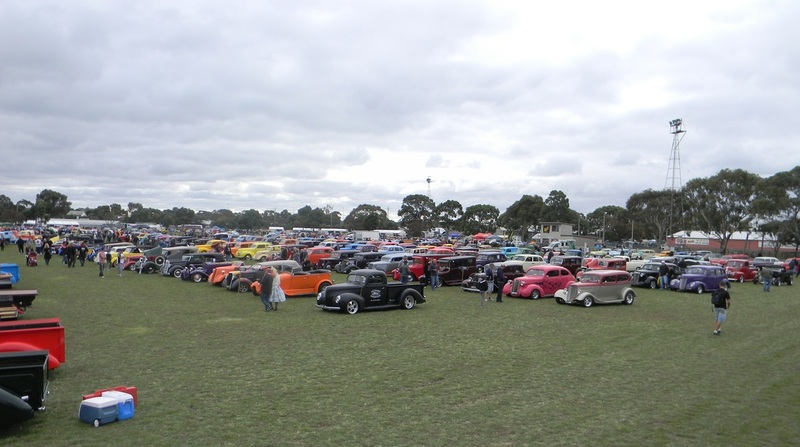 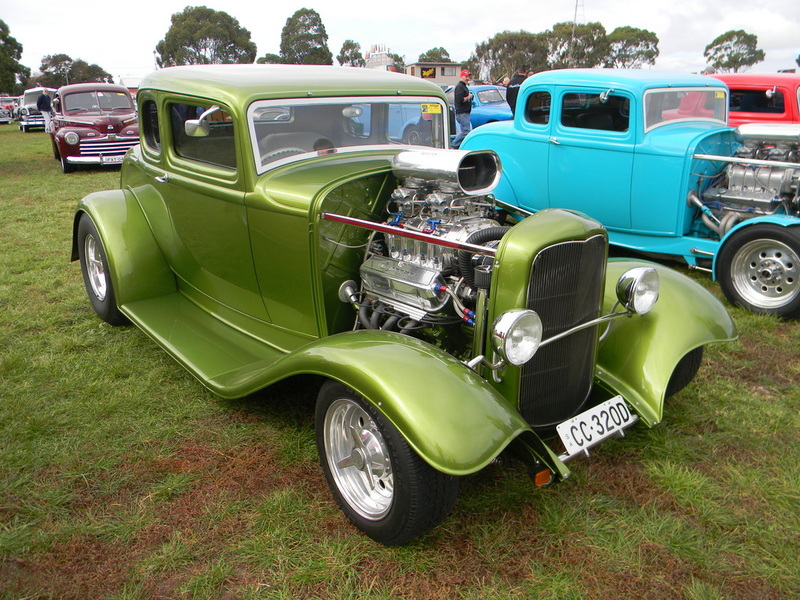 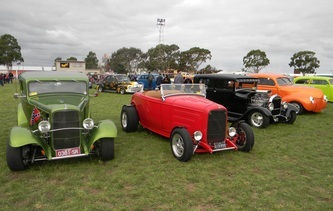 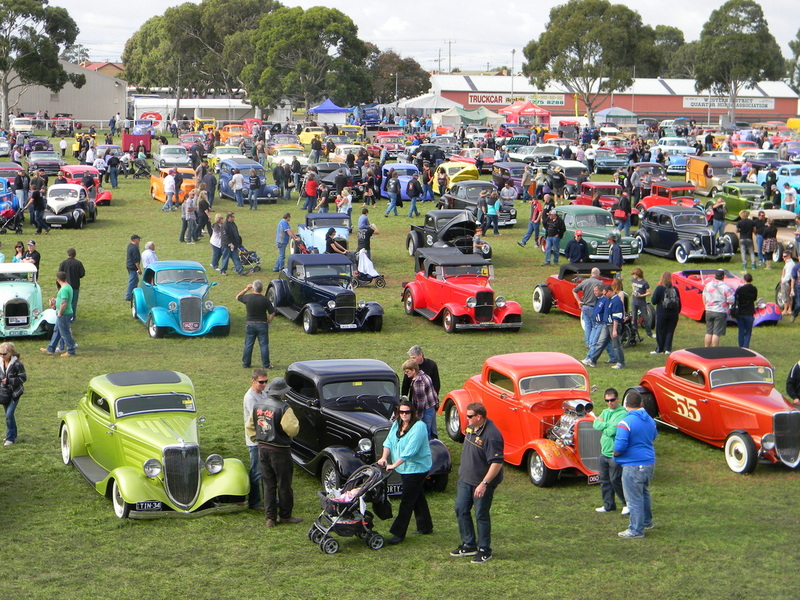 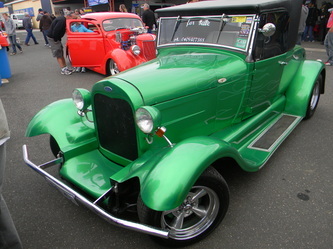 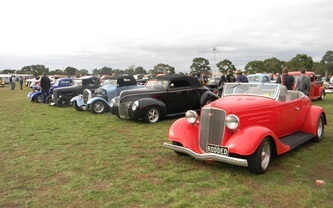 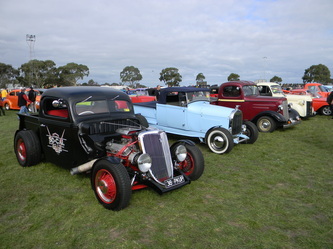 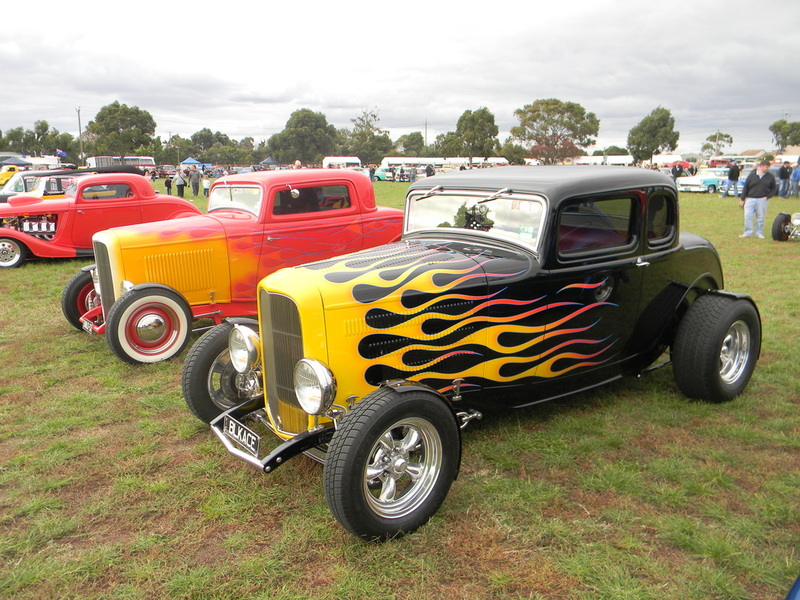 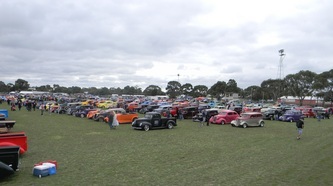 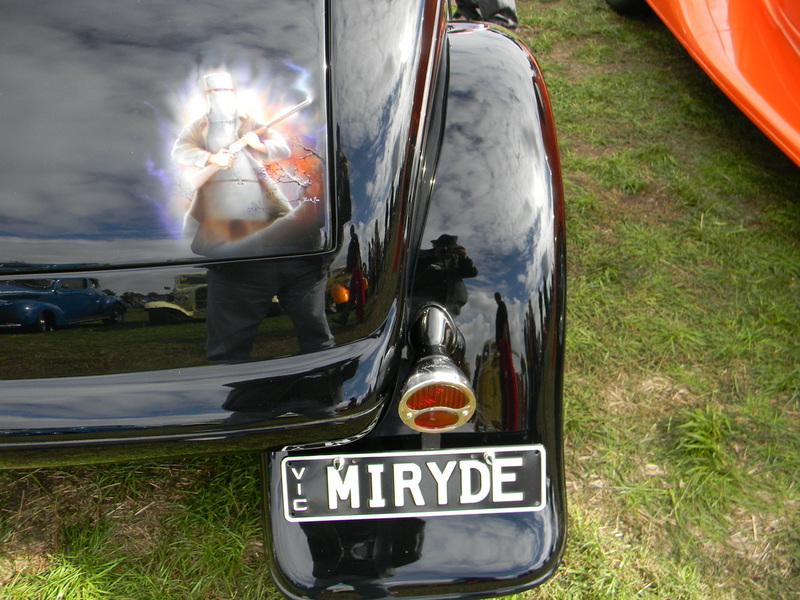 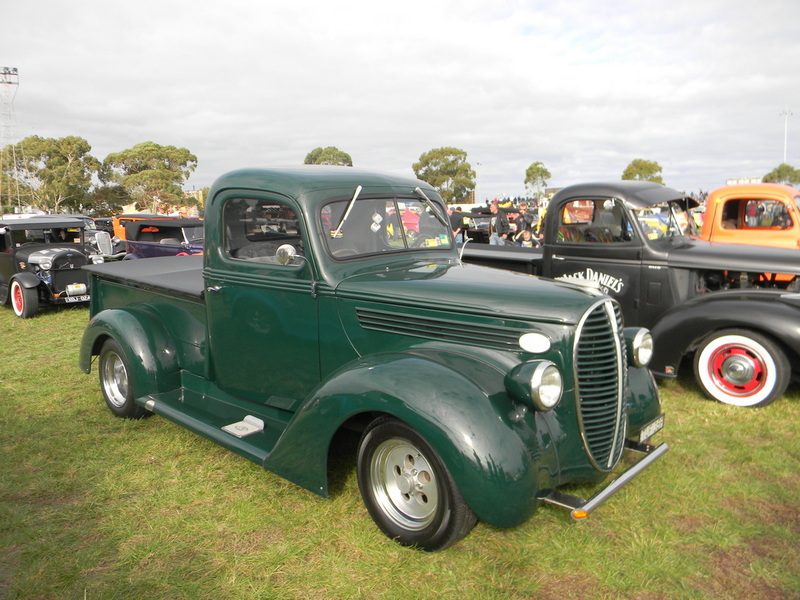 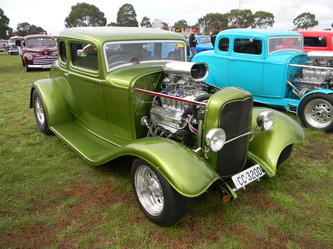 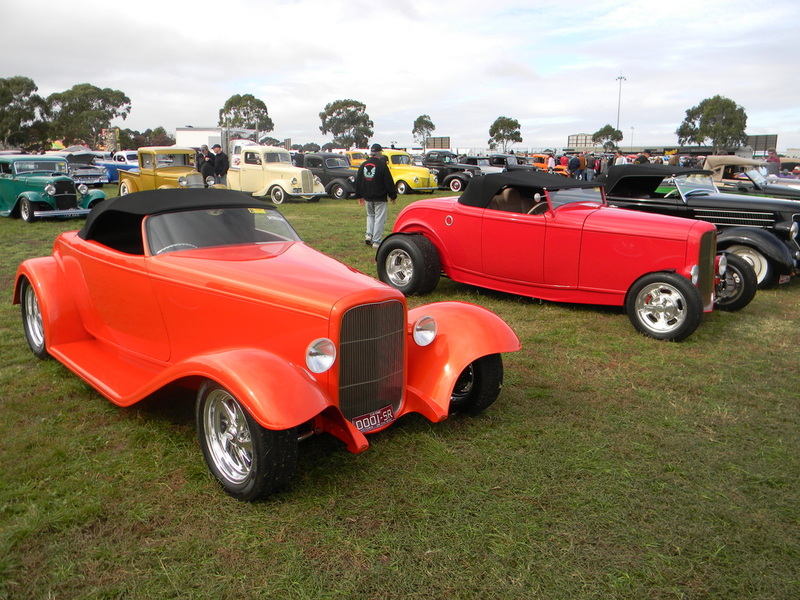 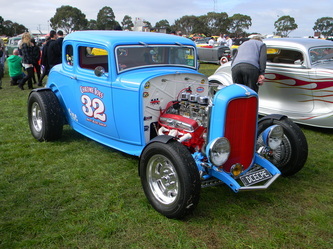 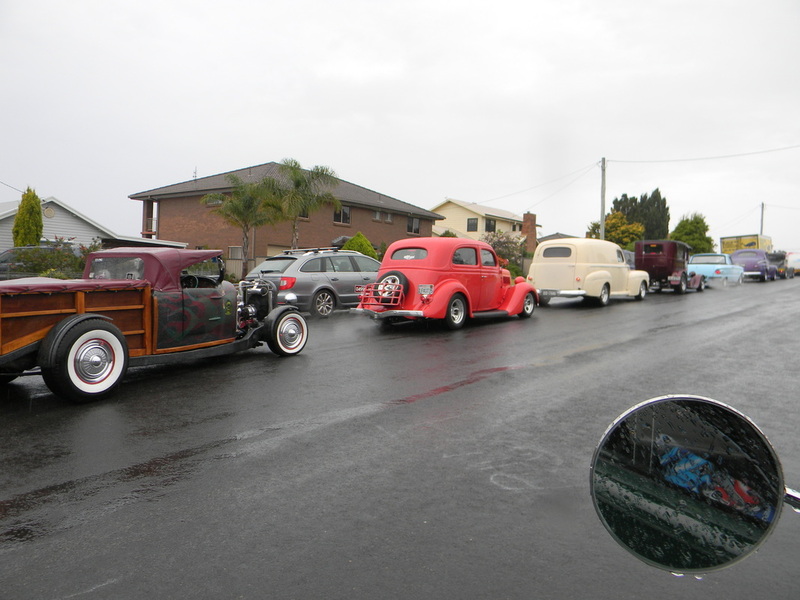 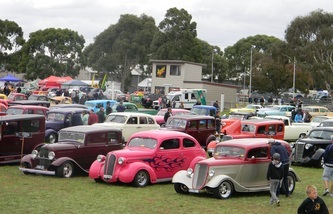 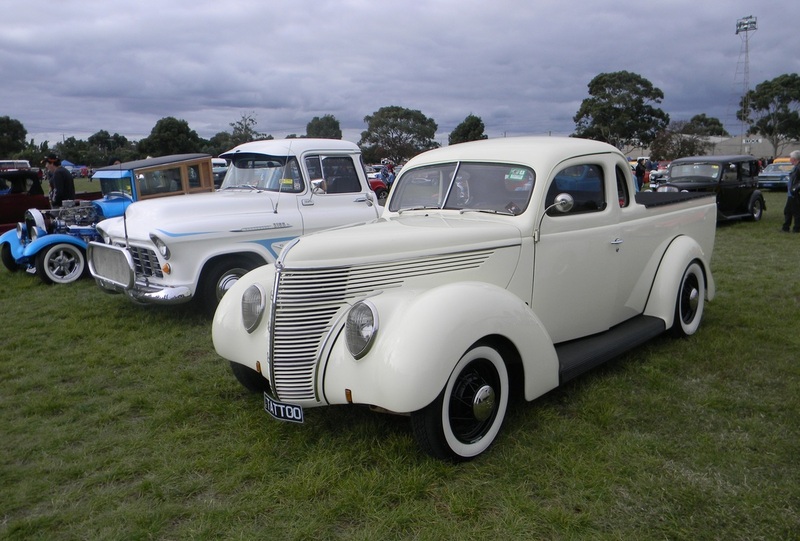 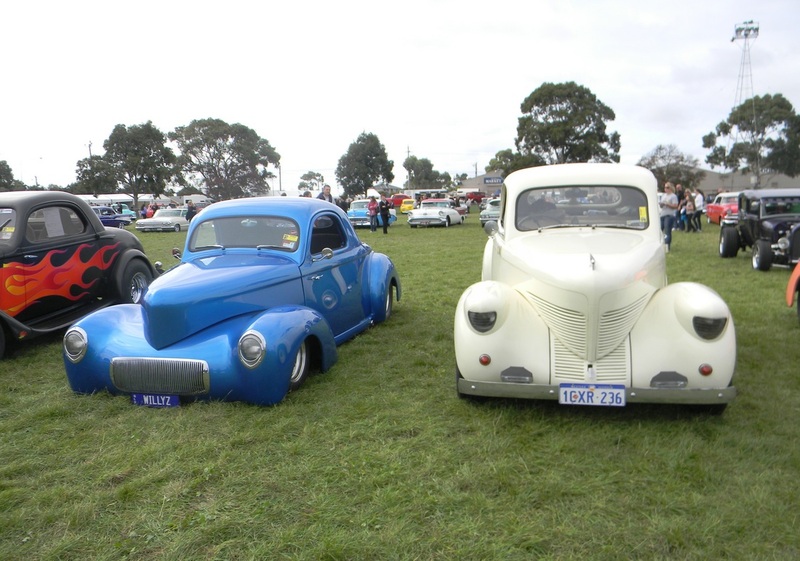 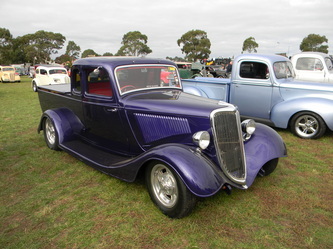 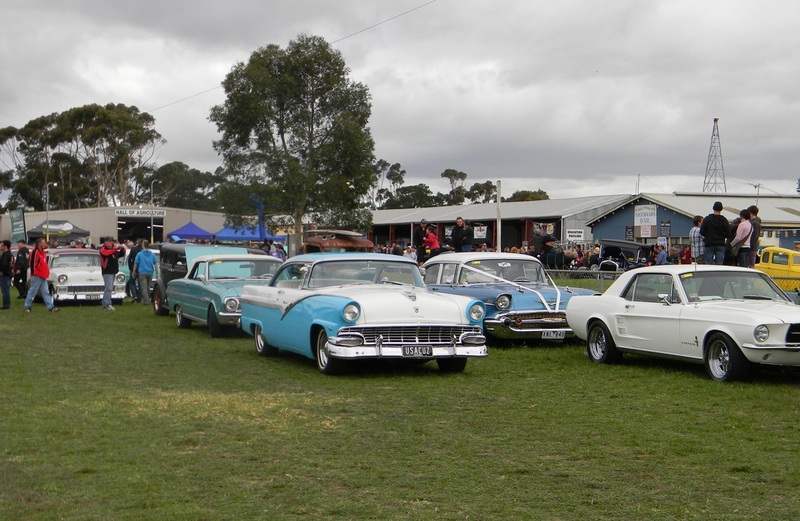 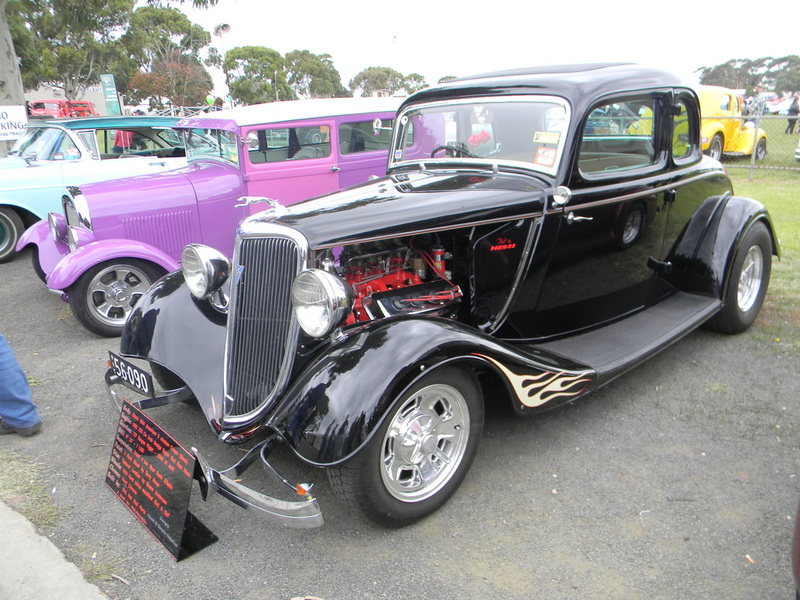 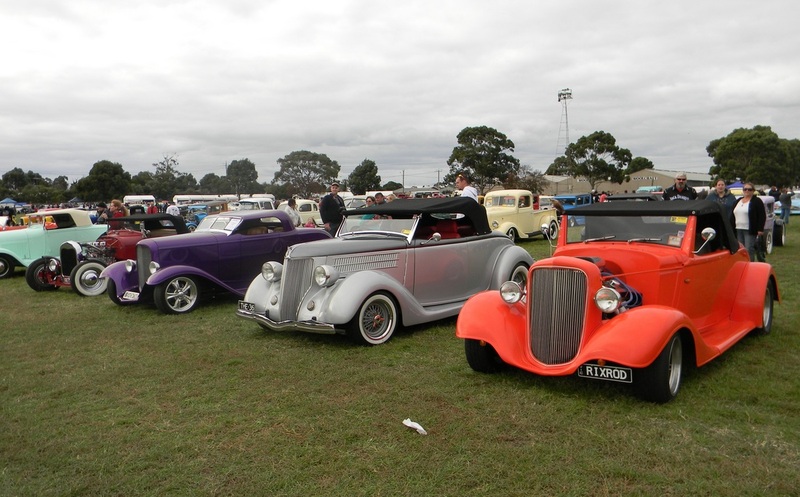 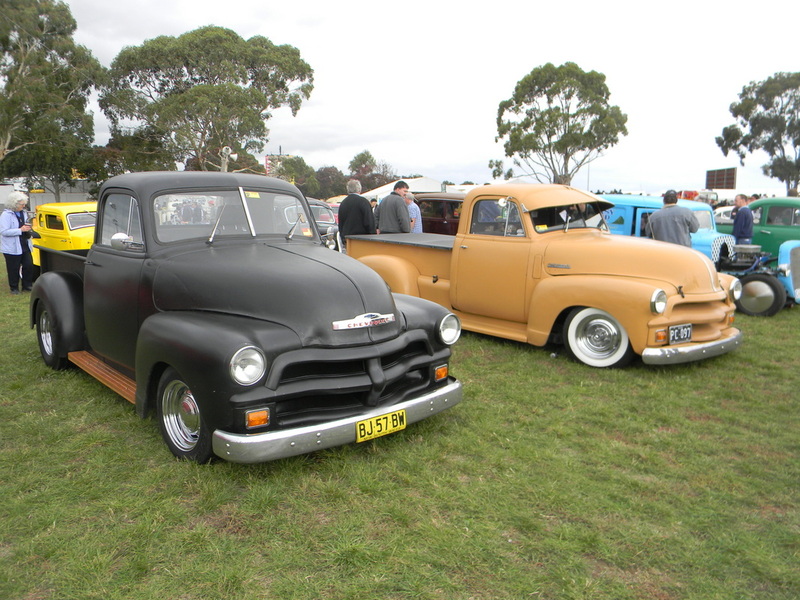 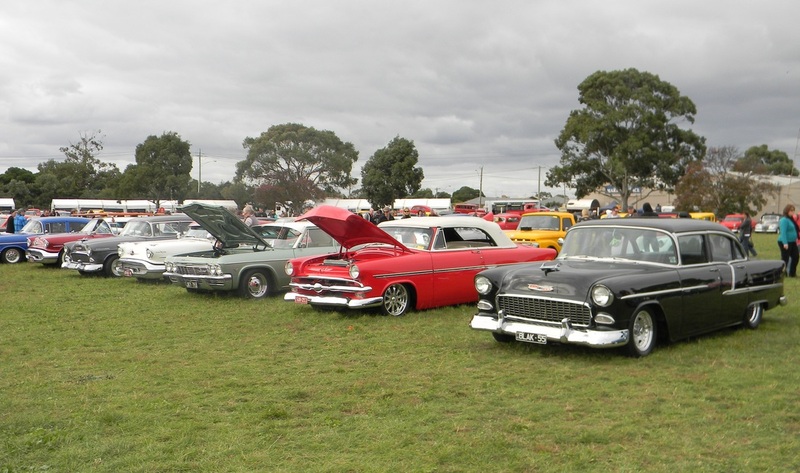 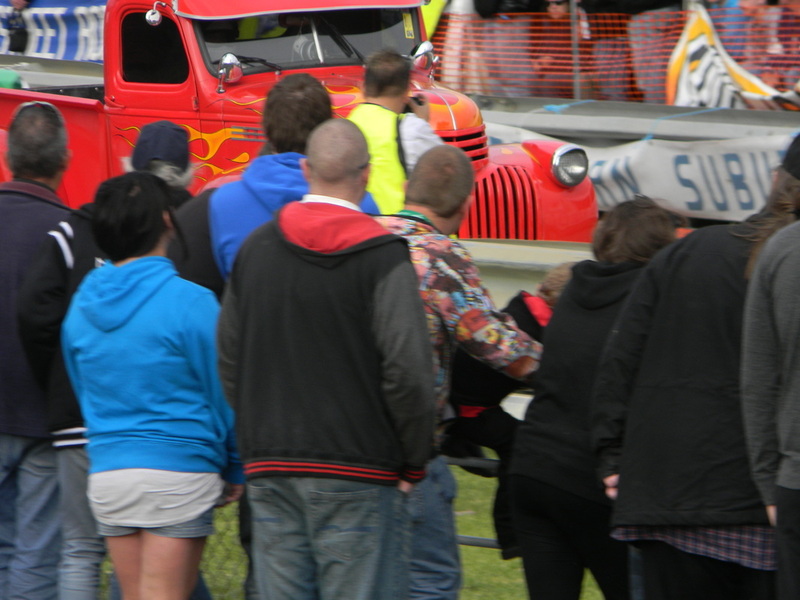 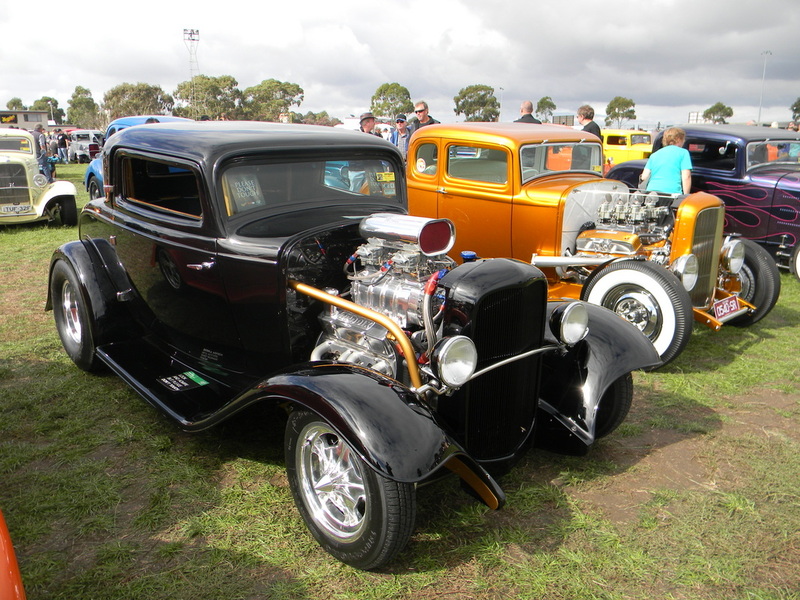 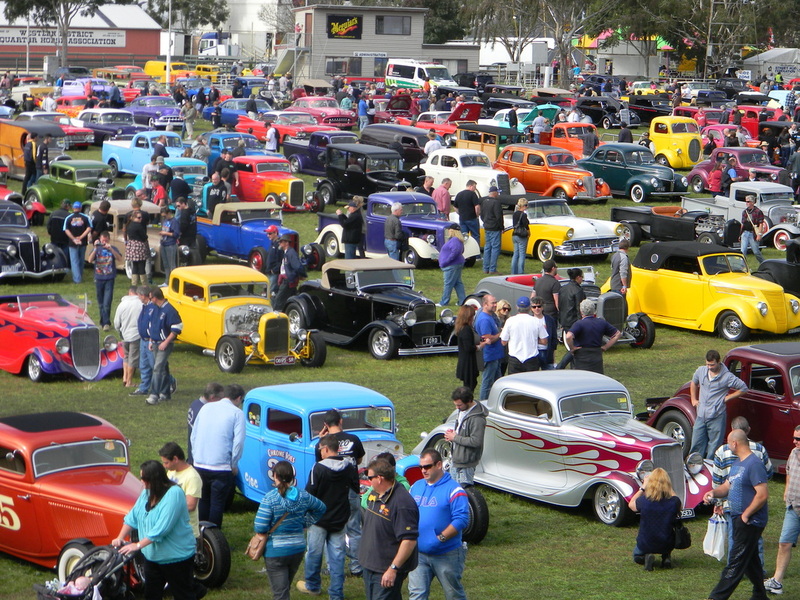 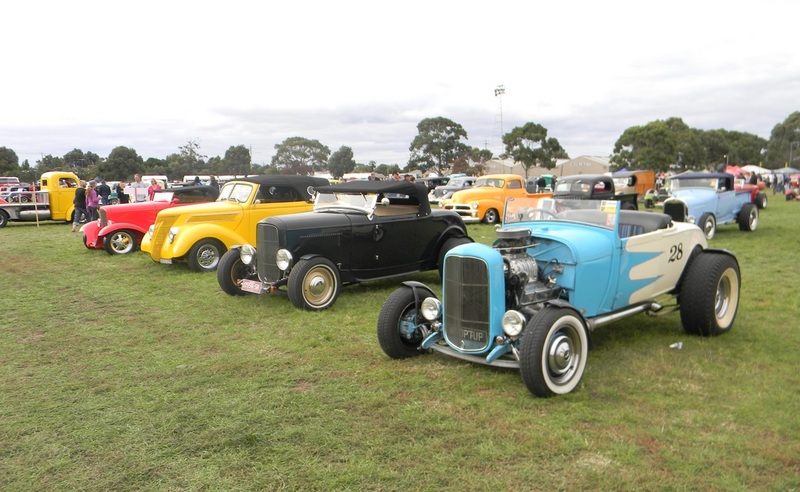 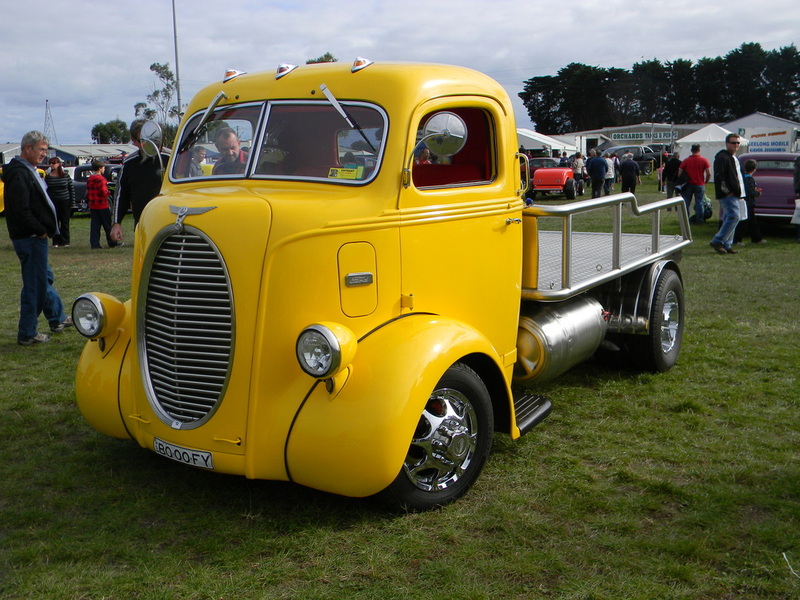 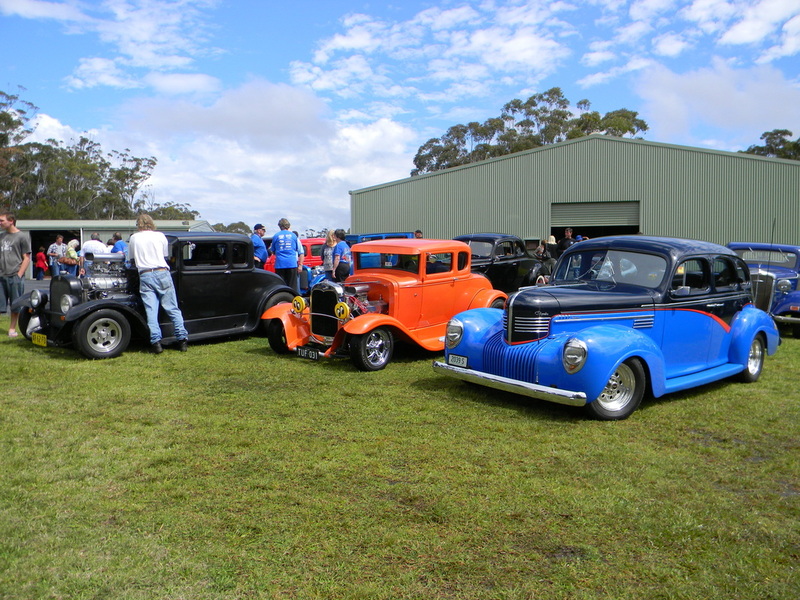 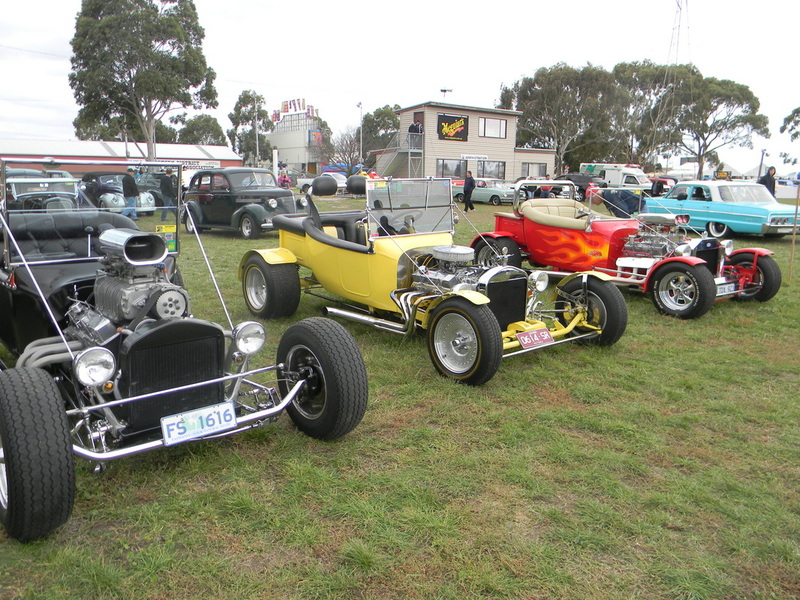 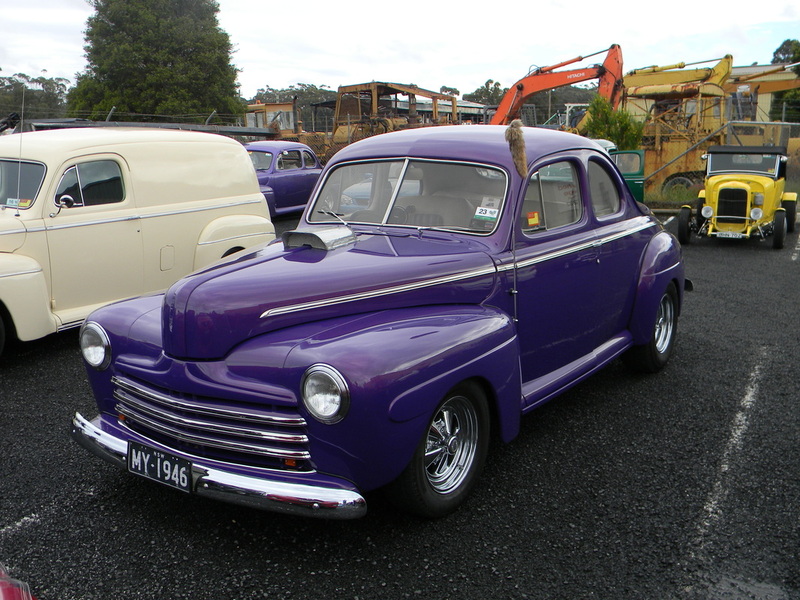 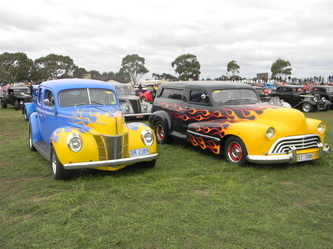 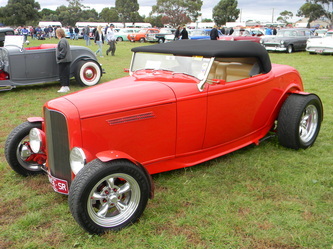 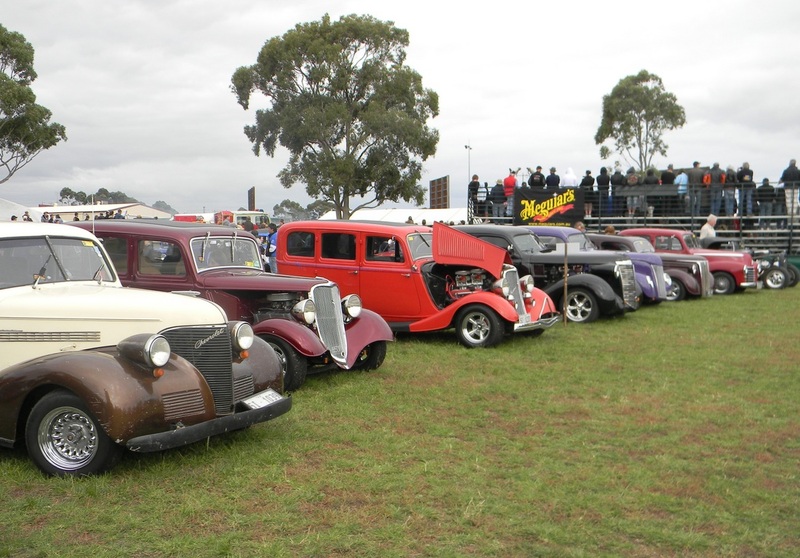 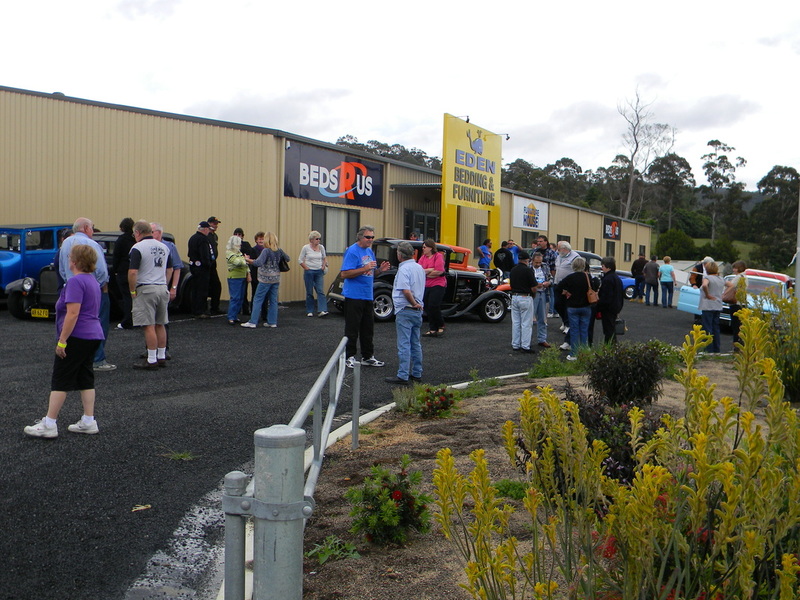 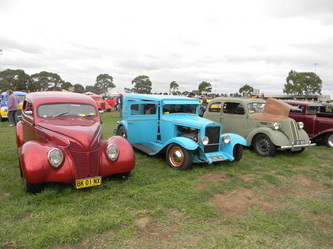 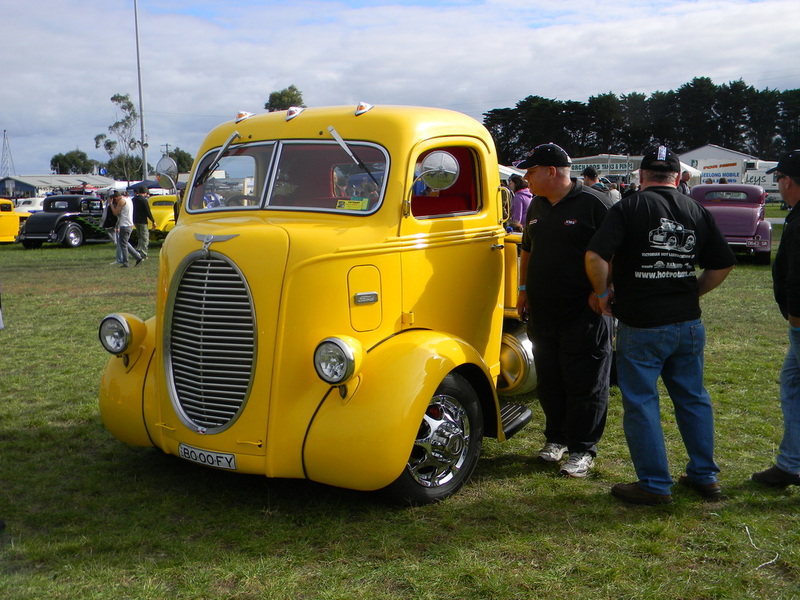 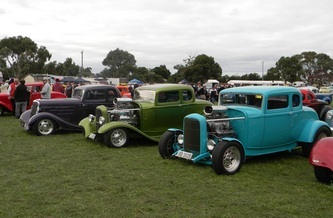 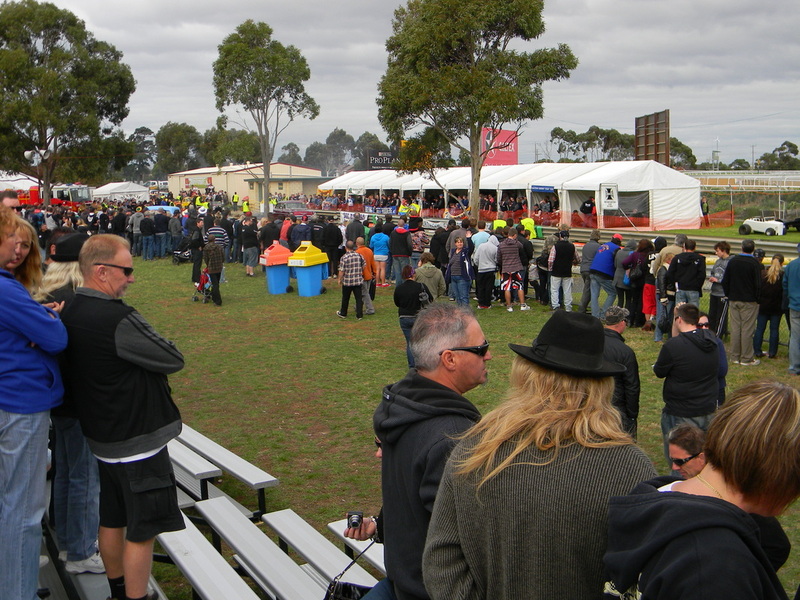 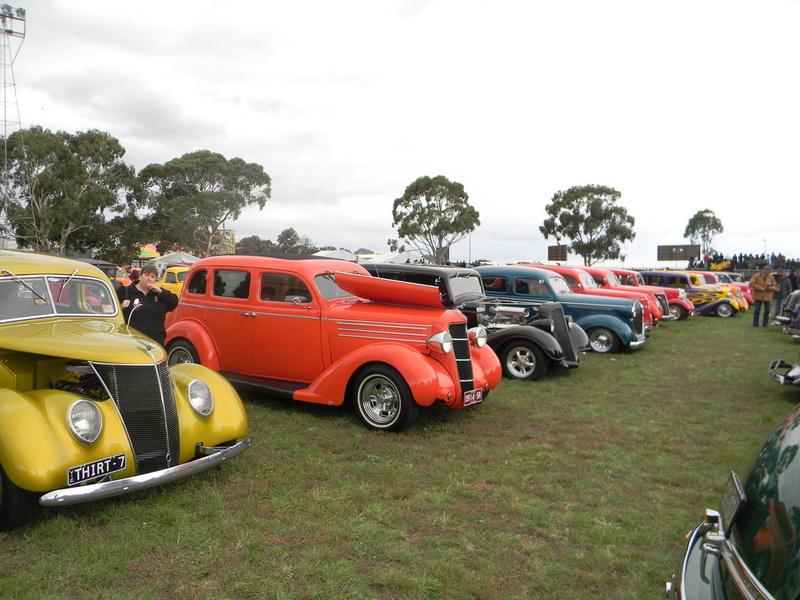 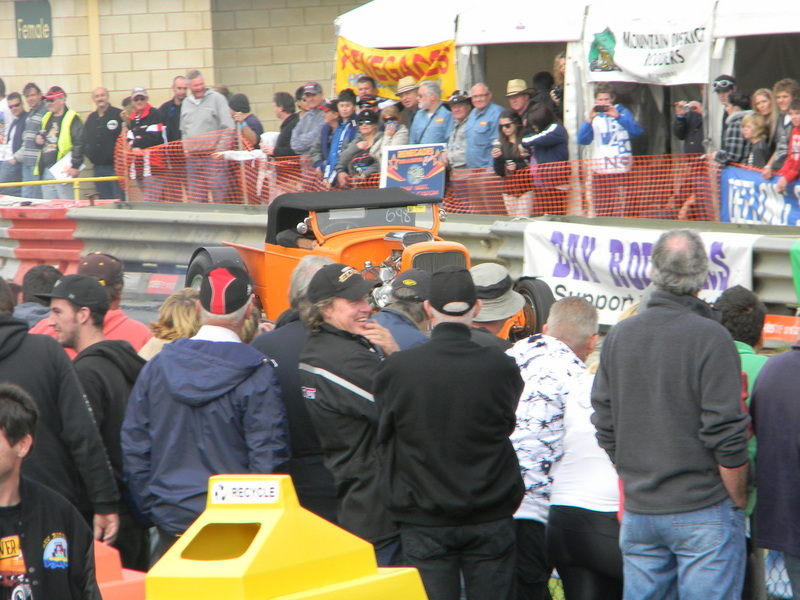 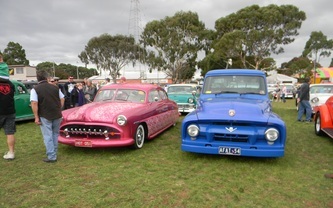 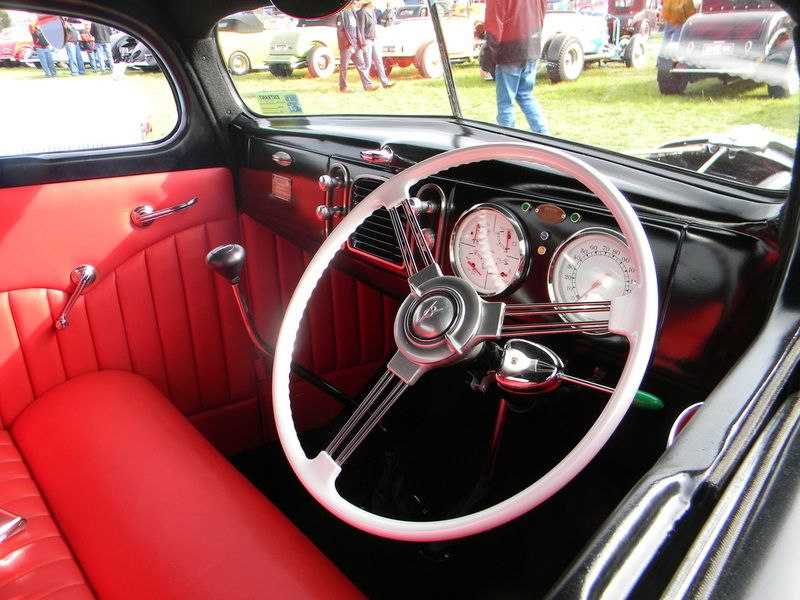 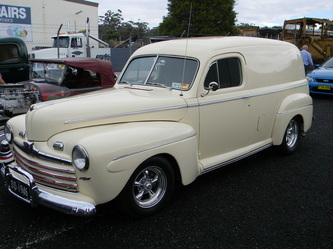 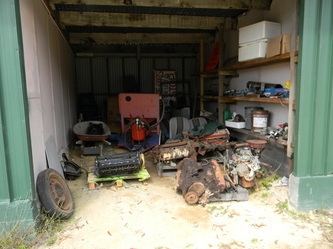 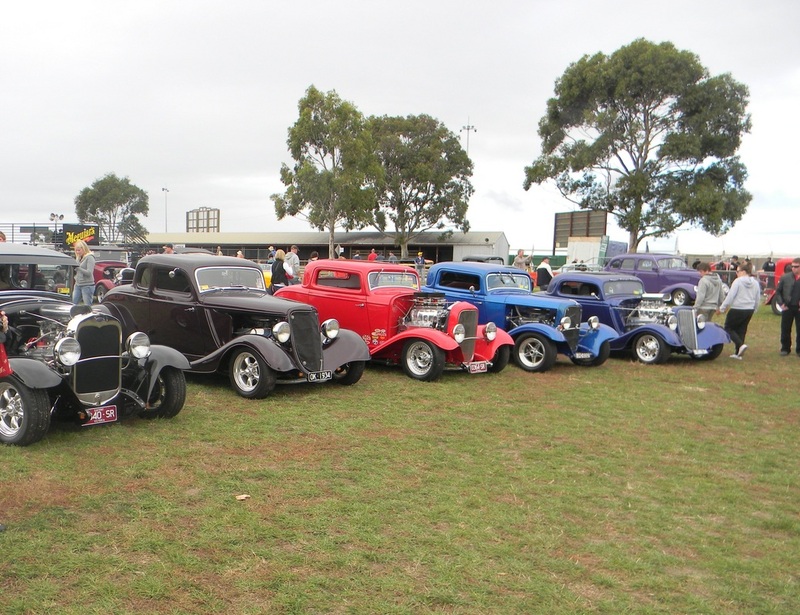 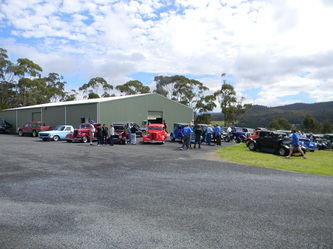 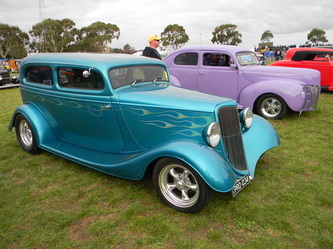 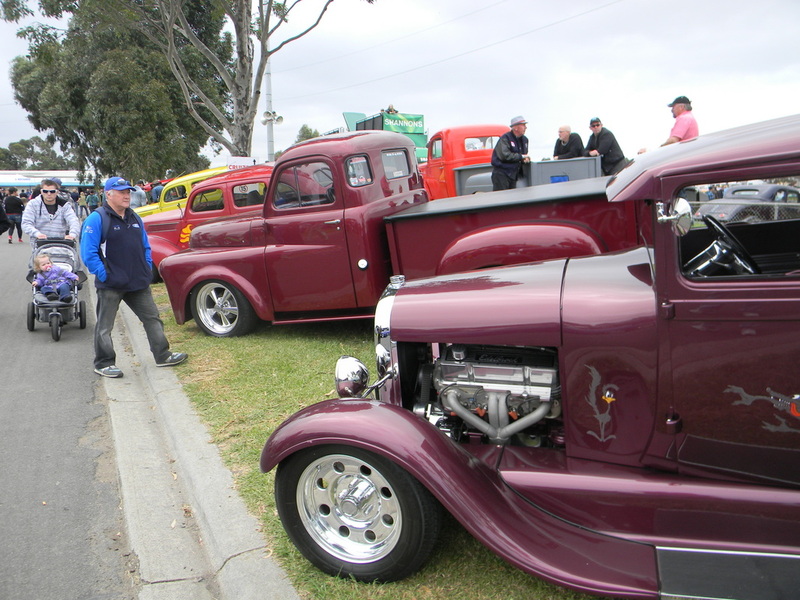 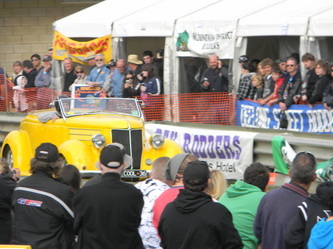 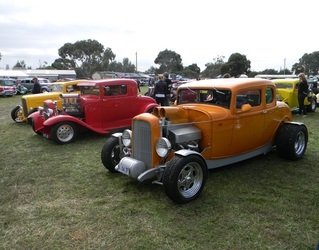 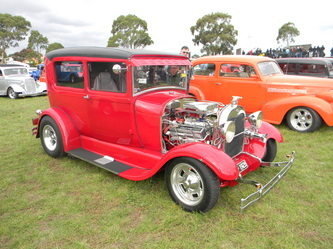 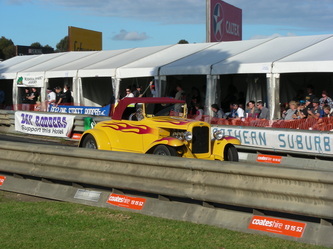 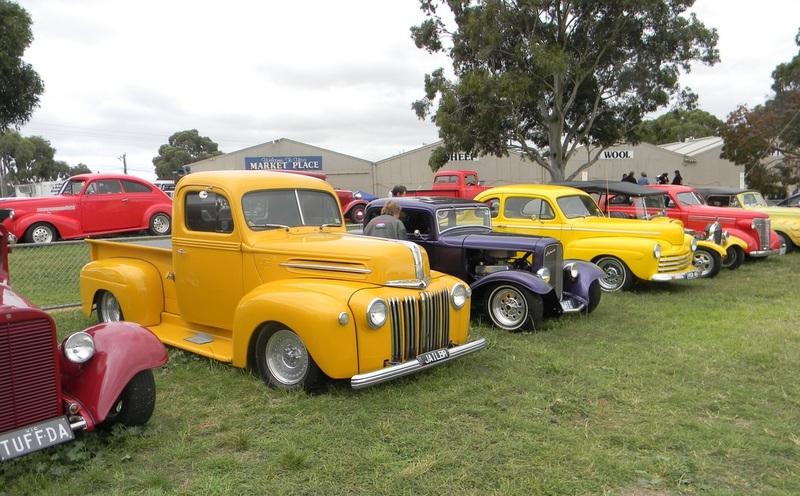 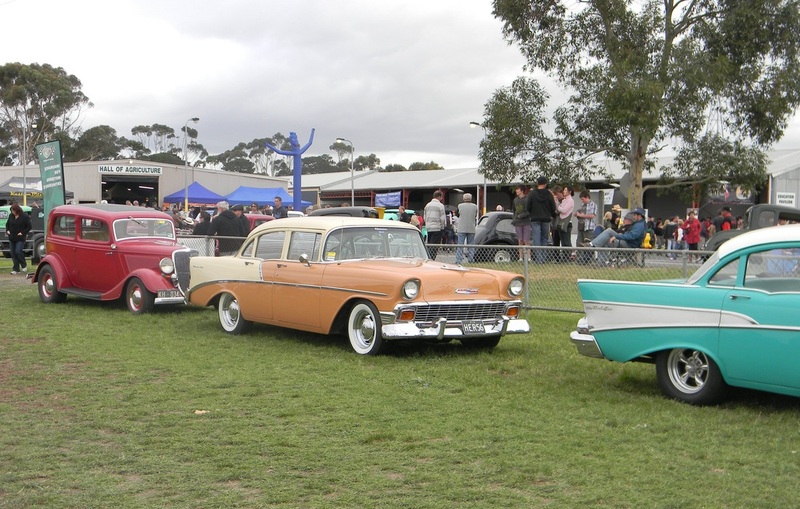 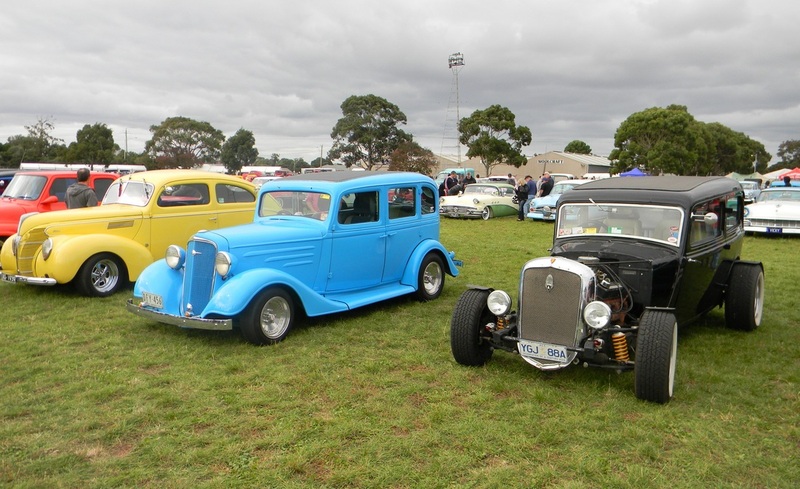 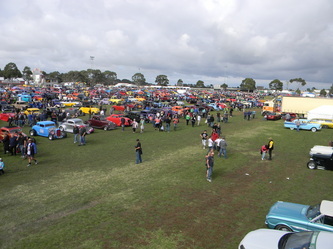 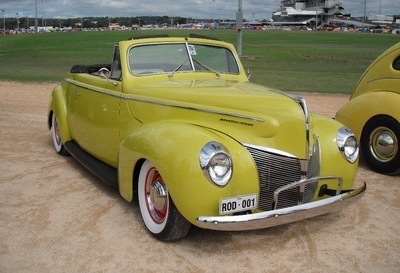 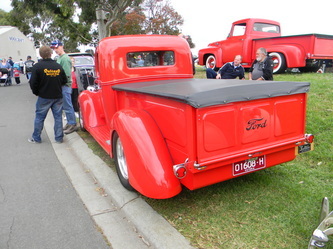 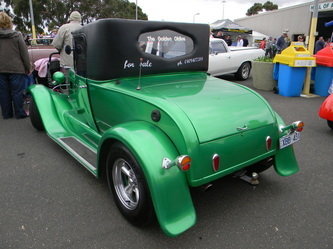 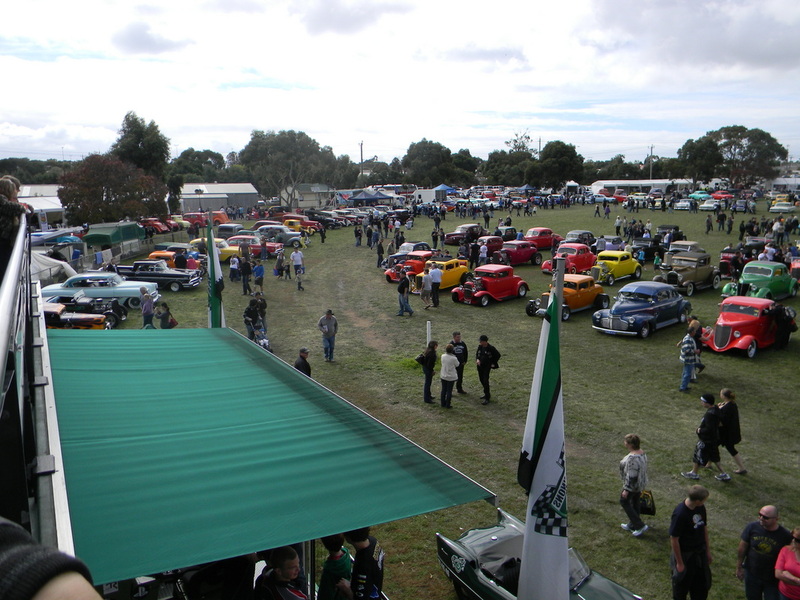 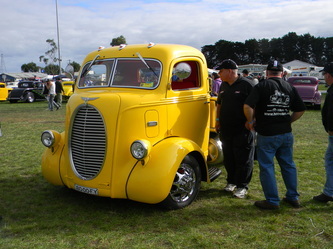 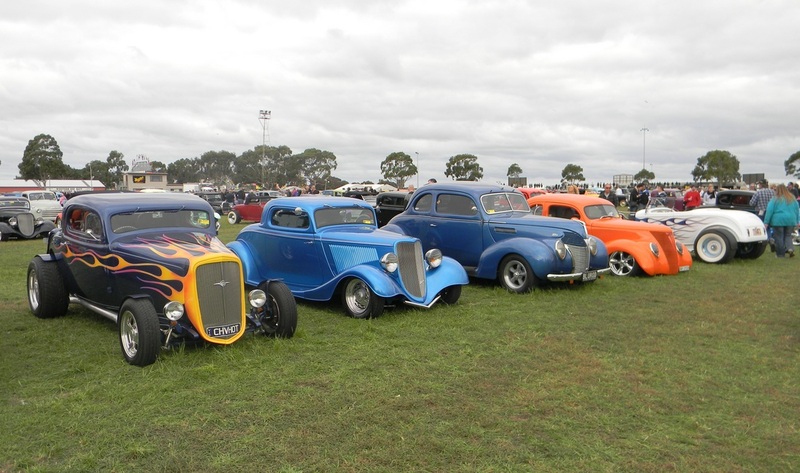 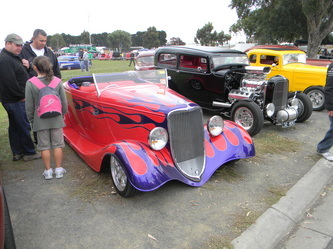 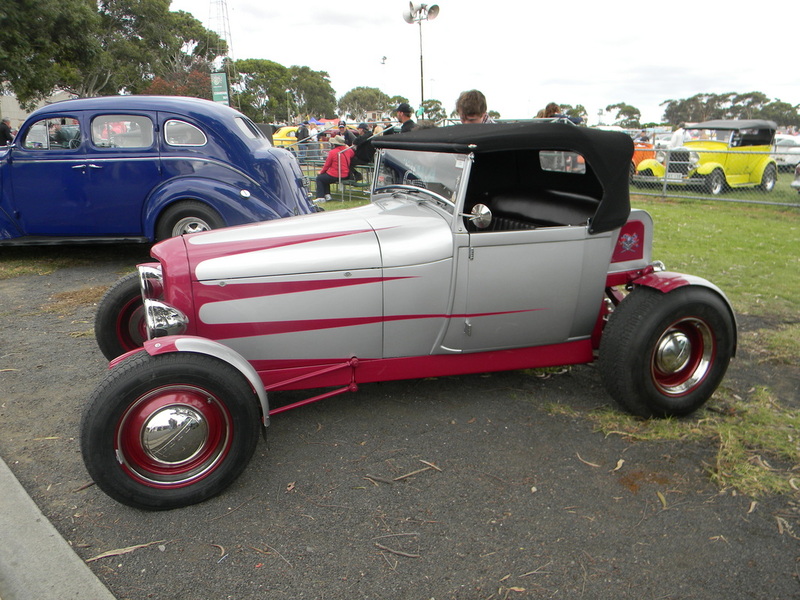 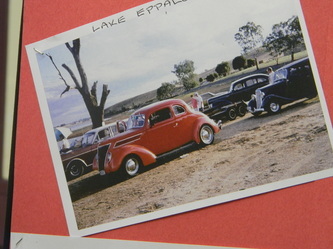 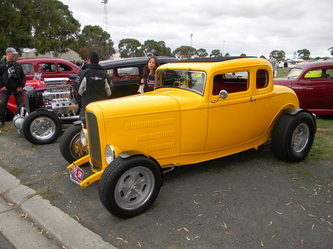 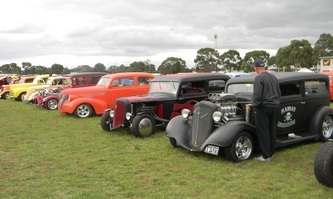 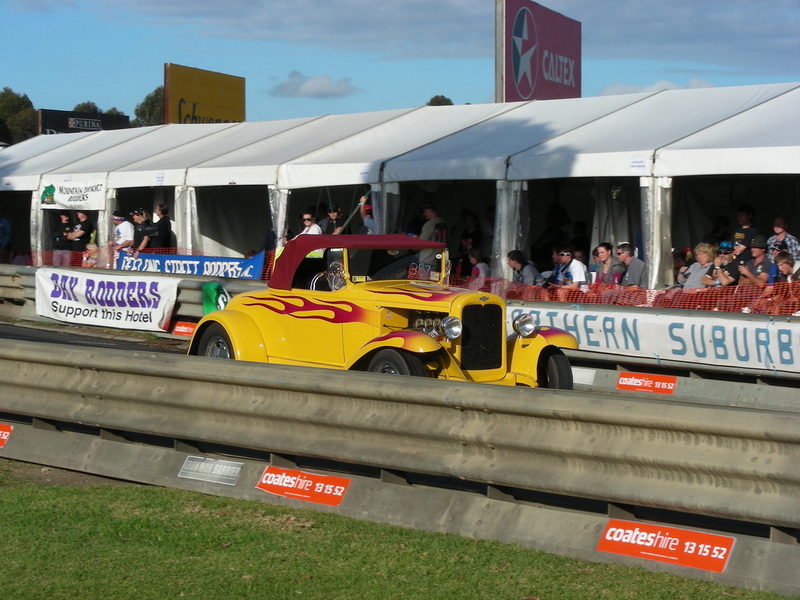 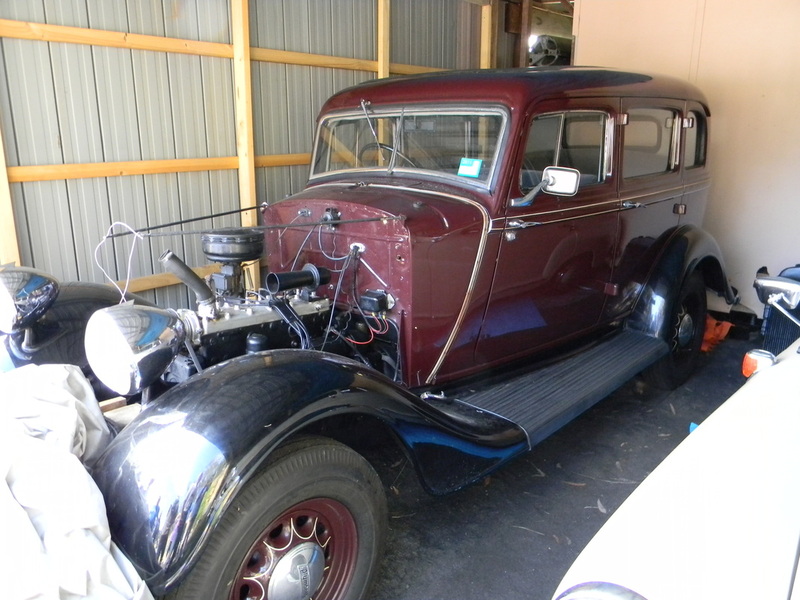 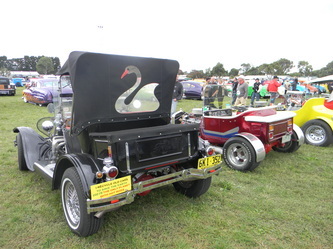 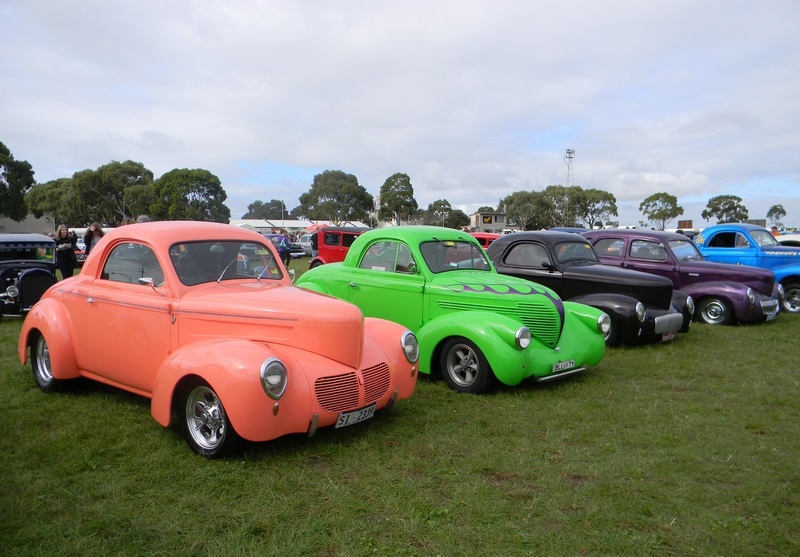 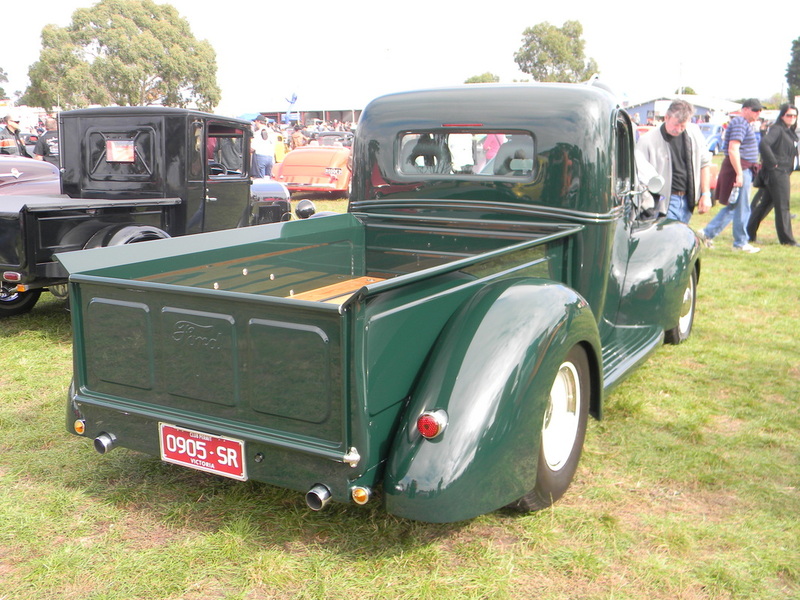 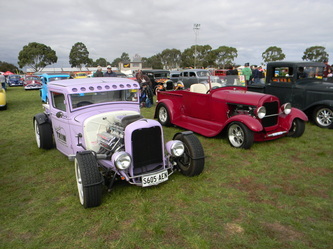 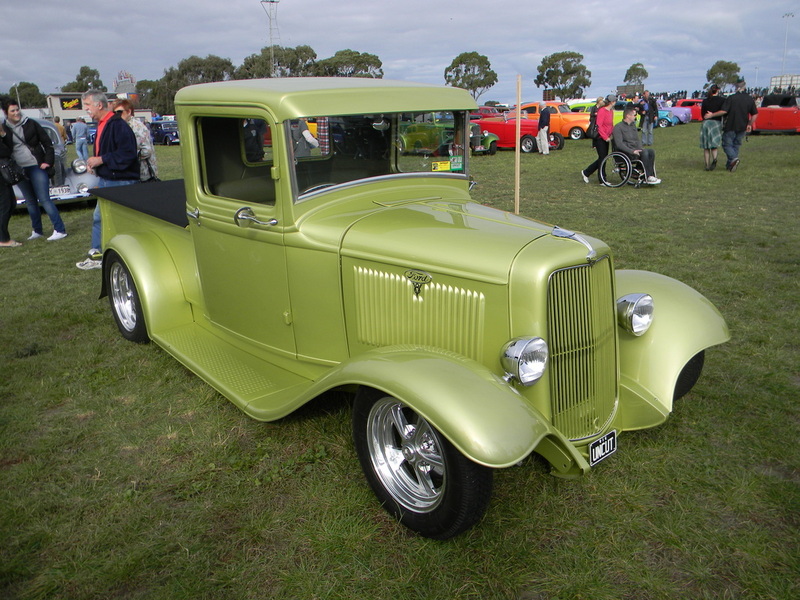 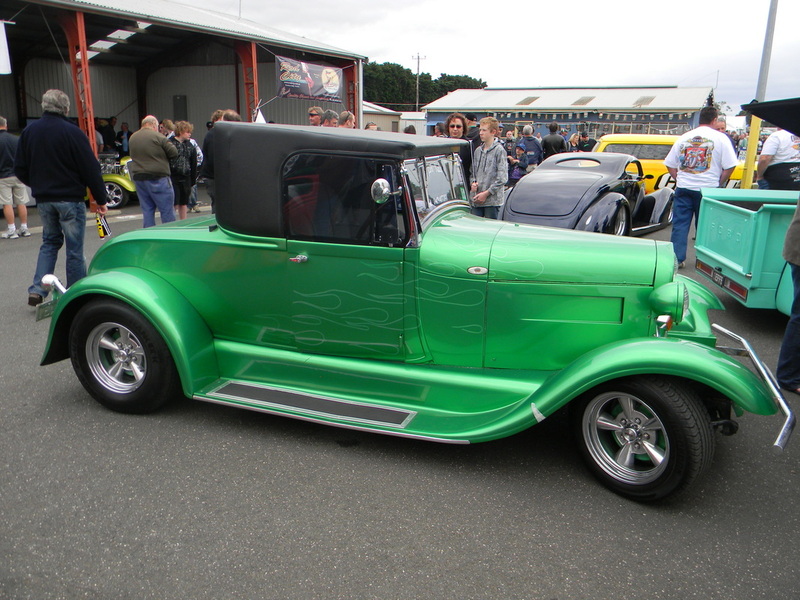 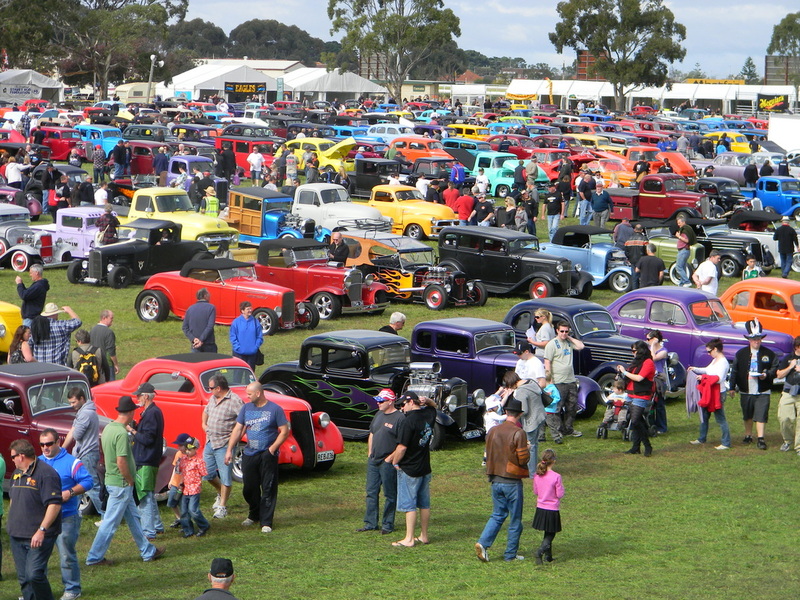 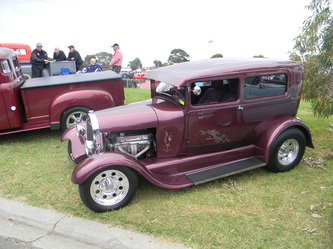 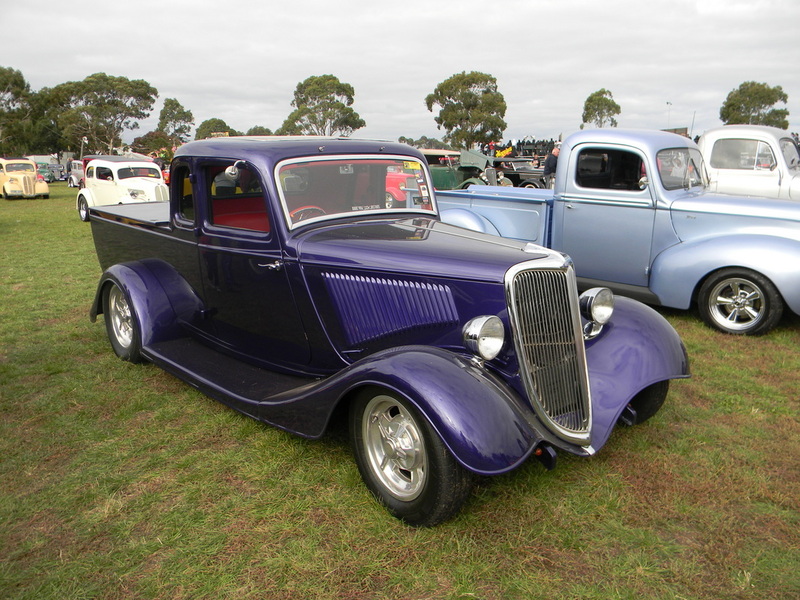 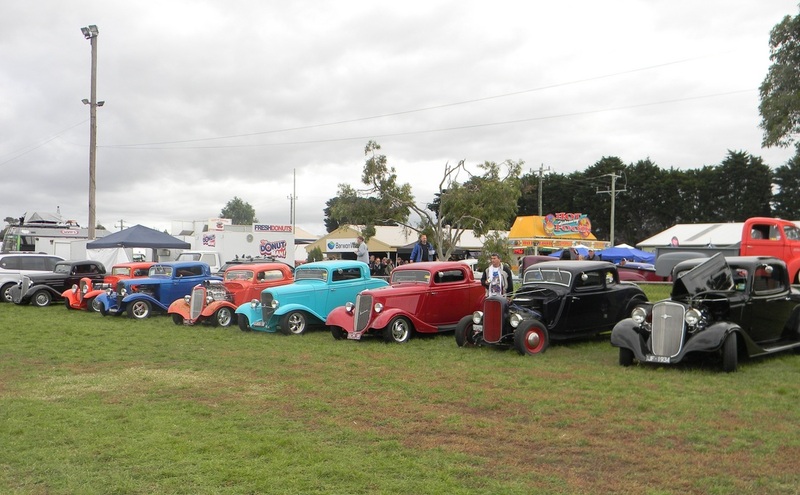 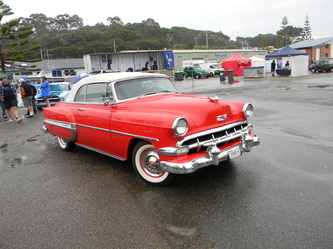 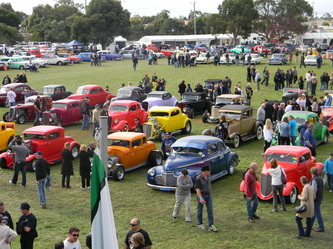 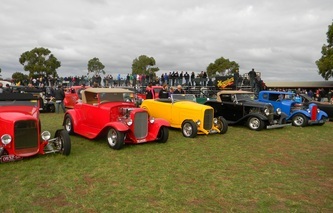 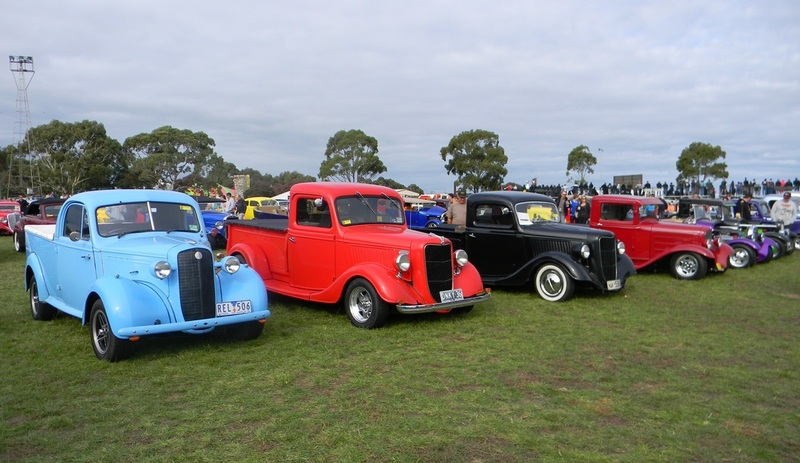 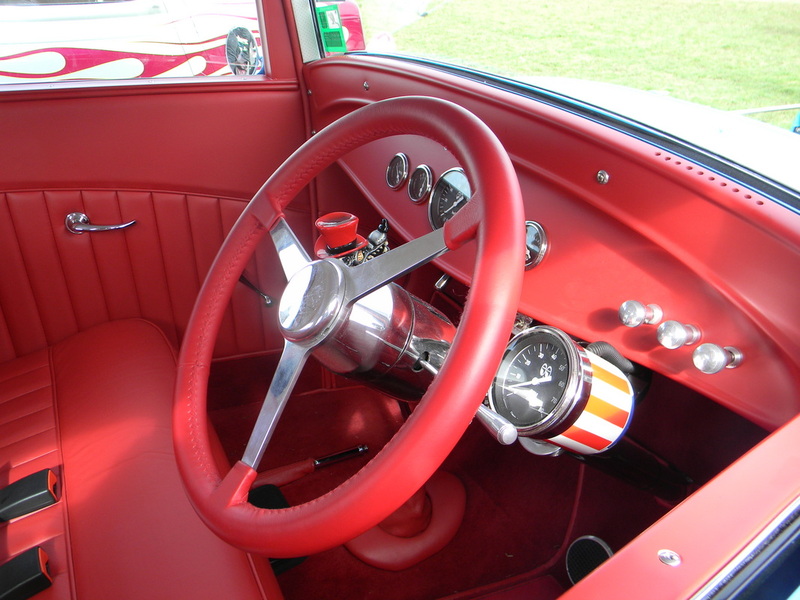 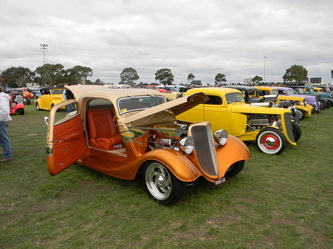 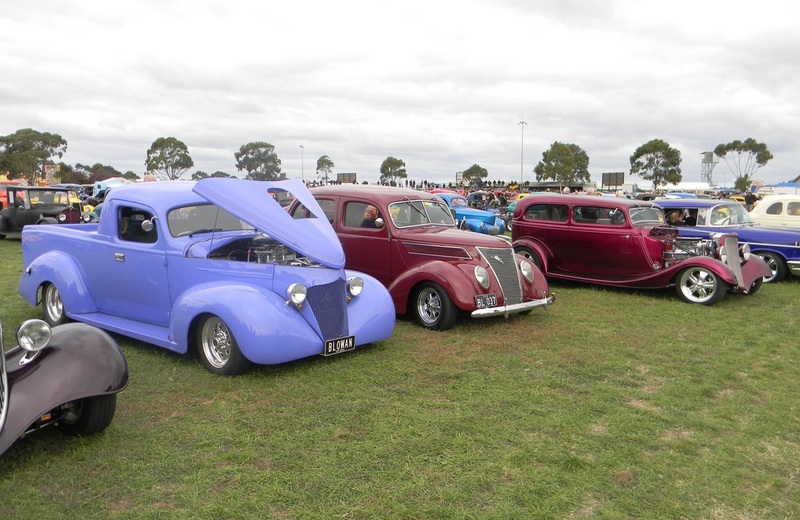 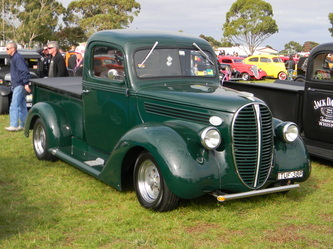 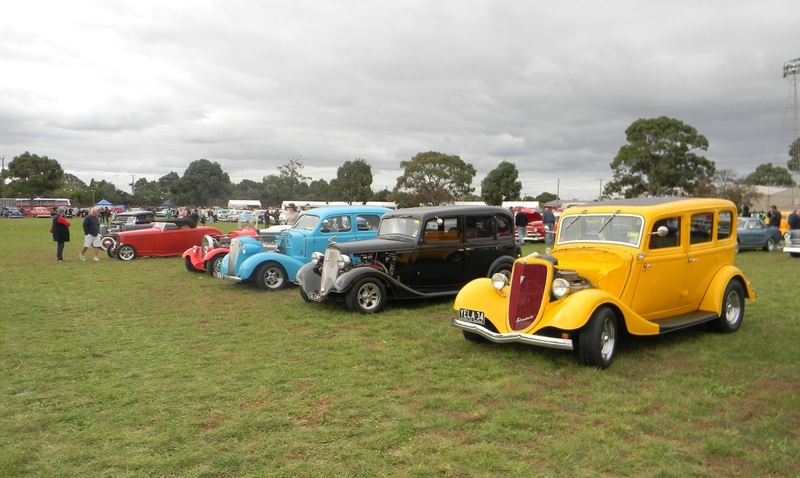 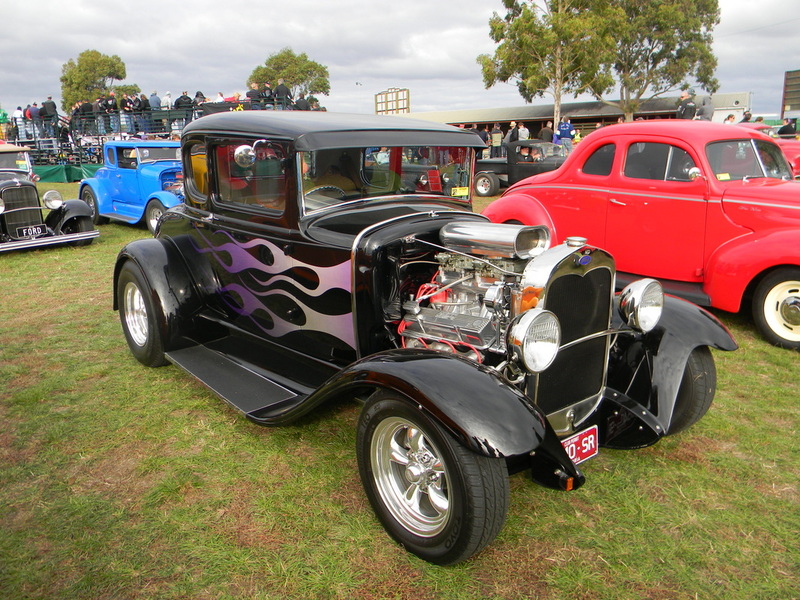 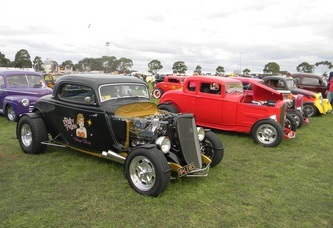 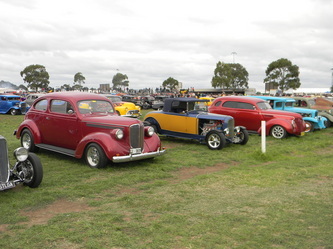 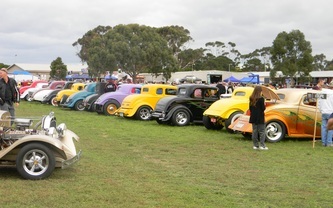 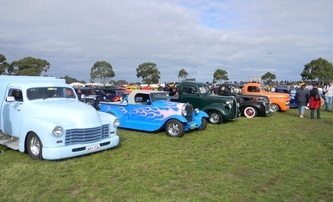 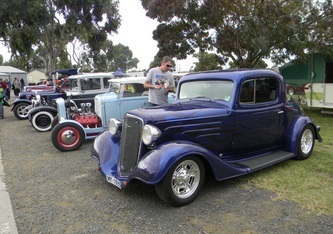 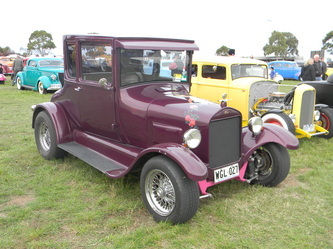 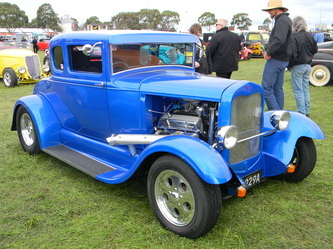 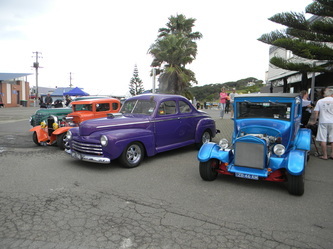 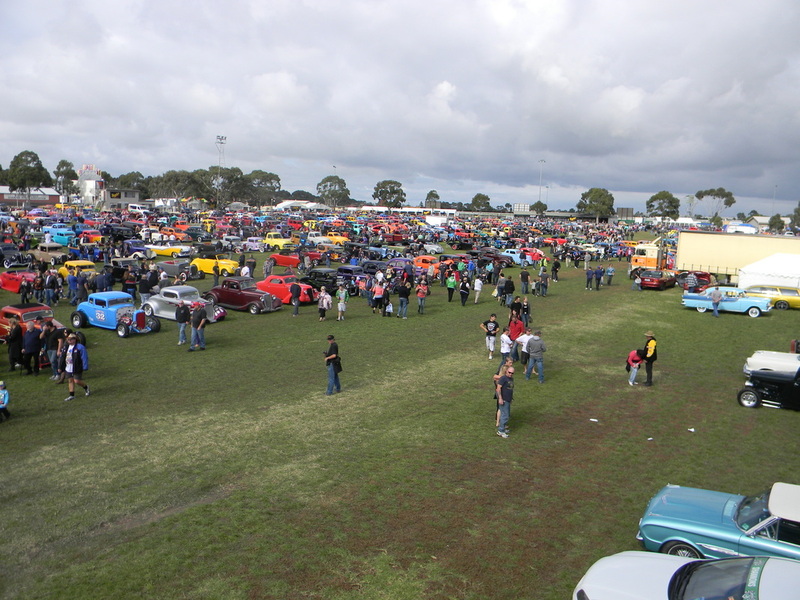 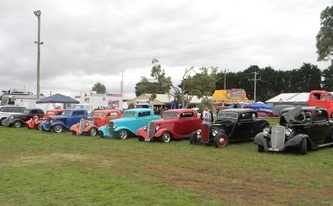 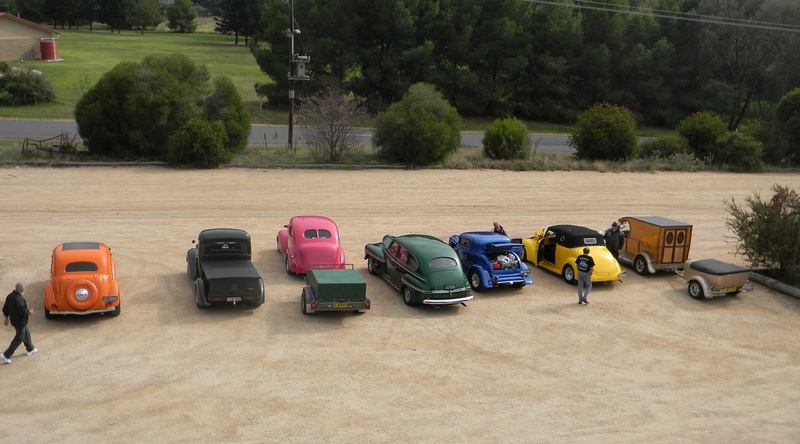 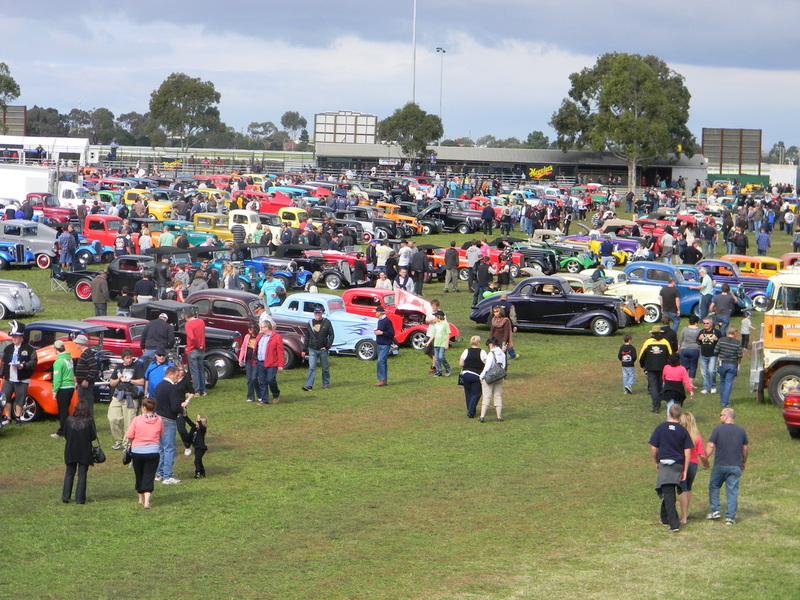 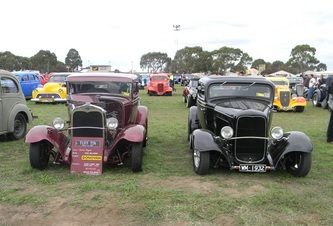 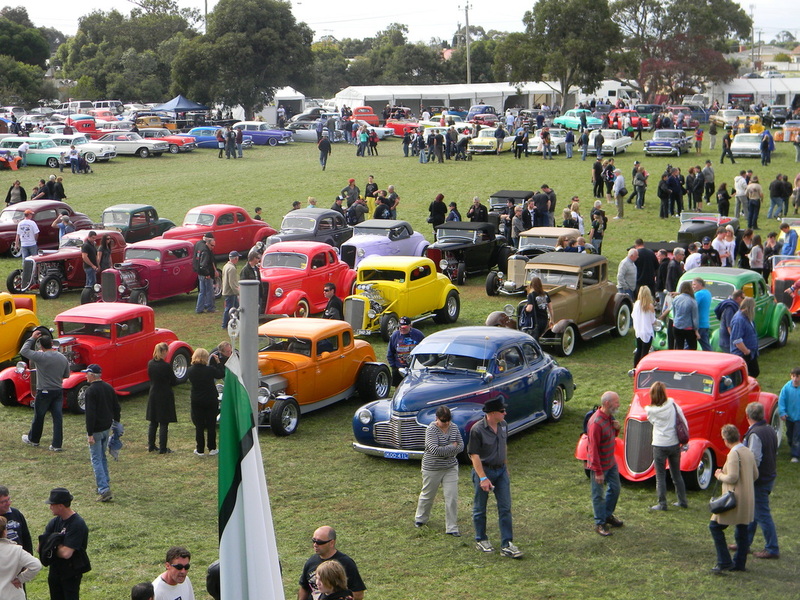 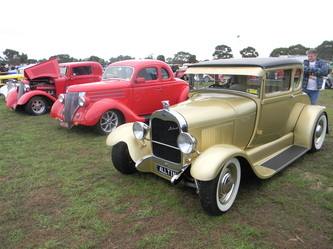 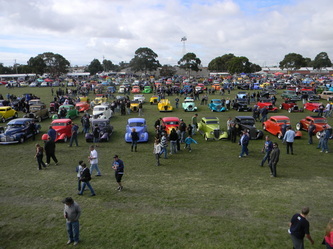 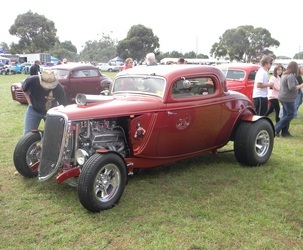 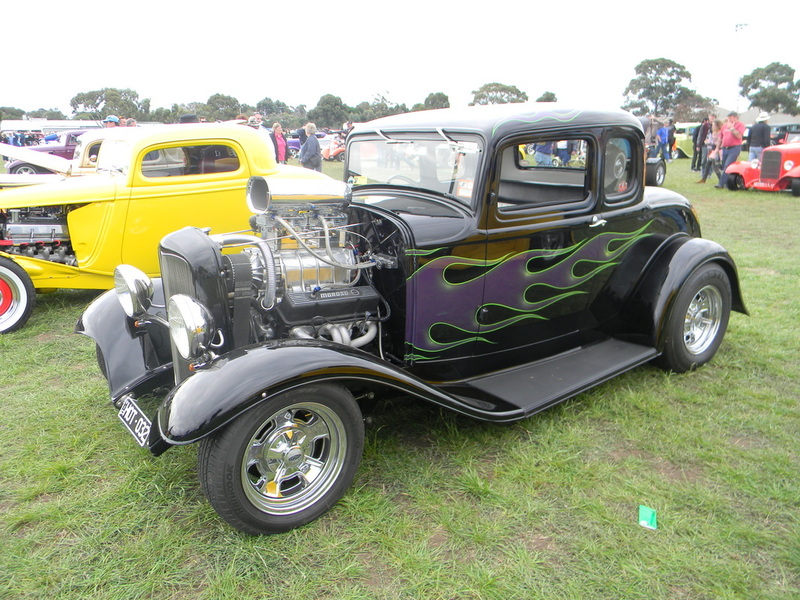 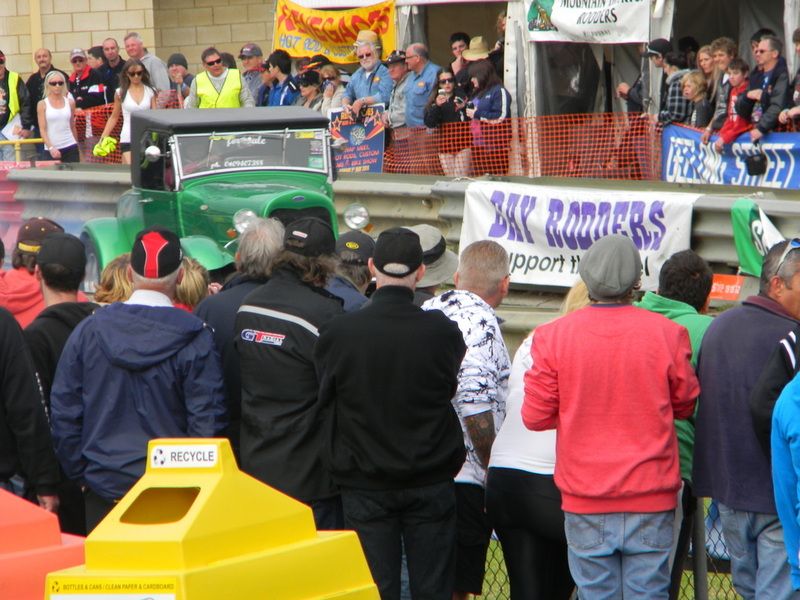 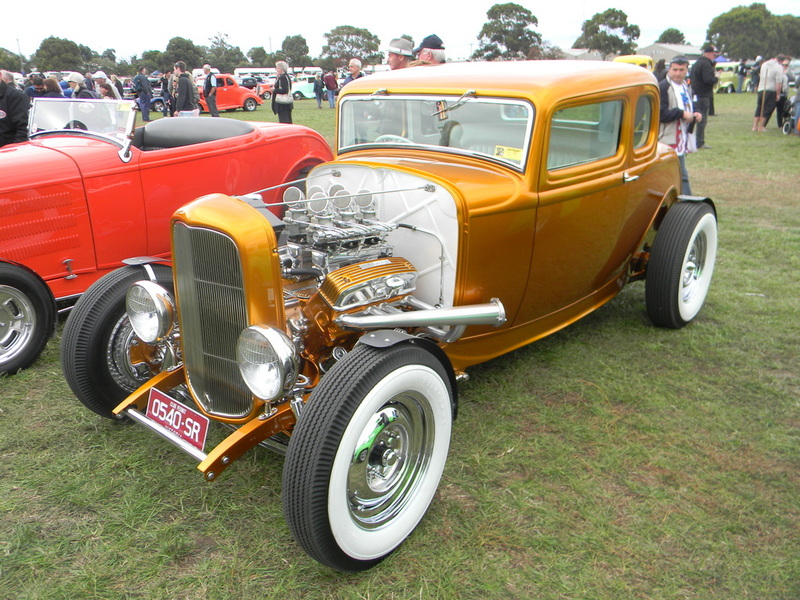 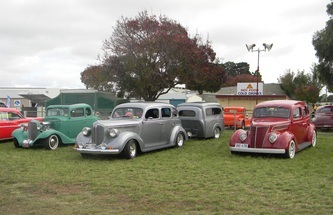 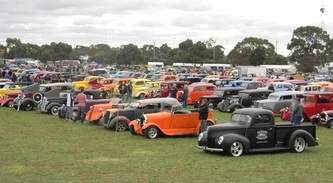 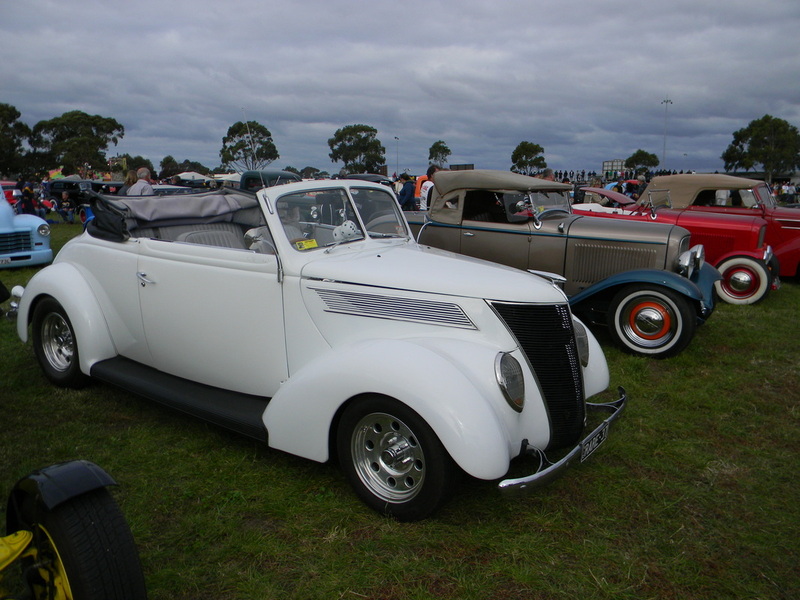 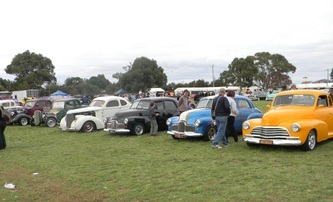 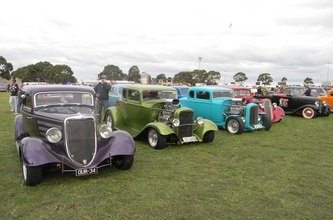 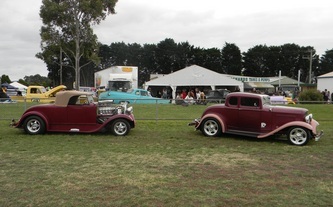 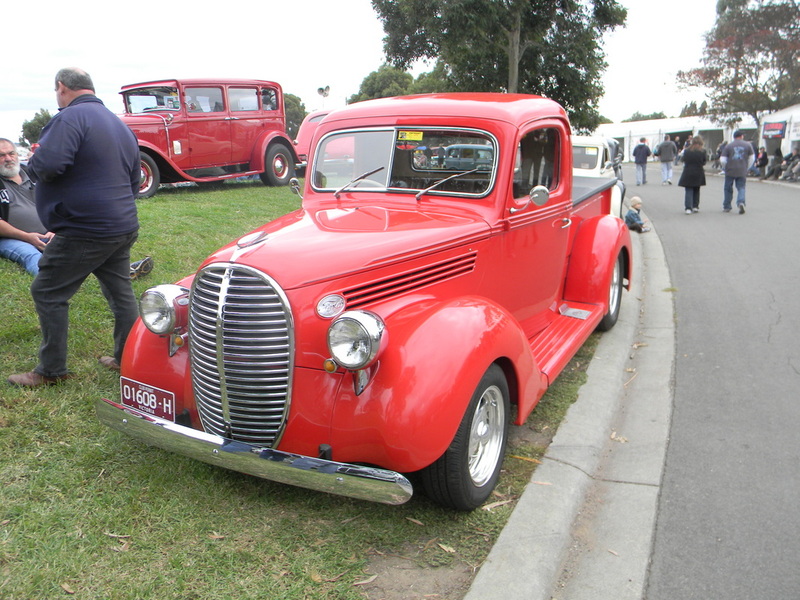 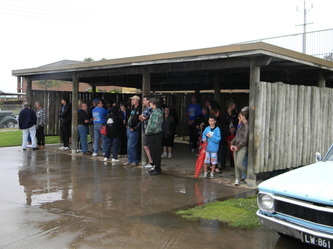 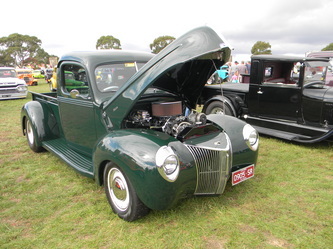 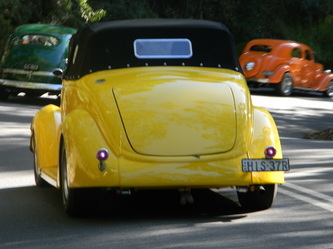 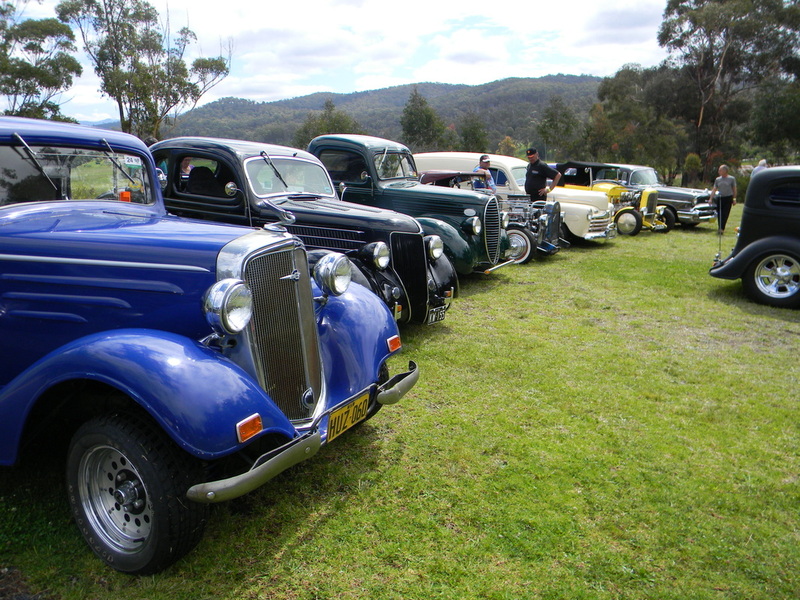 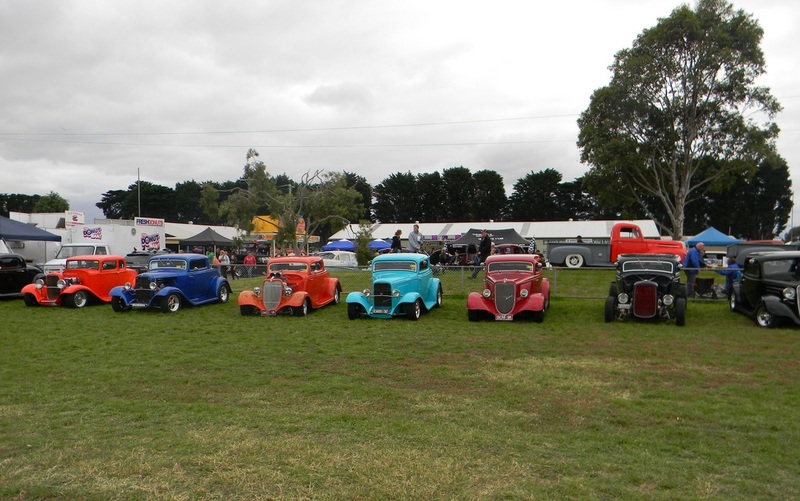 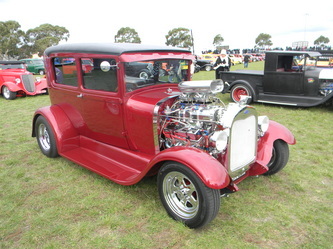 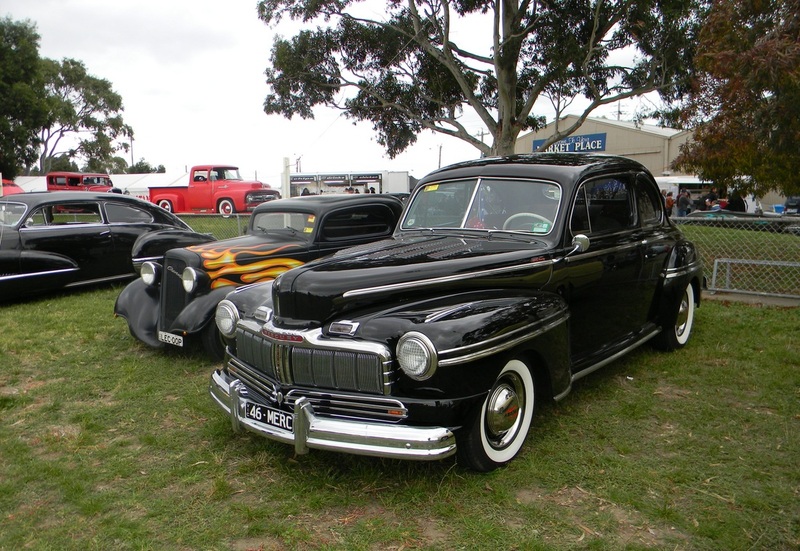 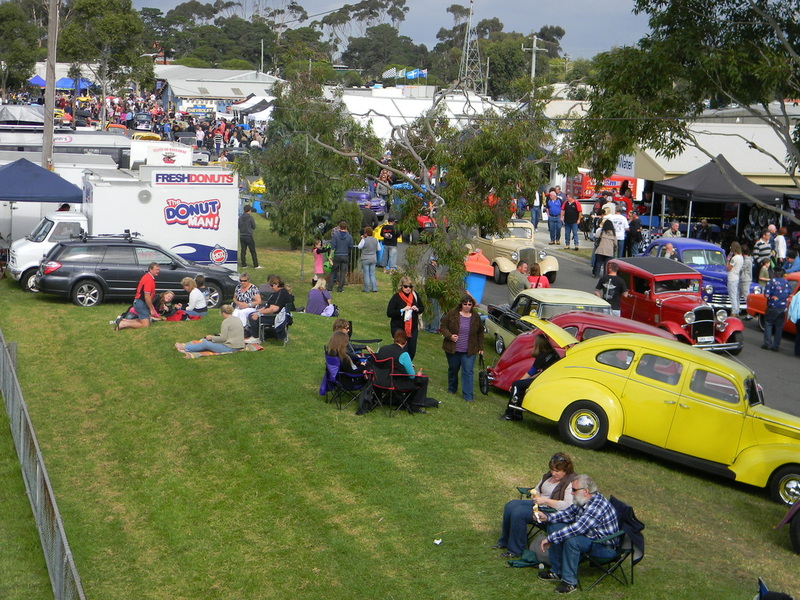 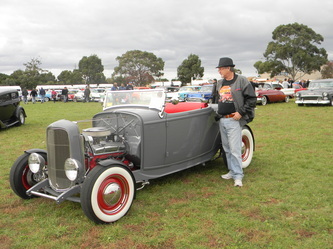 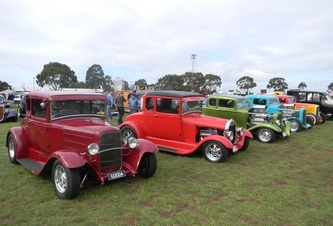 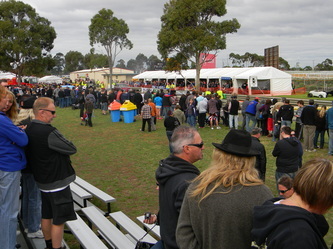 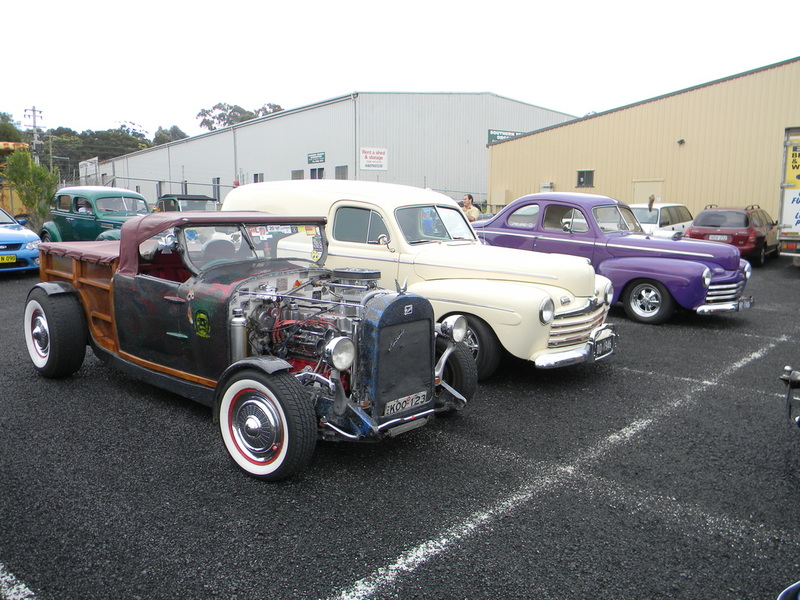 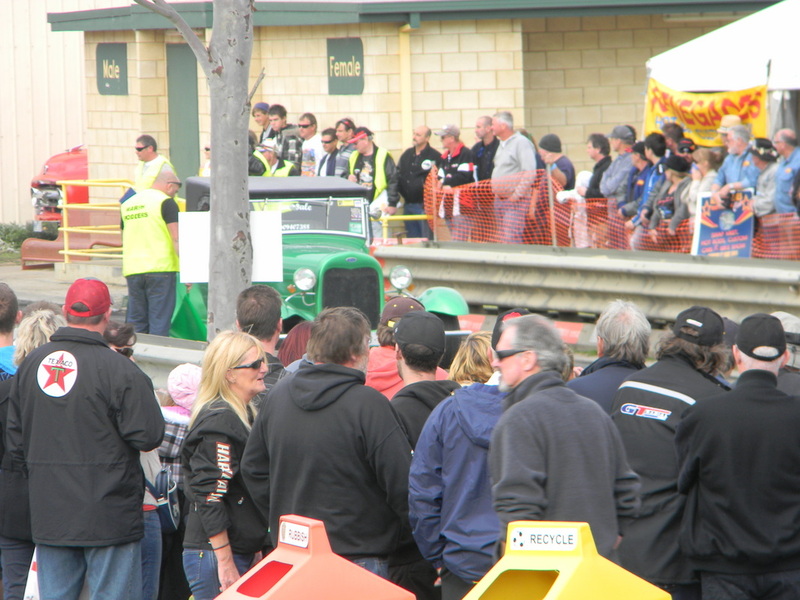 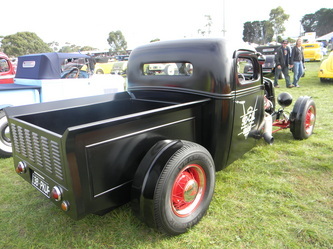 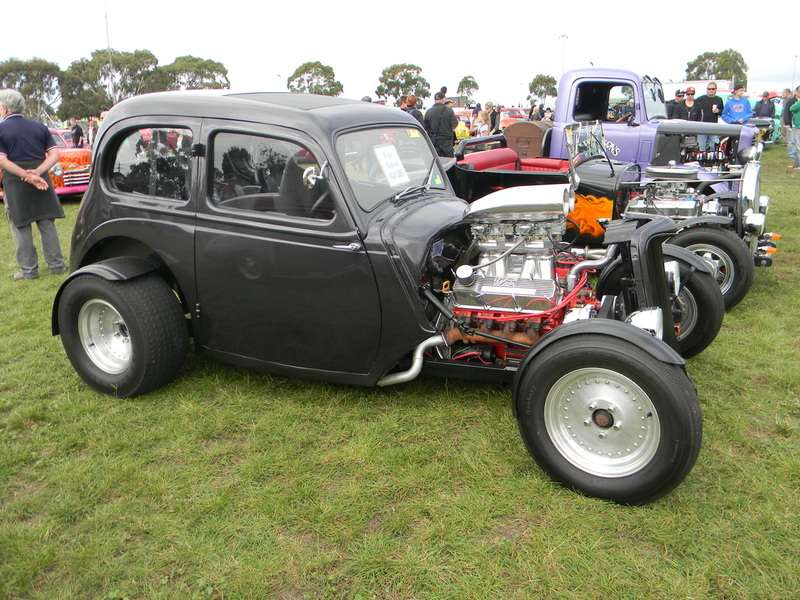 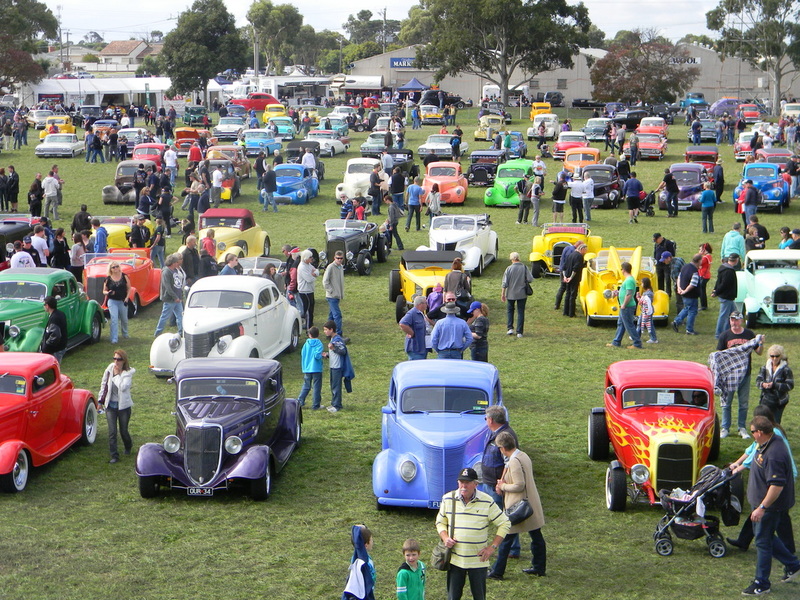 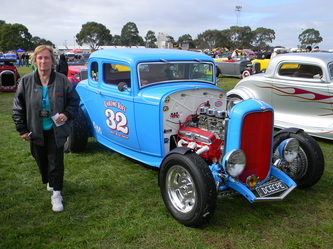 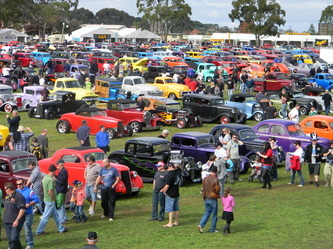 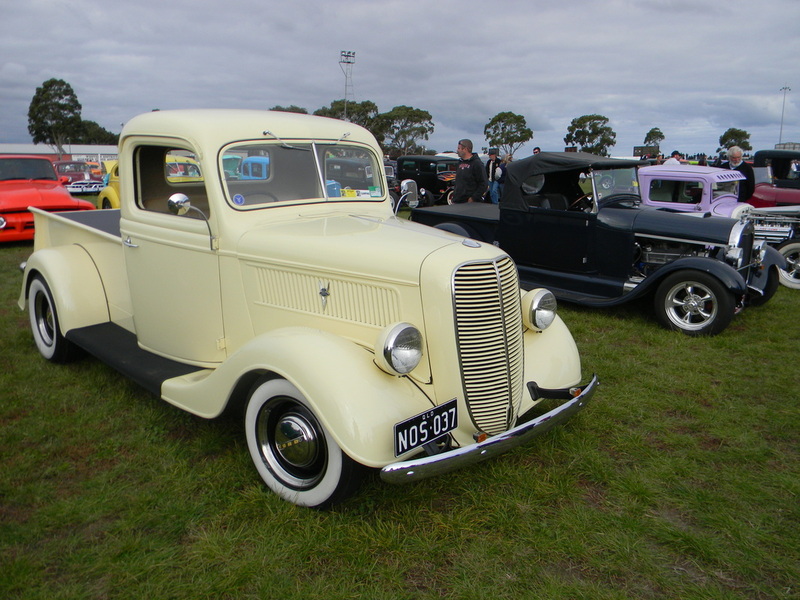 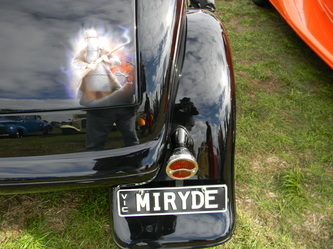 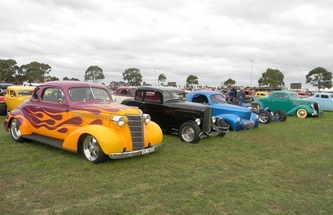 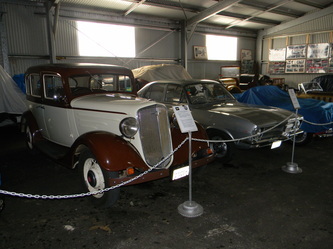 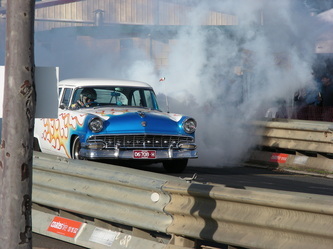 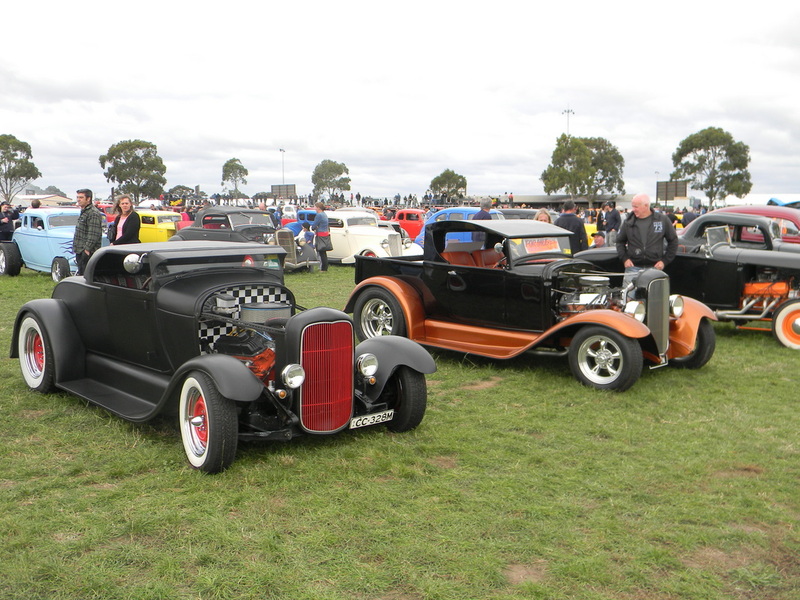 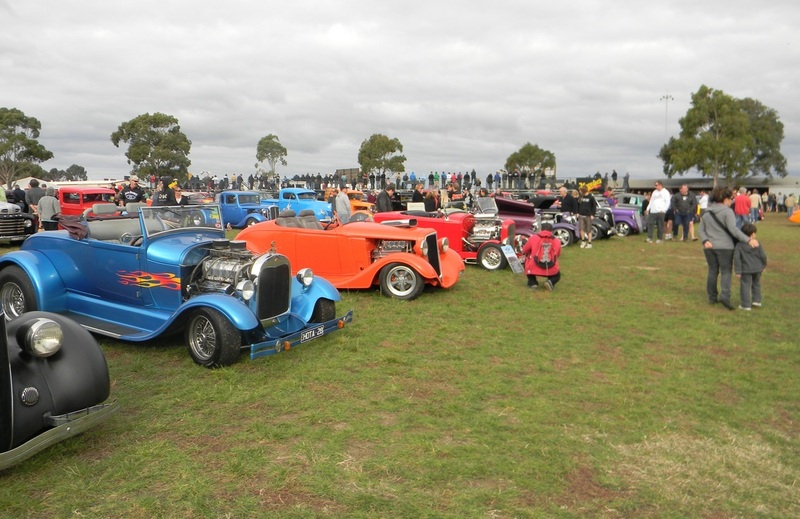 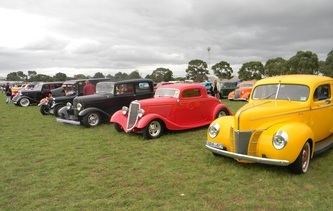 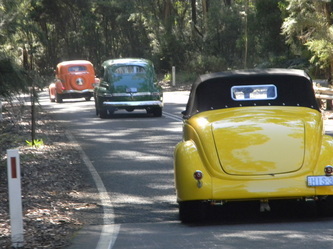 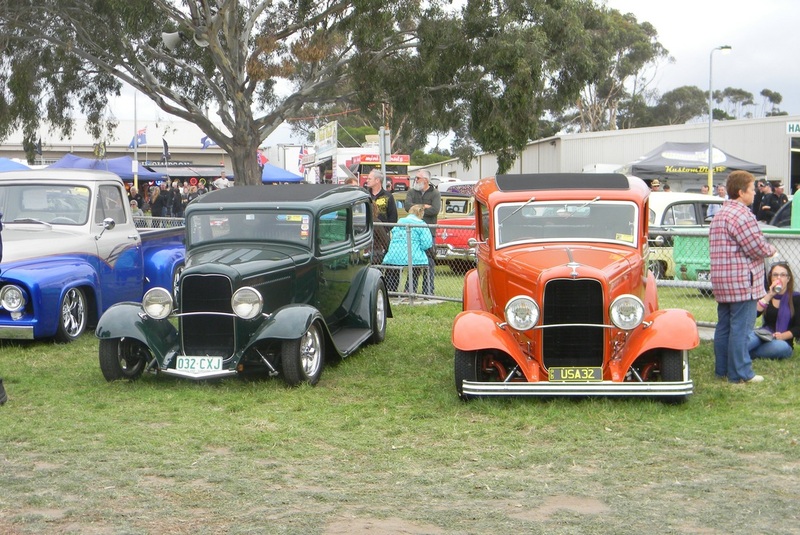 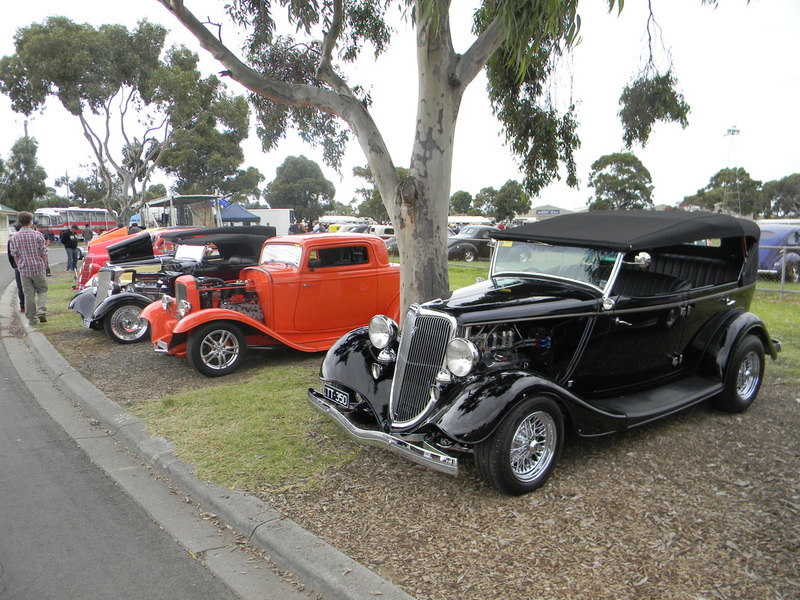 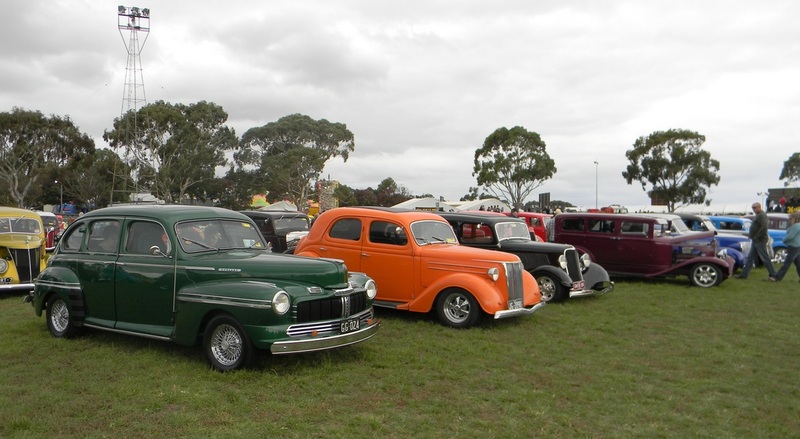 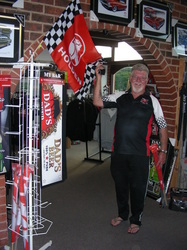 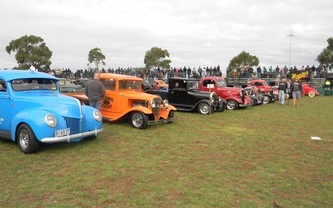 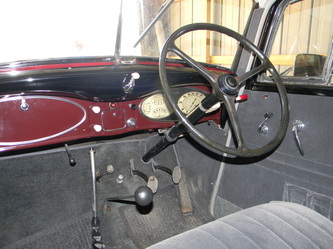 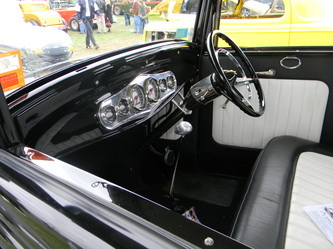 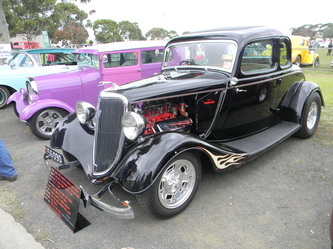 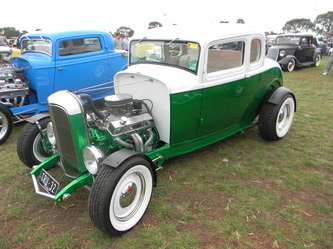 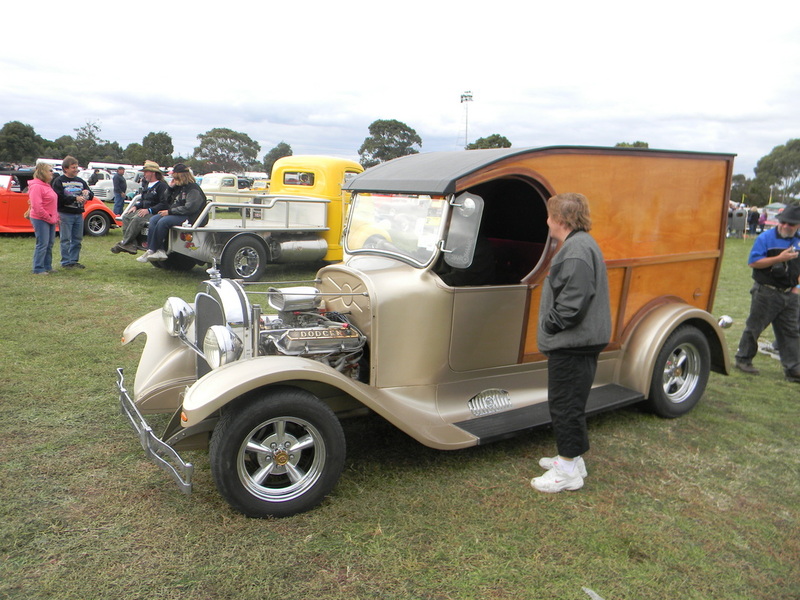 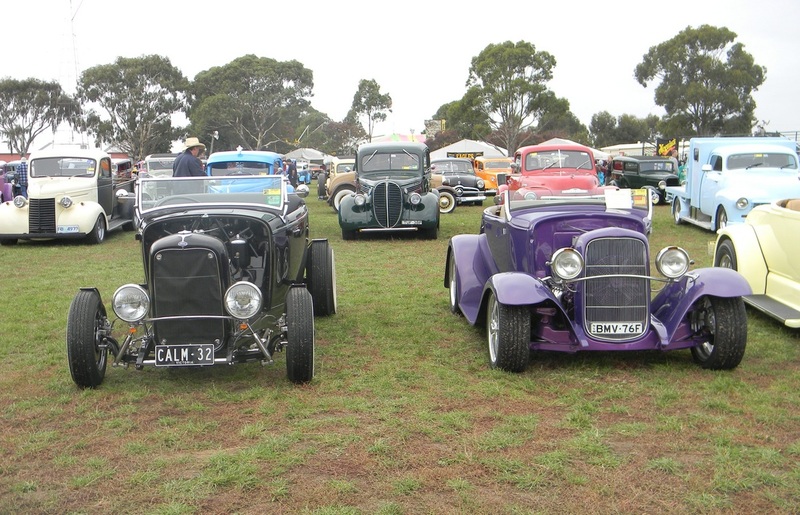 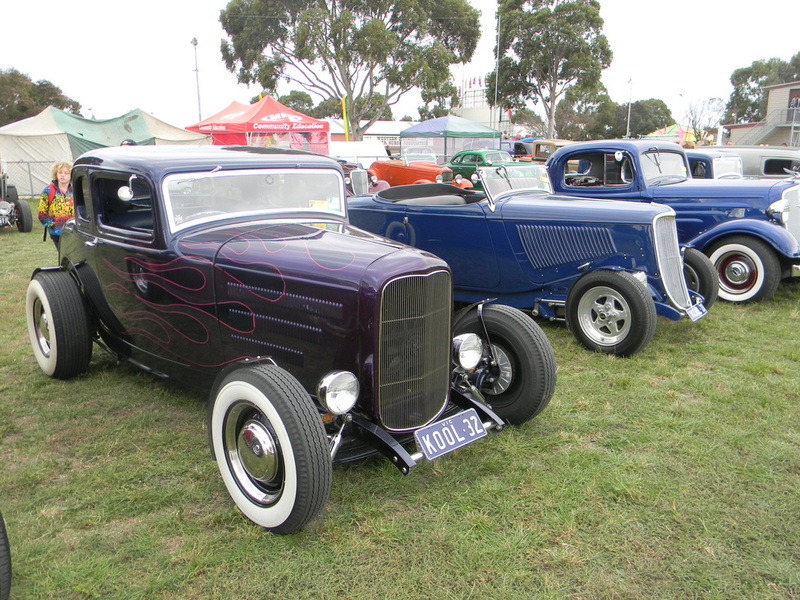 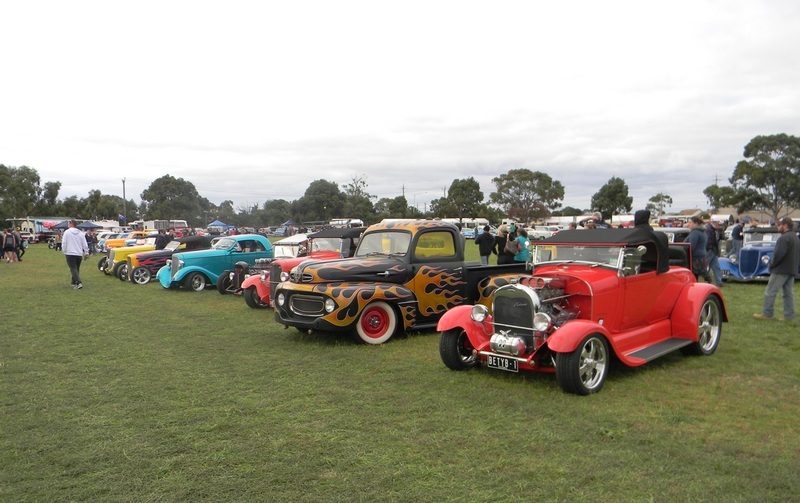 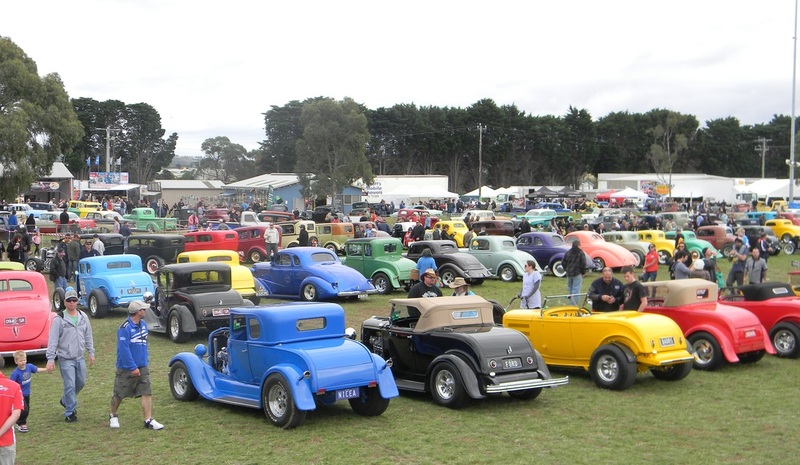 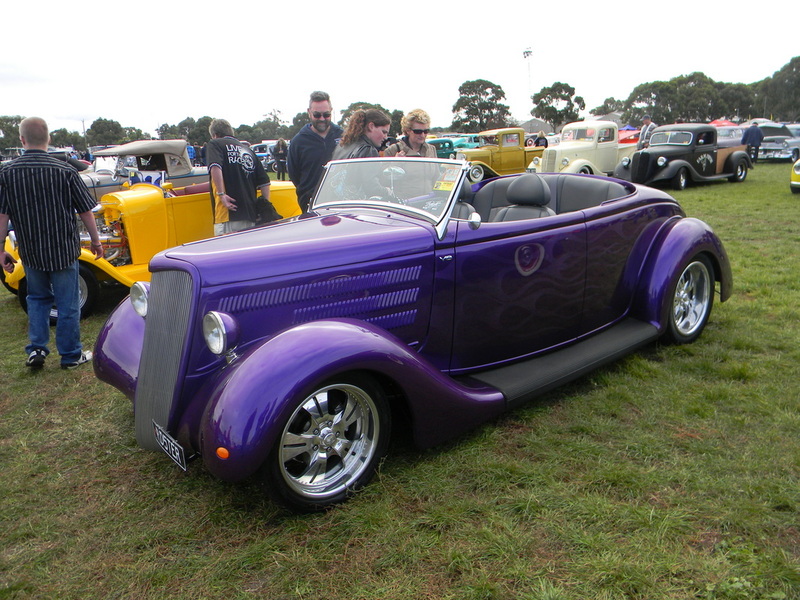 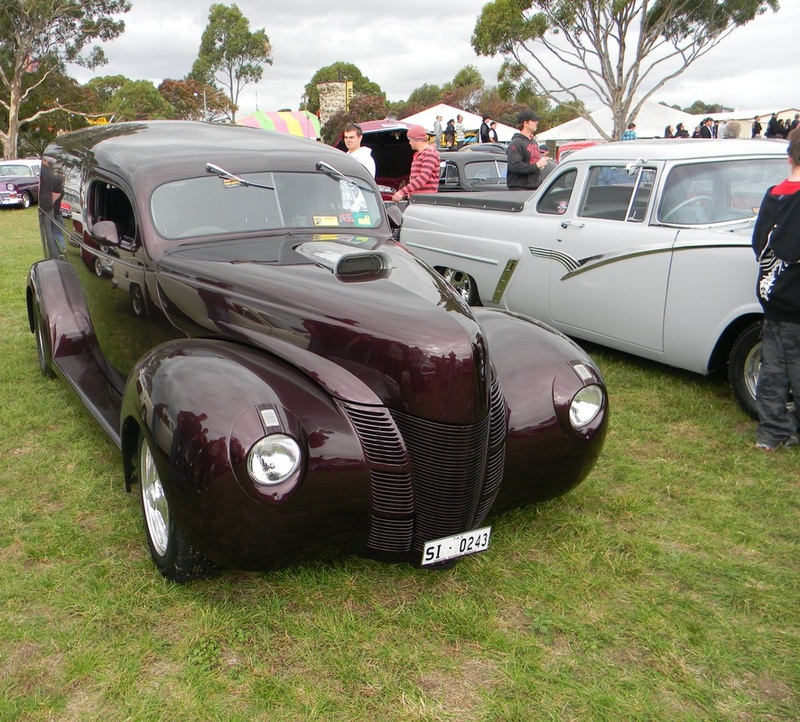 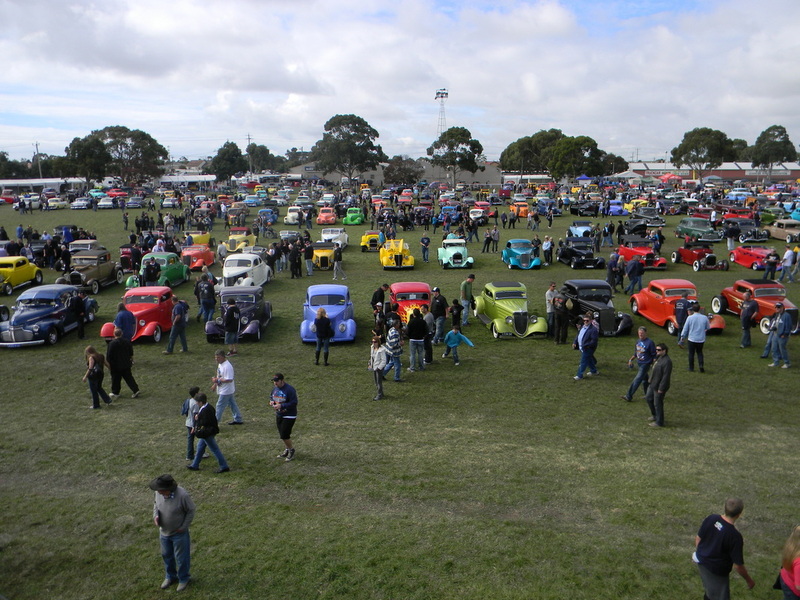 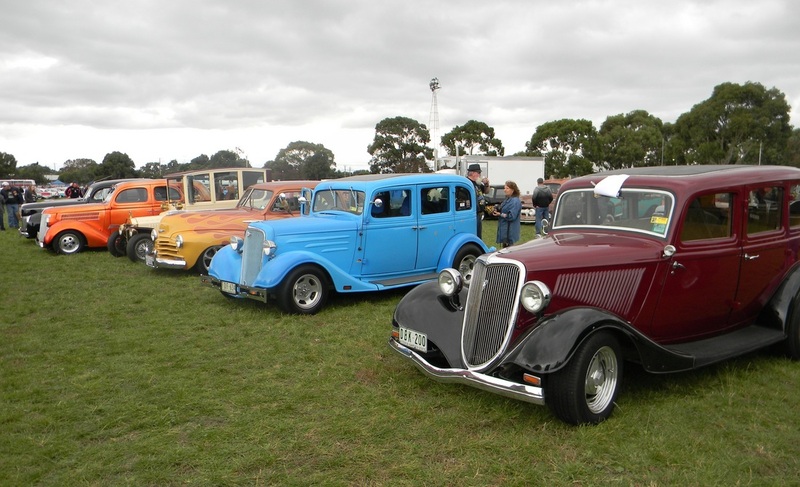 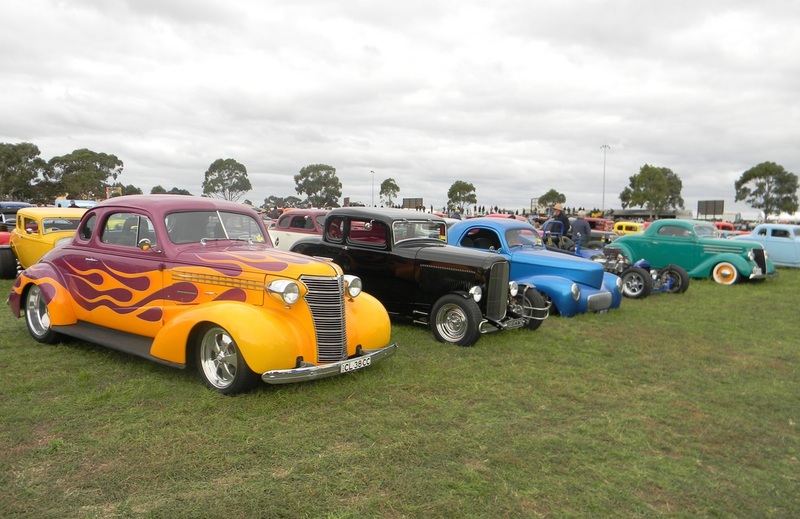 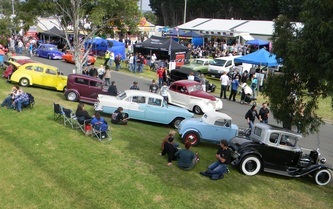 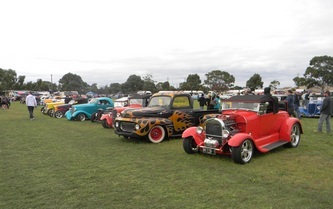 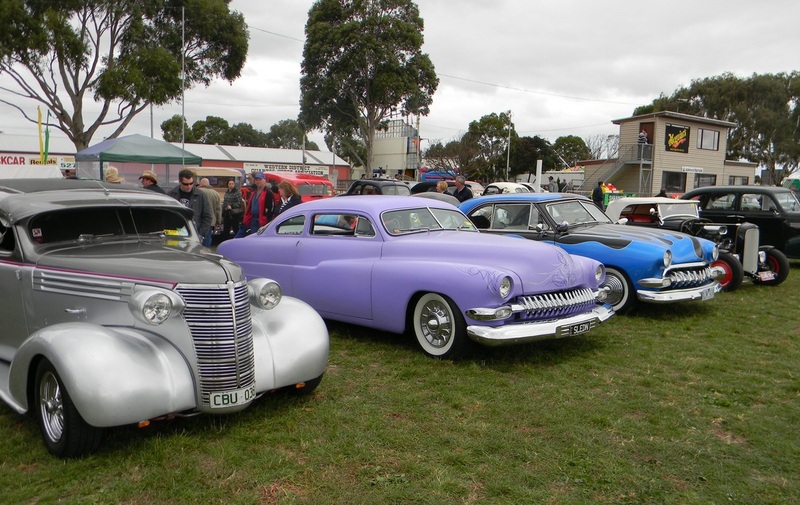 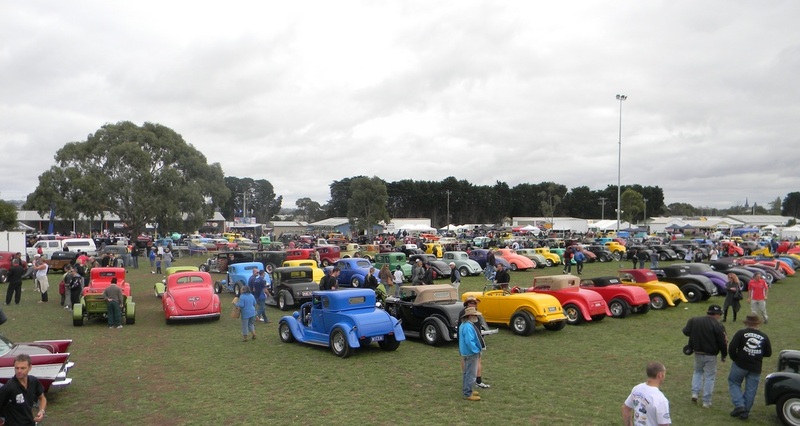 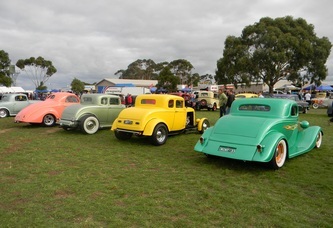 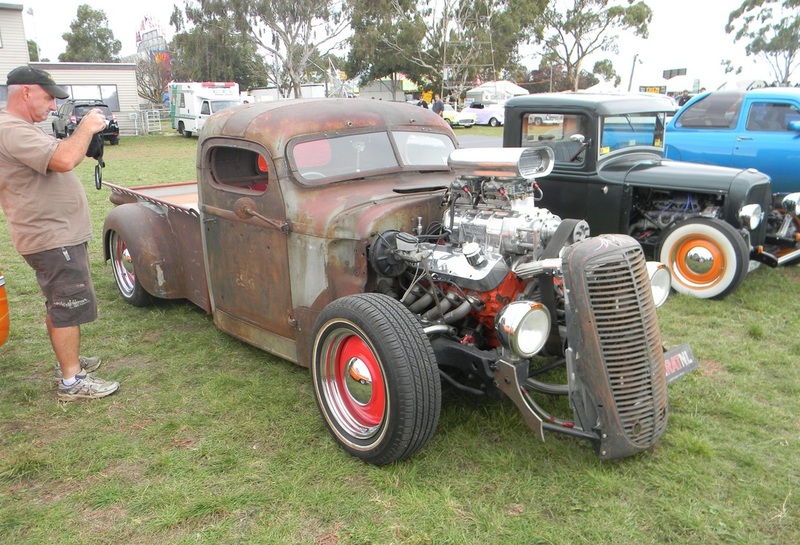 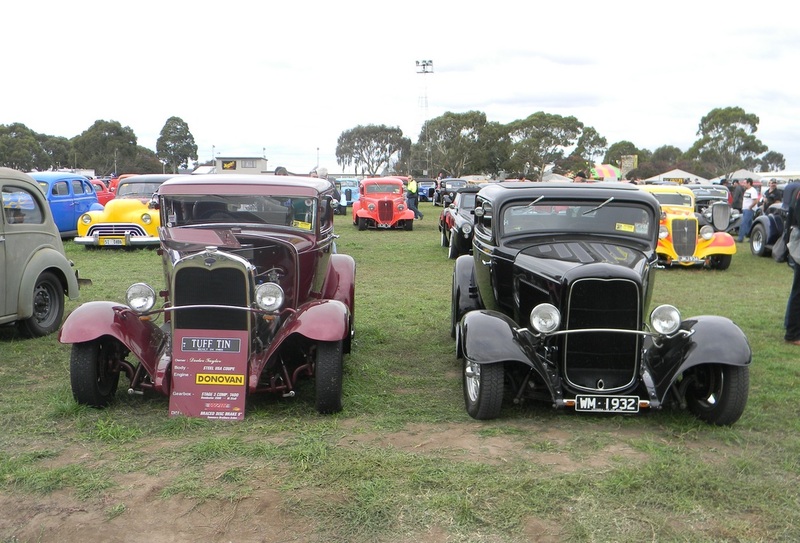 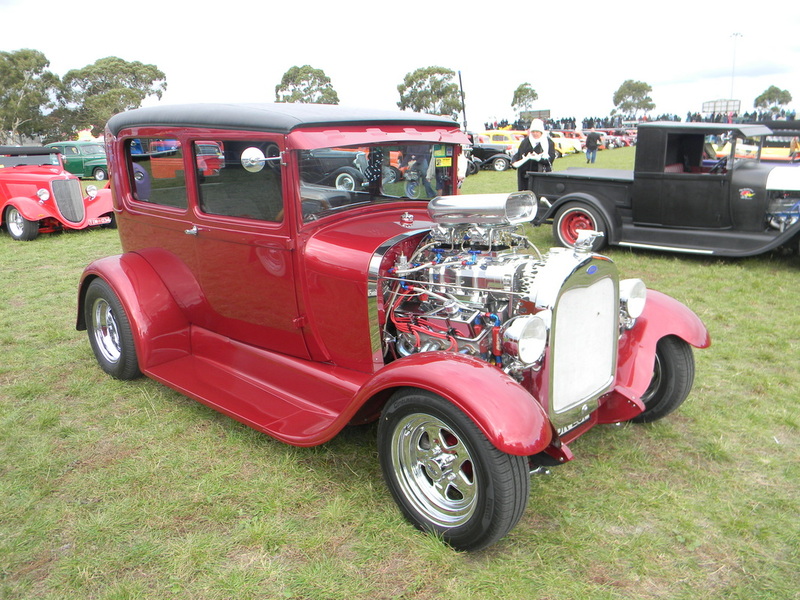 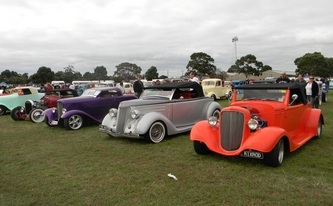 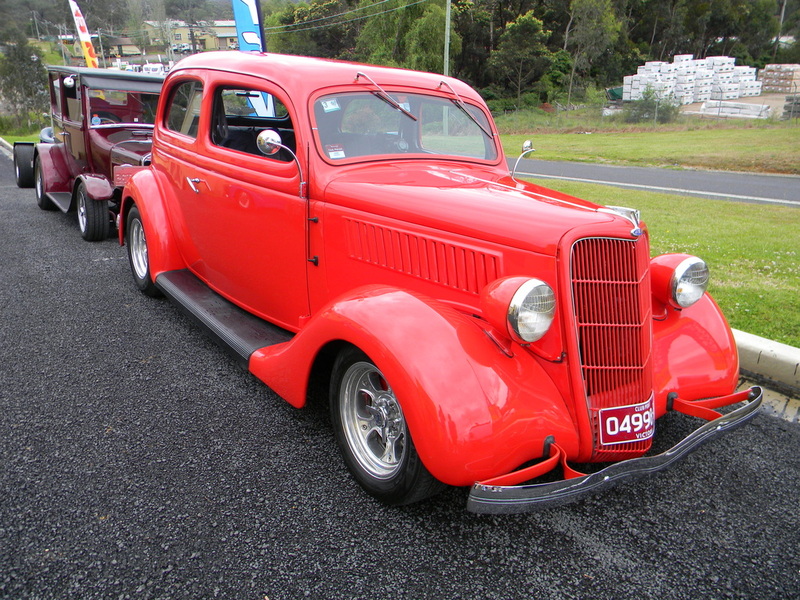 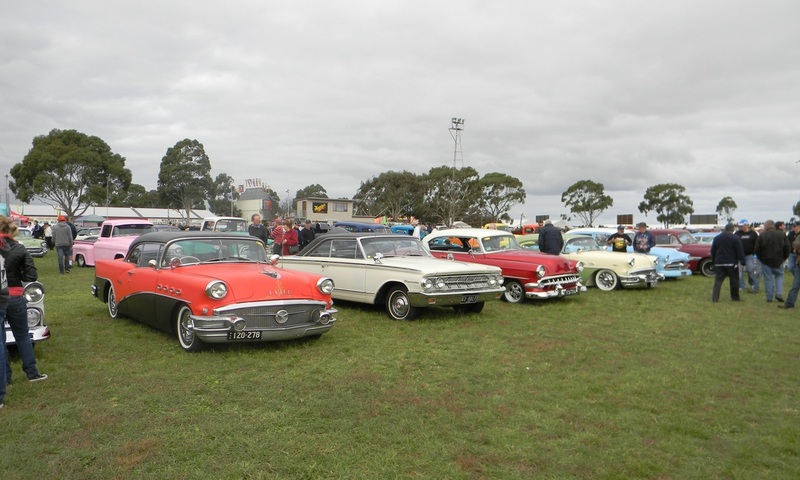 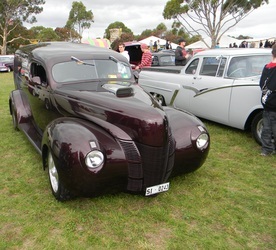 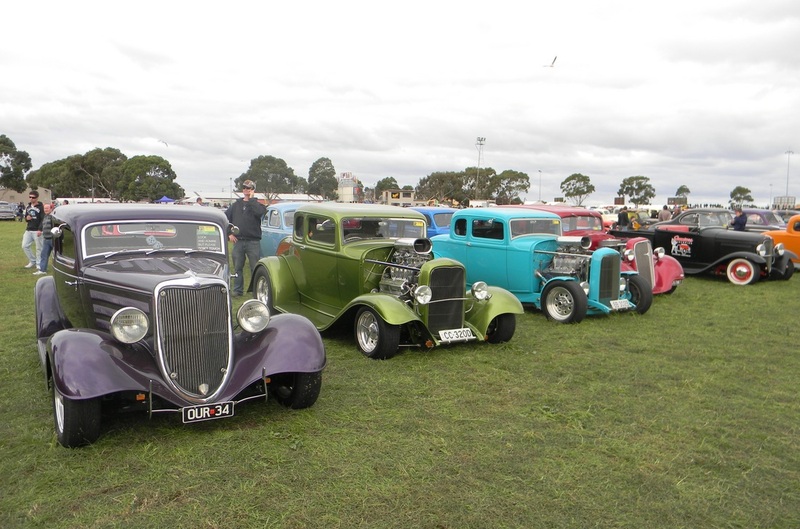 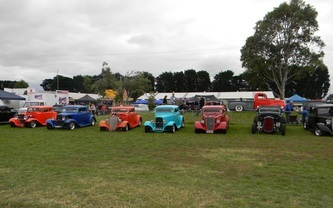 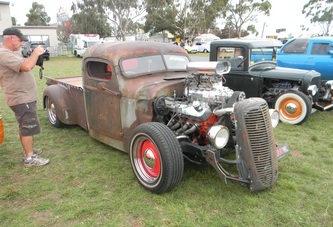 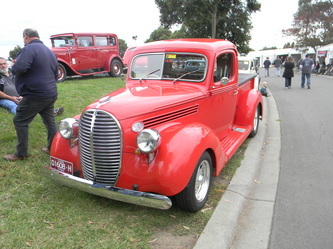 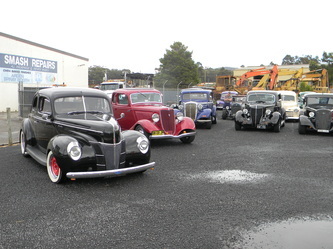 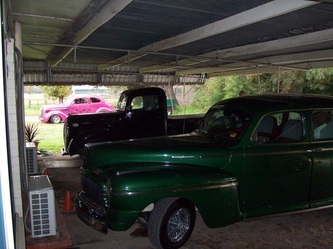 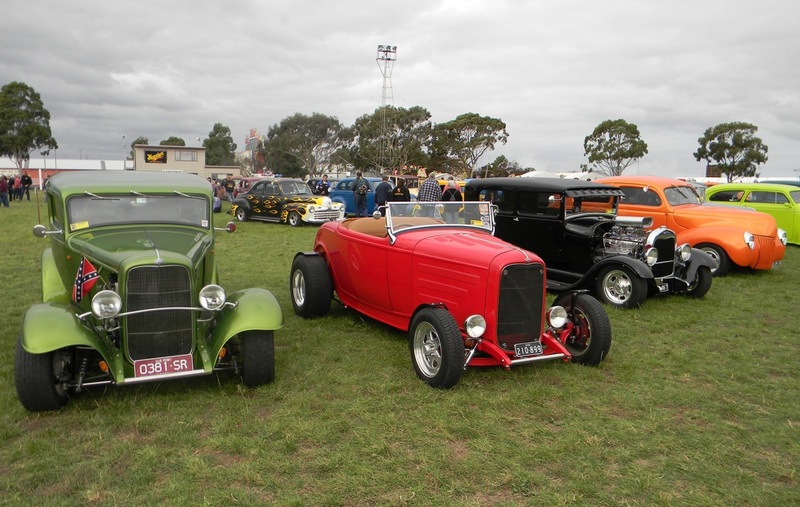 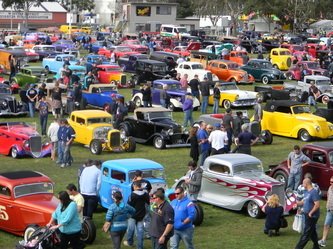 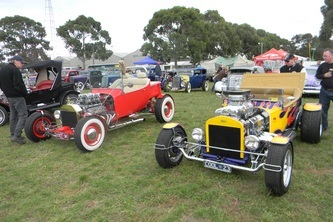 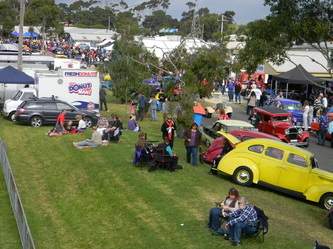 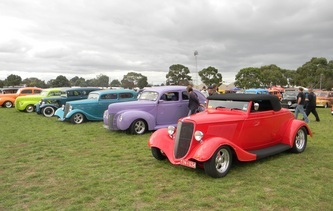 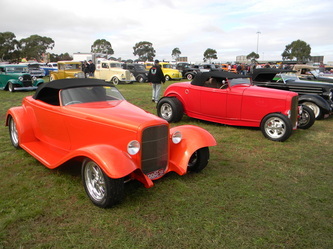 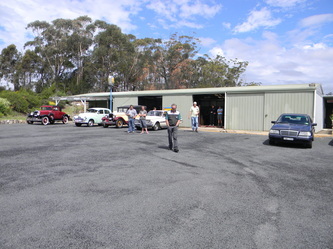 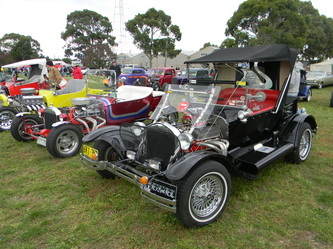 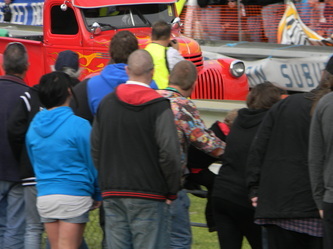 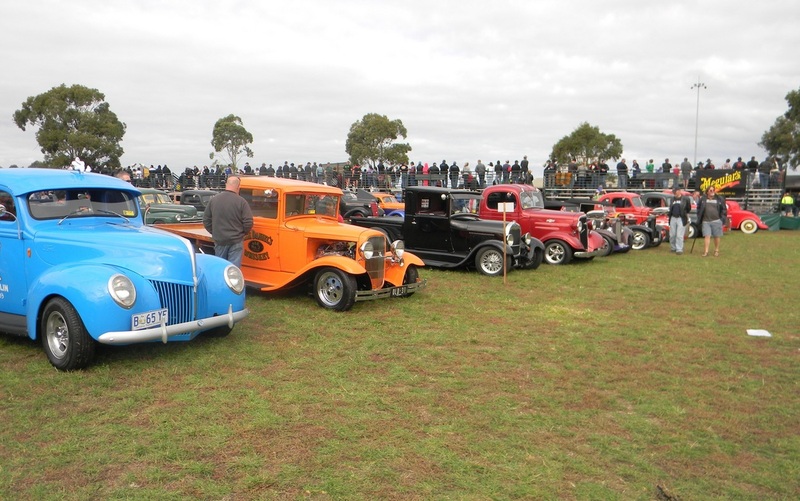 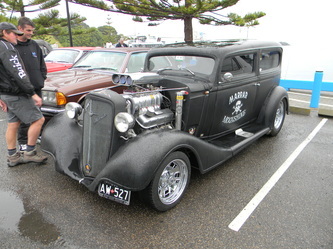 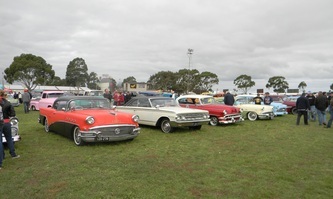 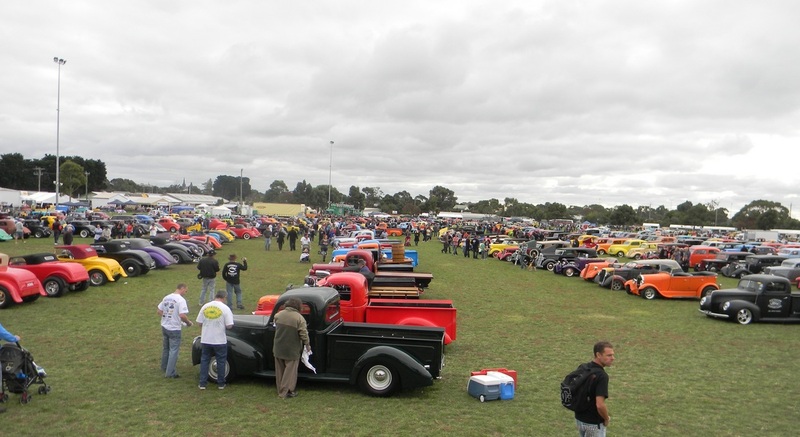 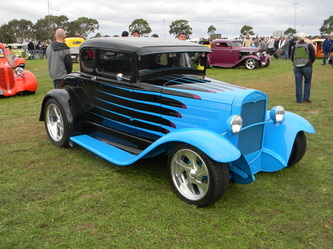 The Nationals was a great car show with about 1350 rods. 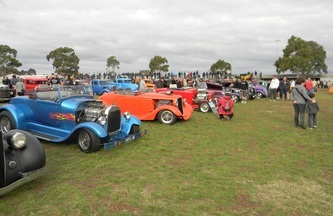 It was hard to get round and see them all properly over the two days of the show and shine and a bit of a pity that the go to whoa ( Glenda's old roadster won the ladies section )was so crowded that the view could only be seen properly by a small number of people. 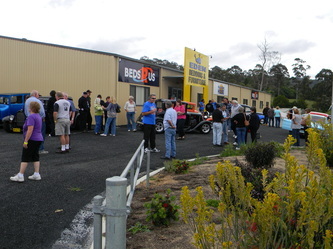 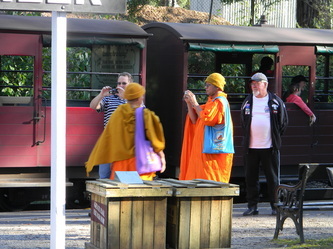 The trade stands were well represented and any information you required could have been obtained from one of the stands. 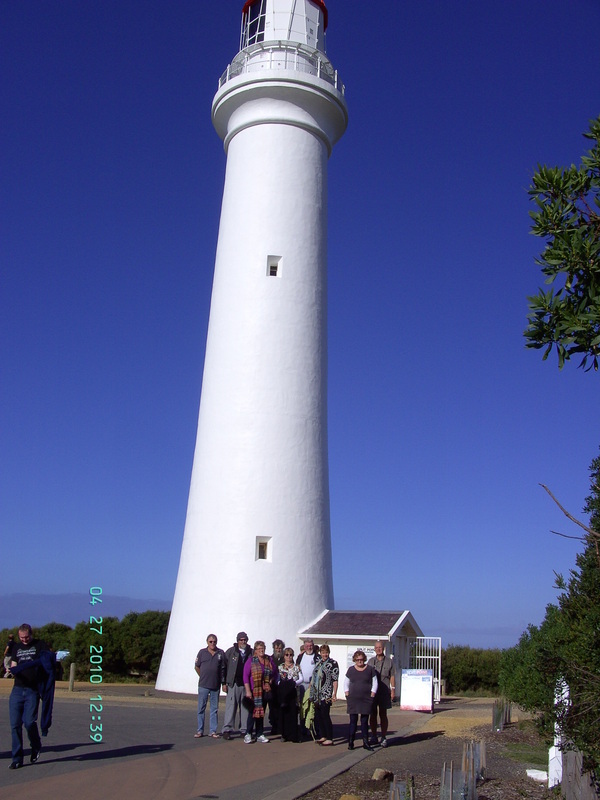 At the end of the Nationals we headed out along the Great Ocean Road and then back to Melbourne and around the Coast until we got home with those who needed to get home earlier dropping off the trip and heading straight home. 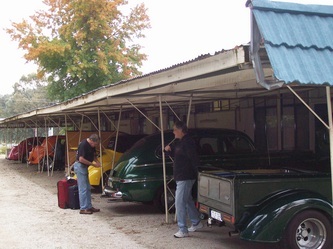 All the rods had some small issue that had to be taken care of along the way but it was a great trip and all rods and Rodders made it home. 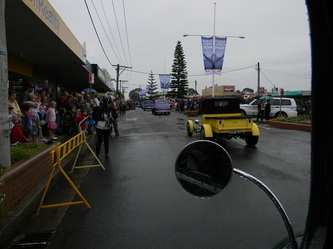 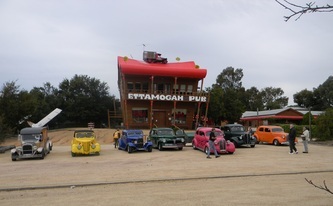 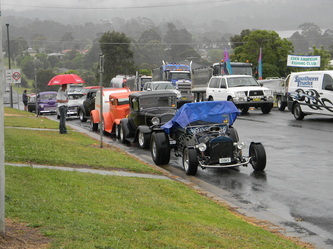 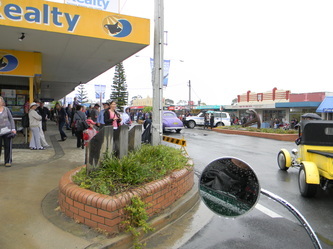 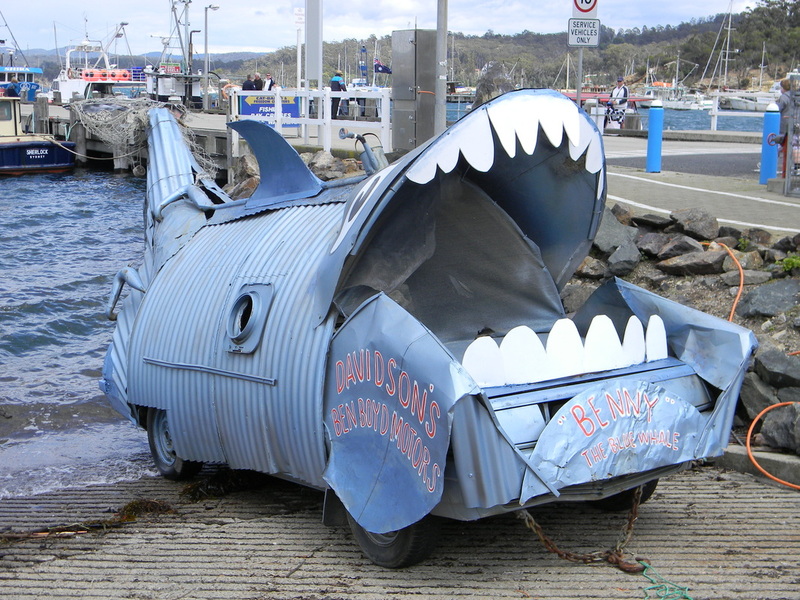 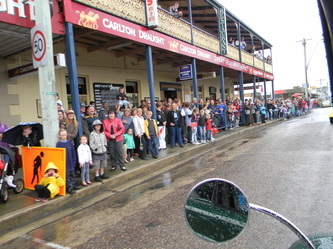 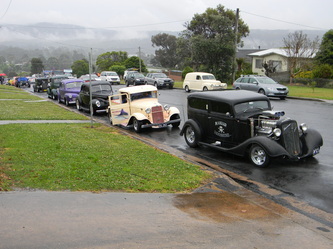 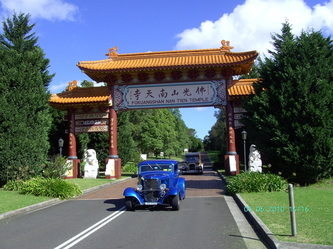 Shoalhaven Street Rodders Eden Run is put on in conjuction with the towns whale festival and is held on the last weekend of October. 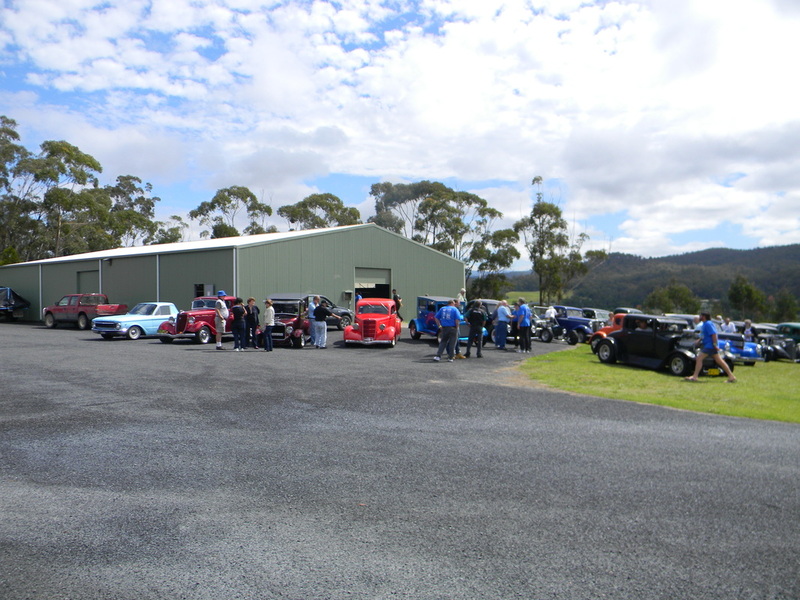 What a great event, we were well looked after with finger food and drinks on Friday night, breakfast Saturday and Sunday mornings, a fantastic meal on Saurday night and finishing with a BBQ lunch and presentation on Sunday. 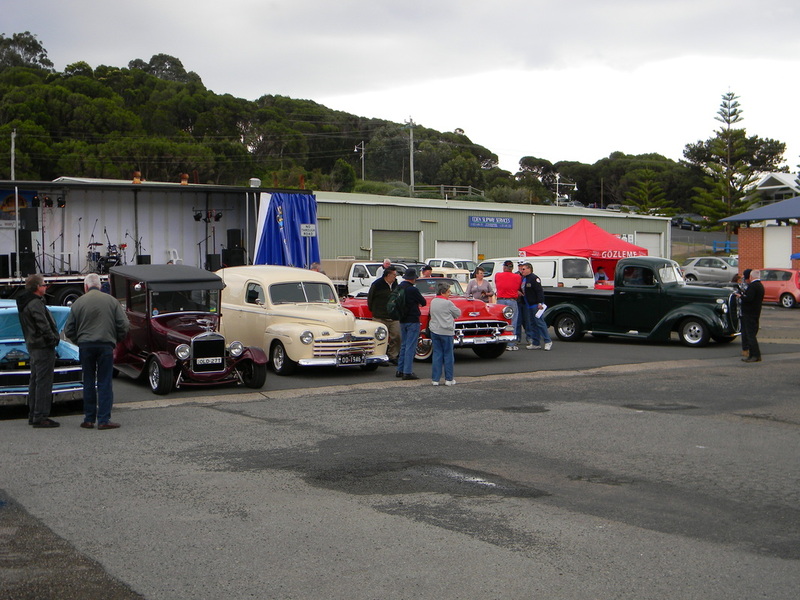 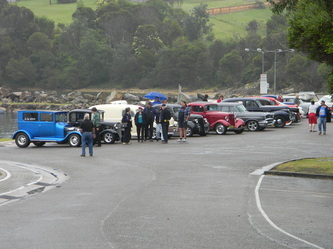 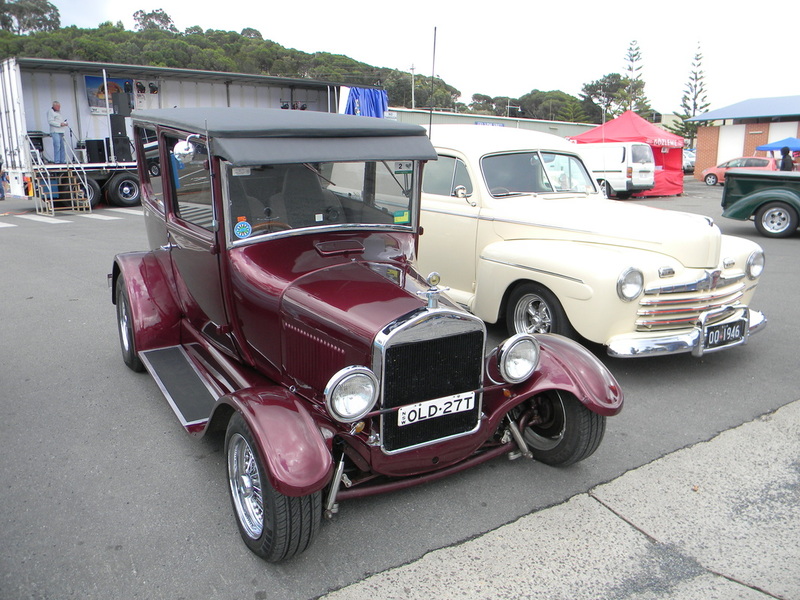 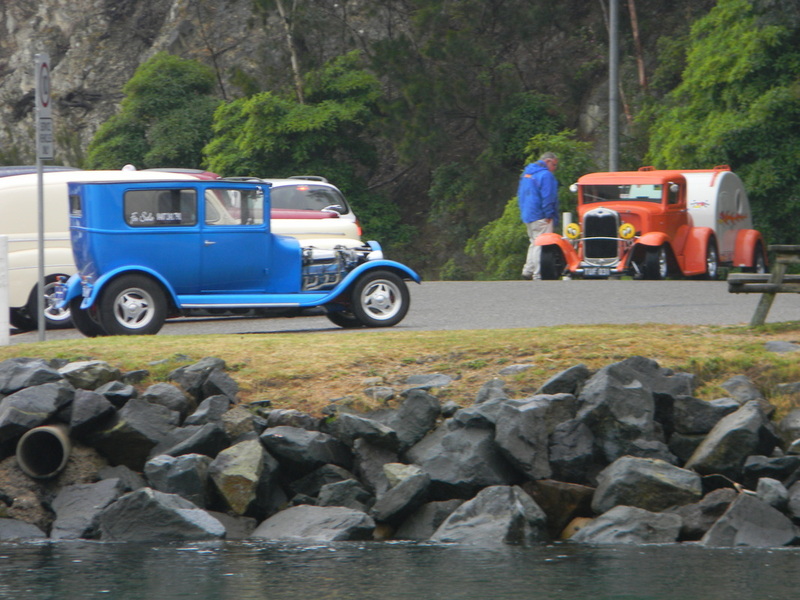 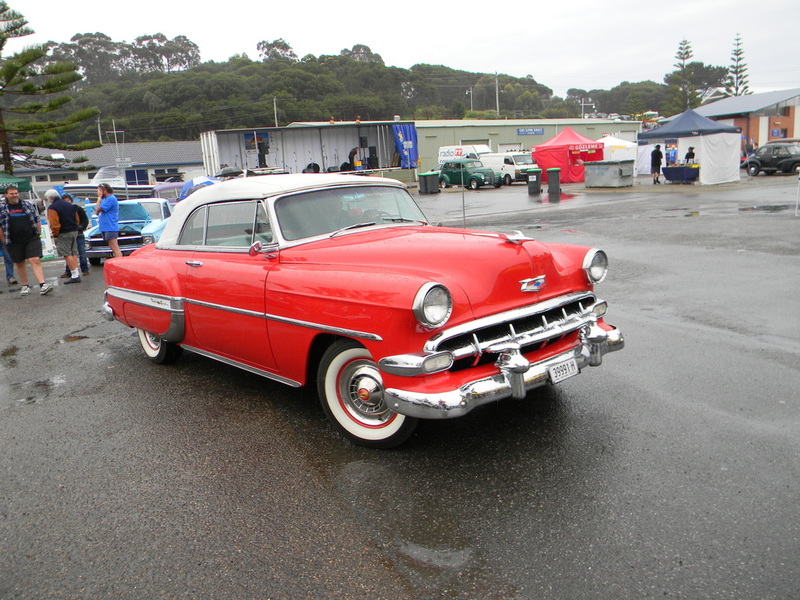 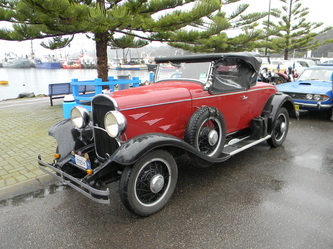 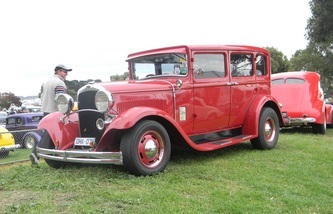 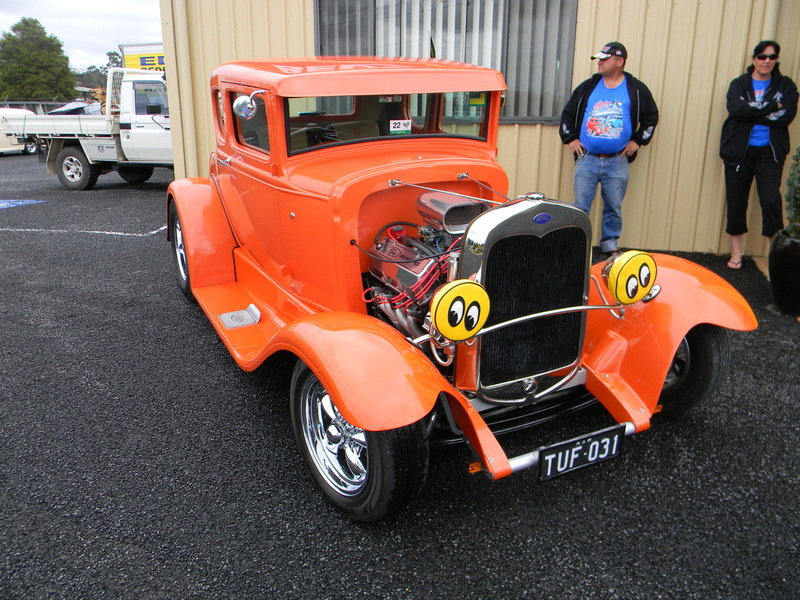 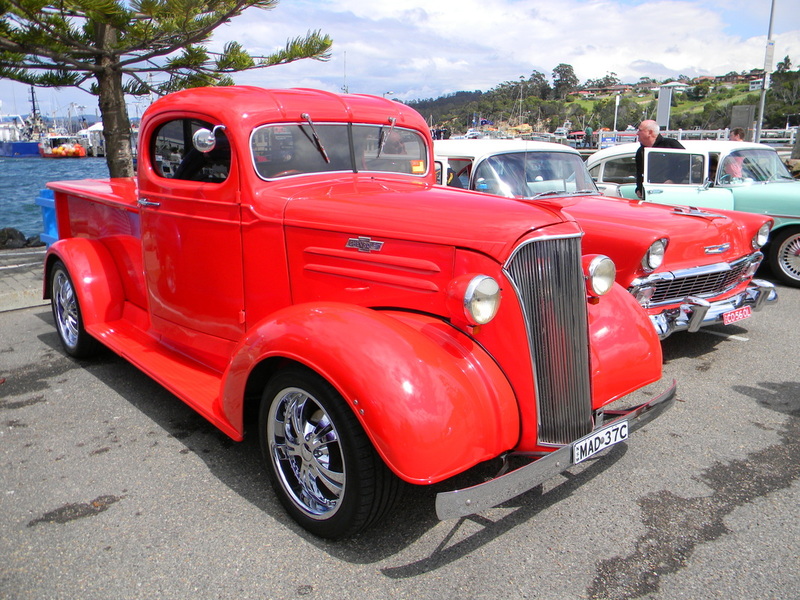 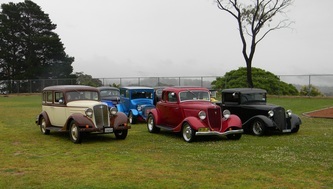 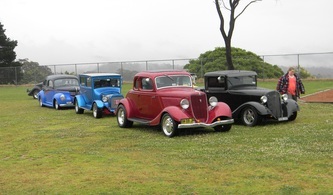 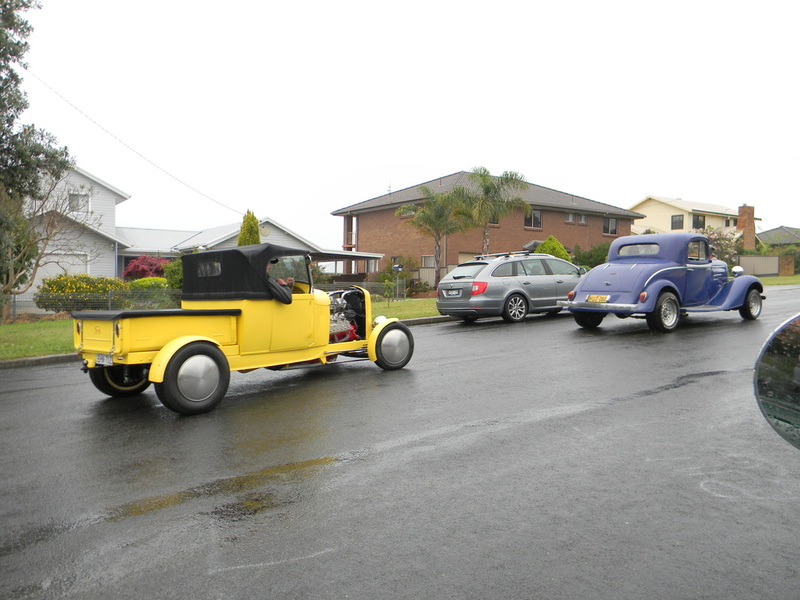 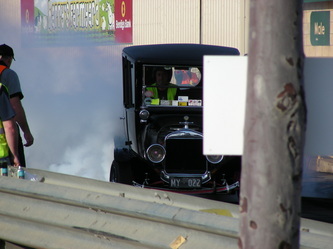 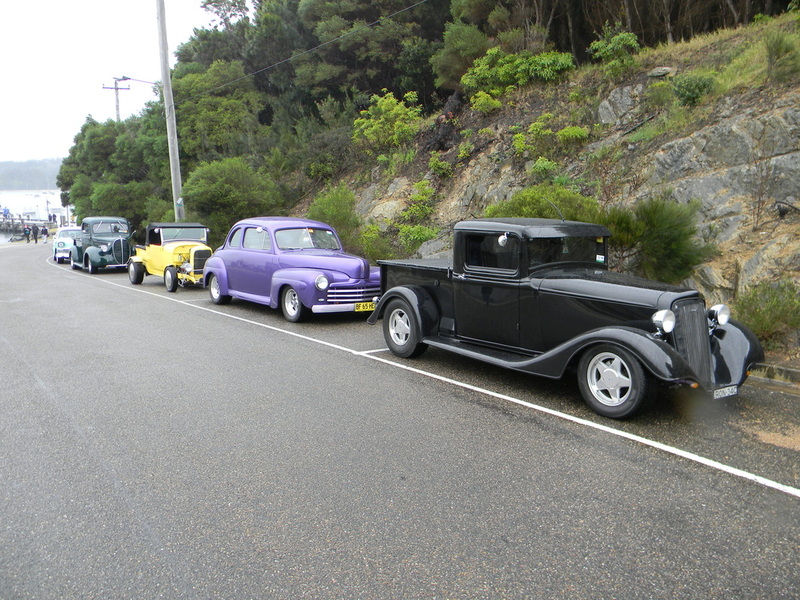 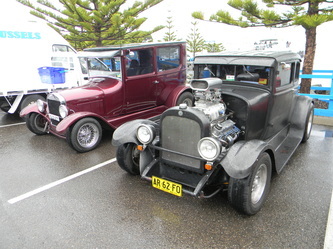 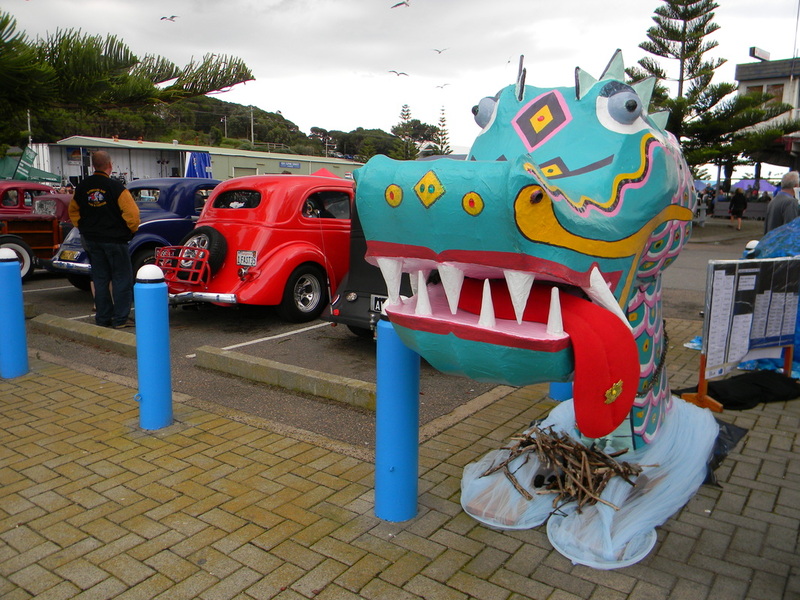 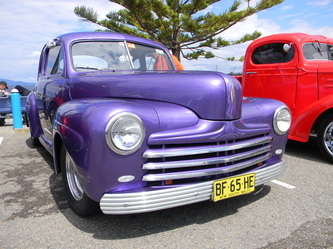 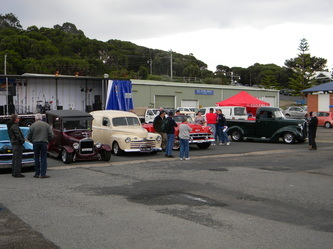 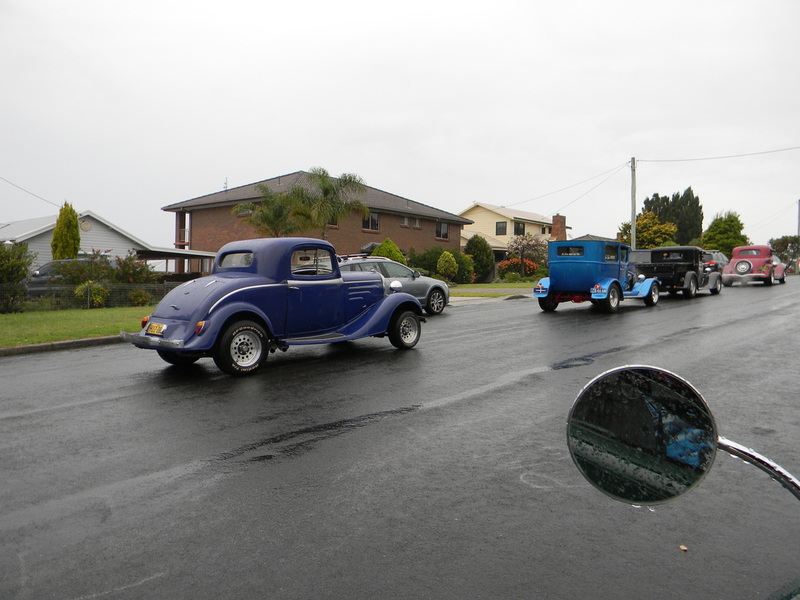 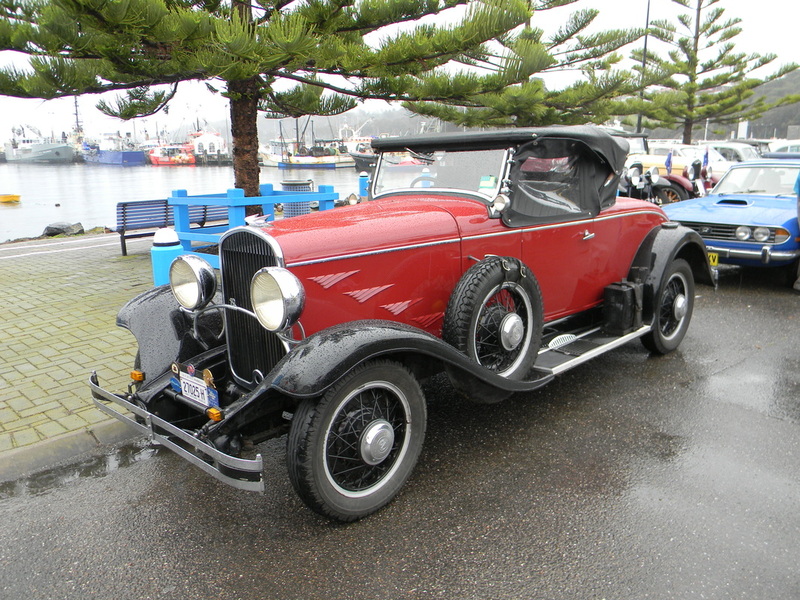 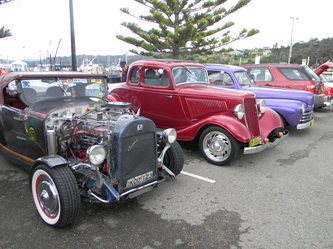 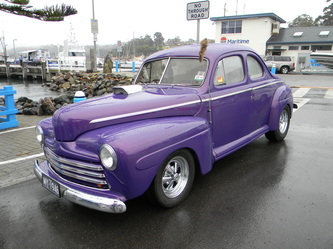 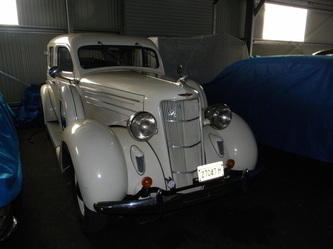 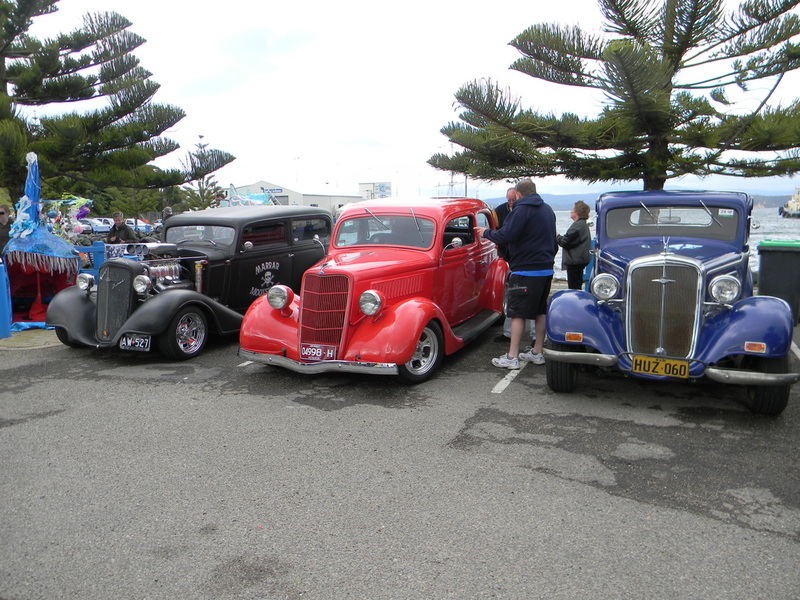 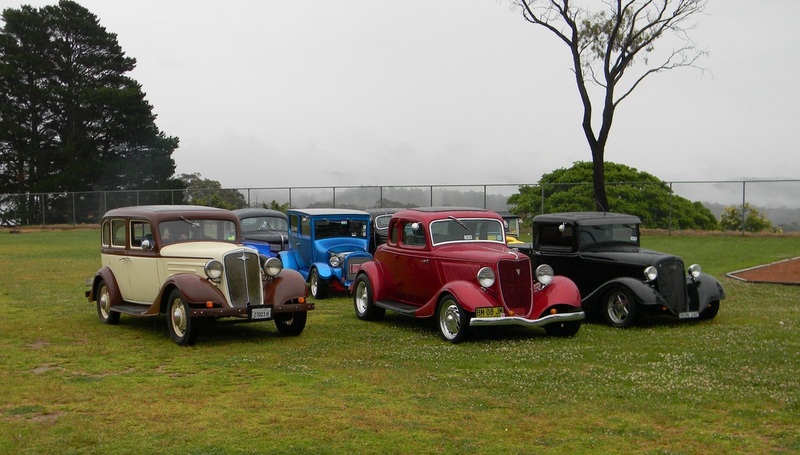 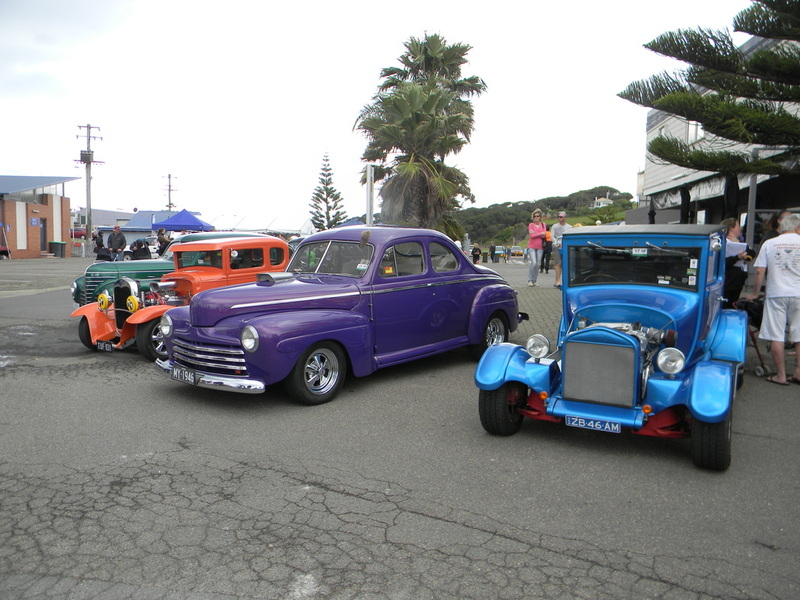 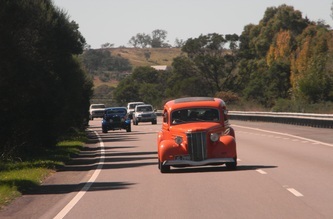 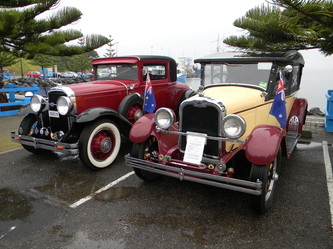 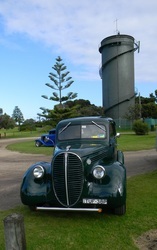 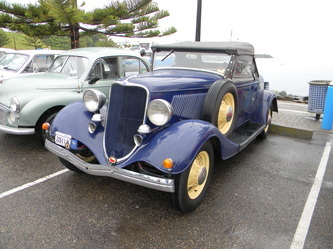 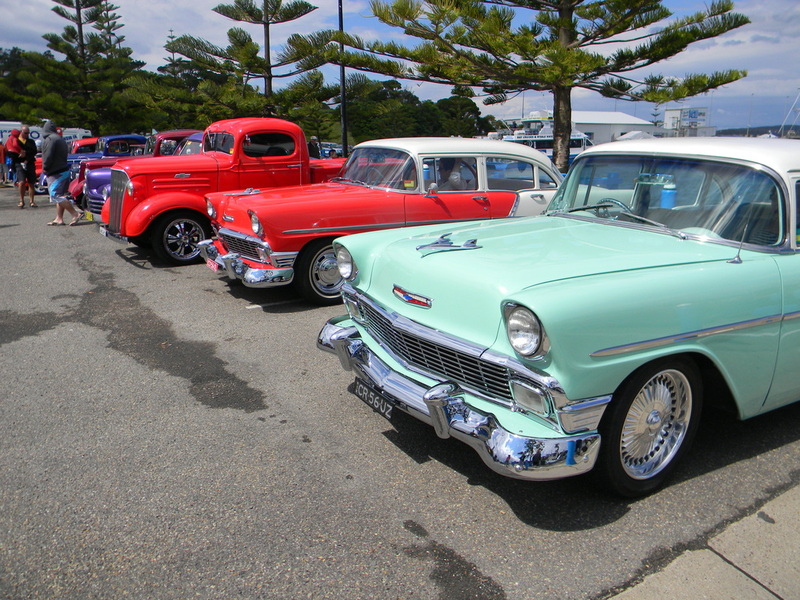 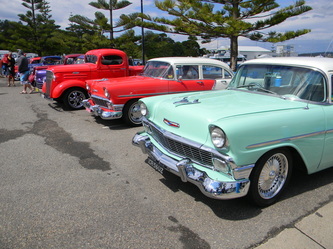 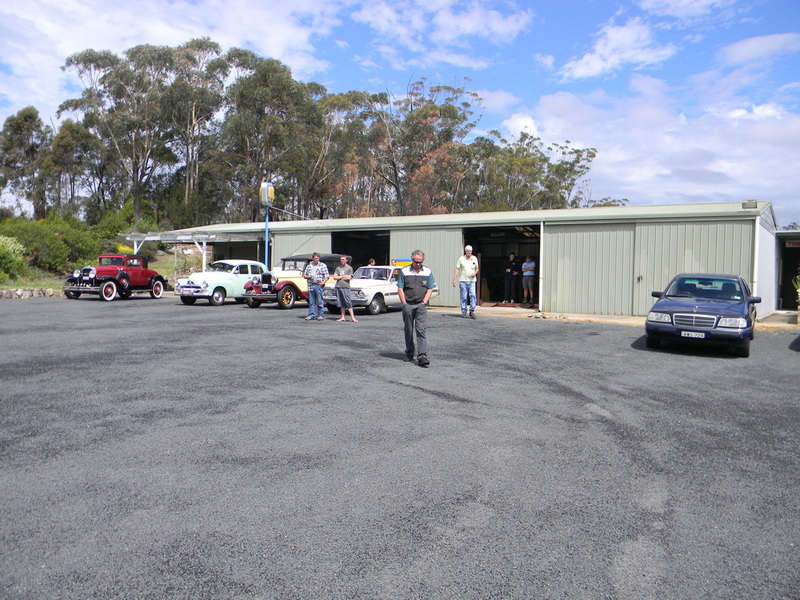 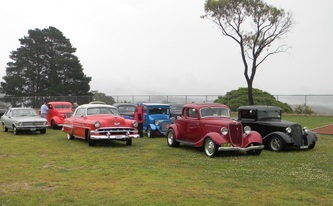 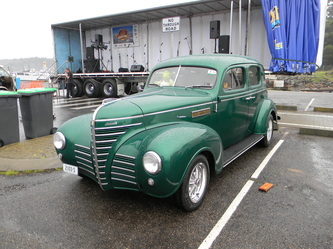 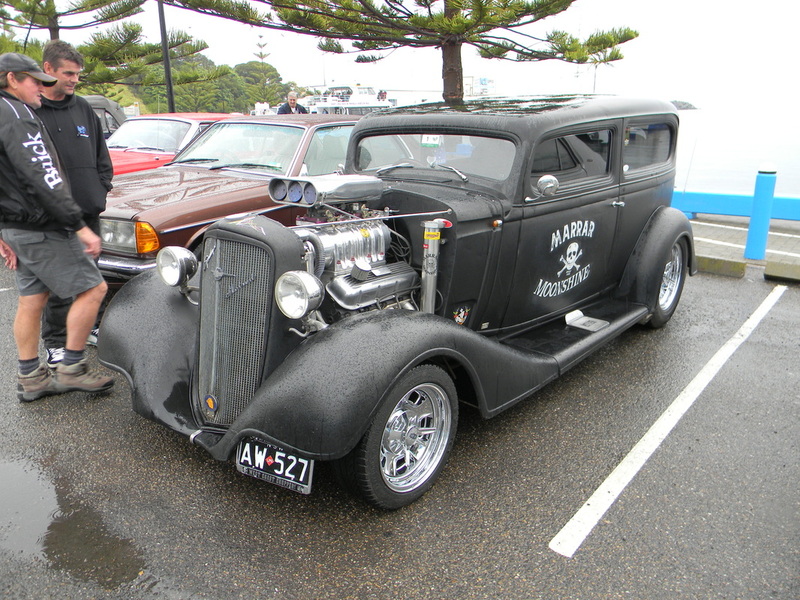 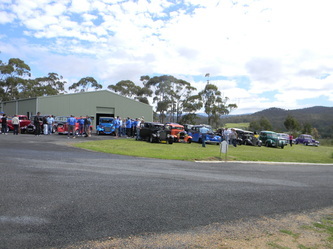 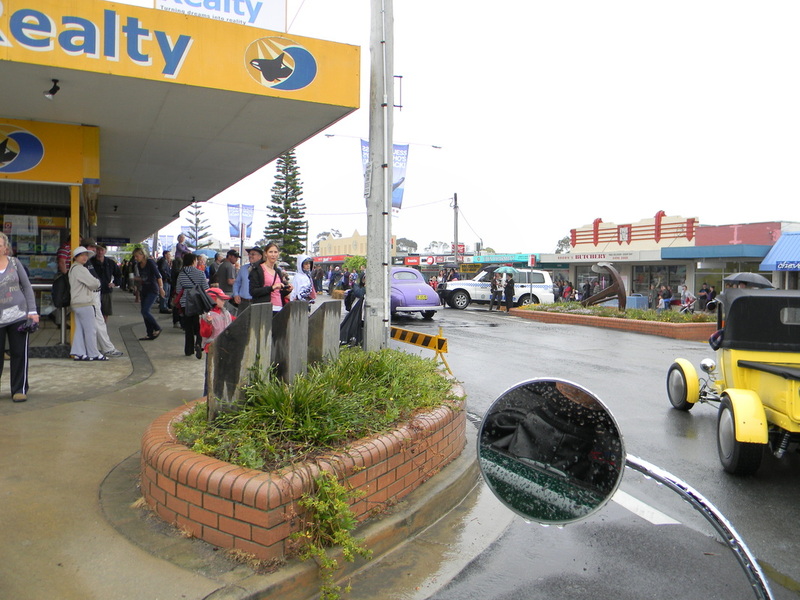 During the days we were part a great street parade, had a cruise to the Sapphire Coast Historical Vehicle Club who put on a fantastic afternoon tea and there was a Show and Shine on the Eden wharf. 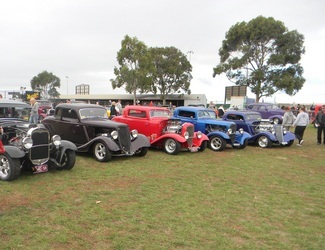 Thanks to Ken, Ron, Alan & Graham who helped get us back on the road and everyone else who attended making this a memorable event and we look forward to next years event already.